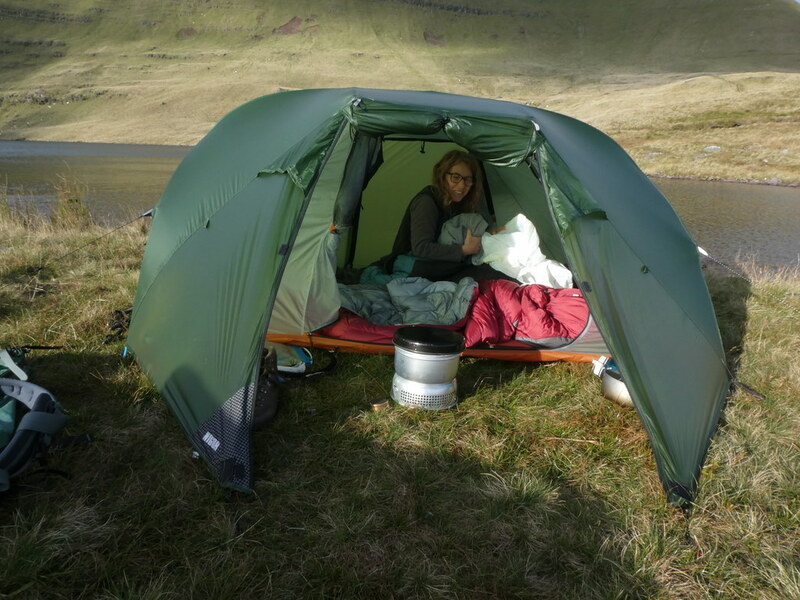 I’d been domestically housebound for a couple of weeks with such exciting things as car cleaning and fitting new roof racks and boxes for our summer trips. 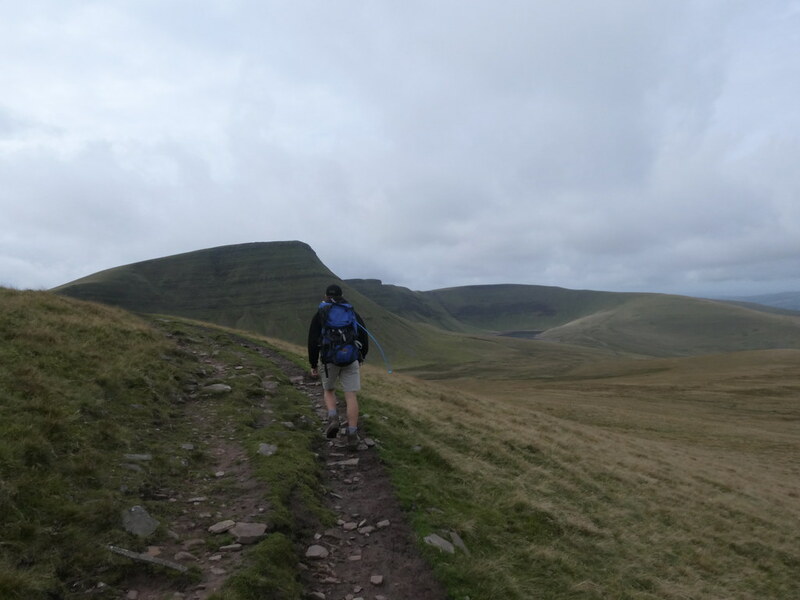 This weekend I was not to be denied and it was time for another decent walk. 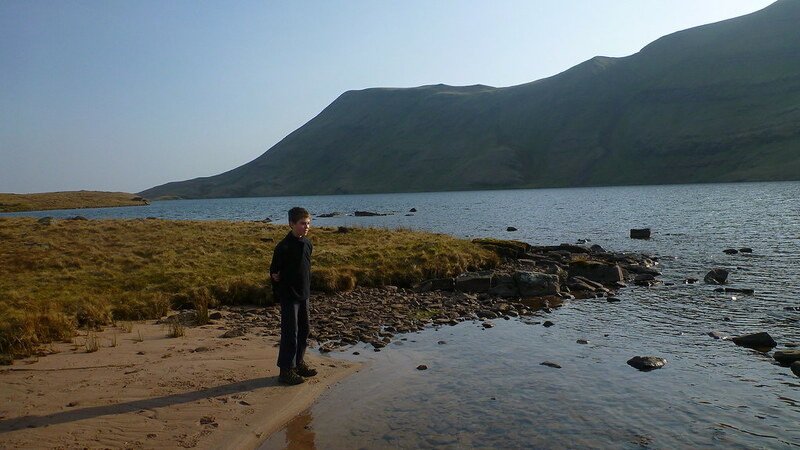 D seems really keen these days and despite being off school with a virus for a couple of days he seemed fit and well so we headed out. 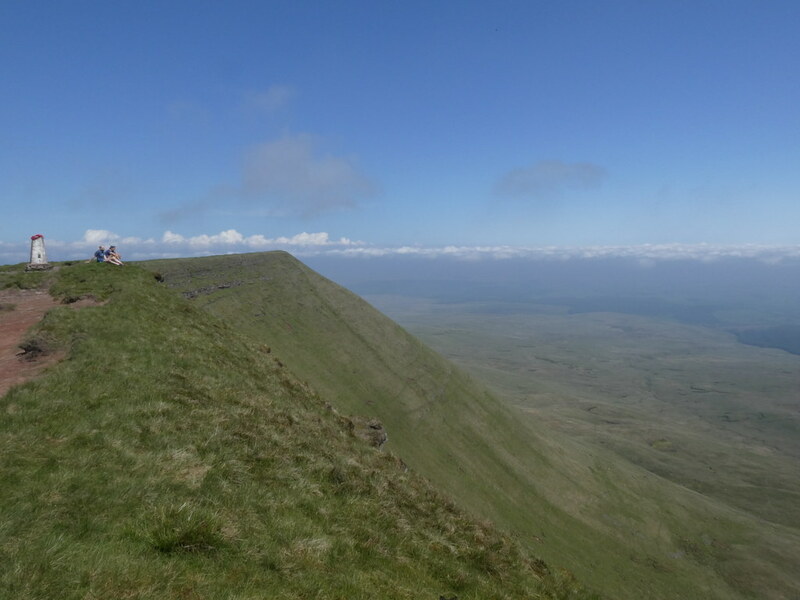 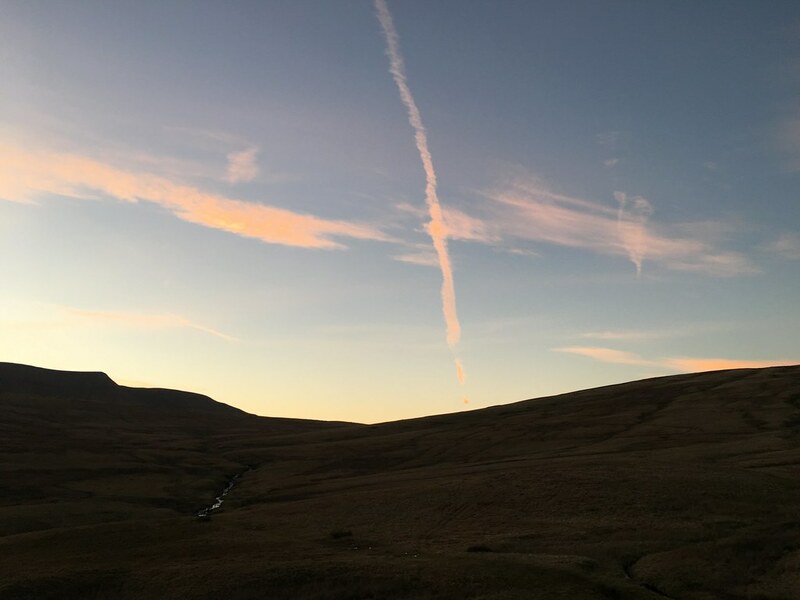 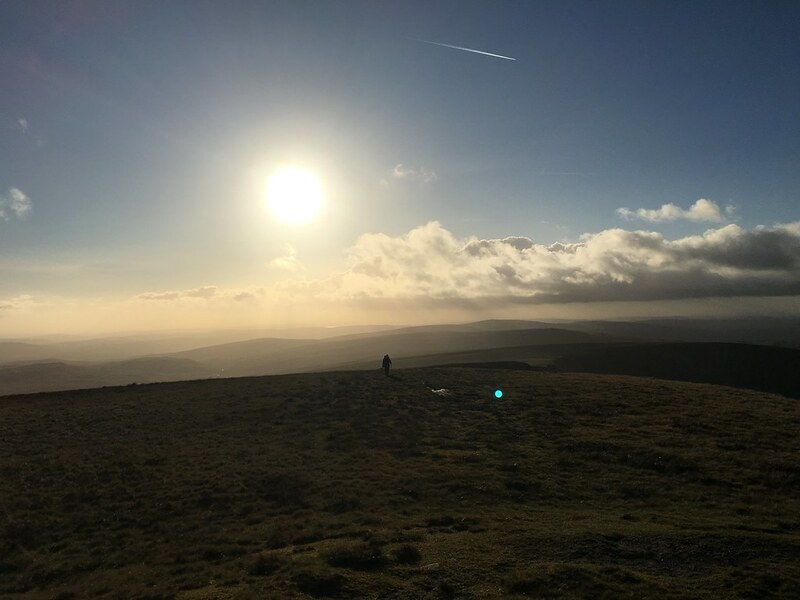 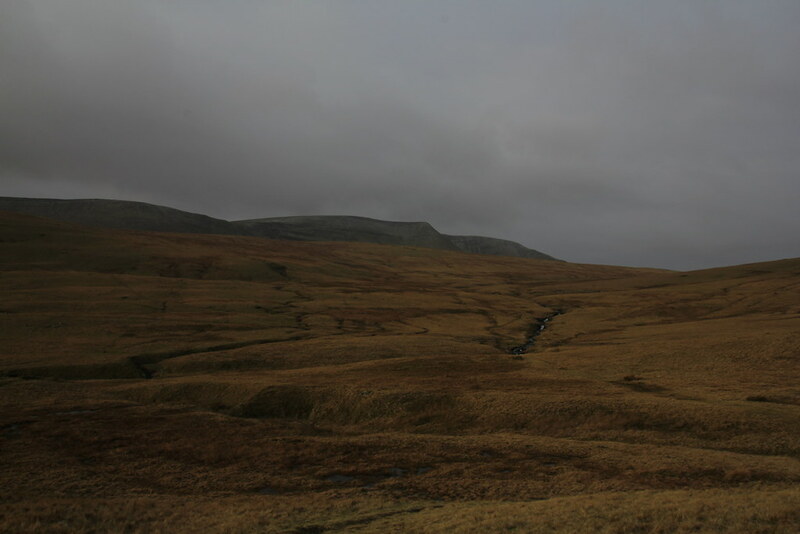 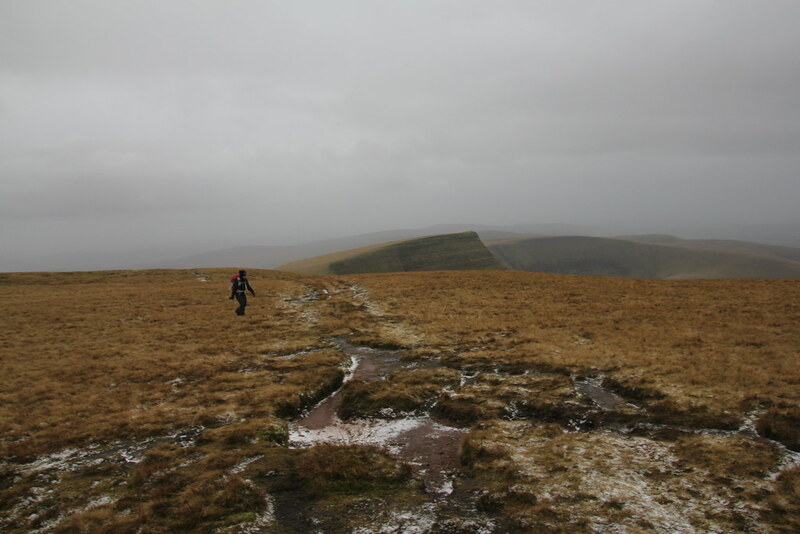 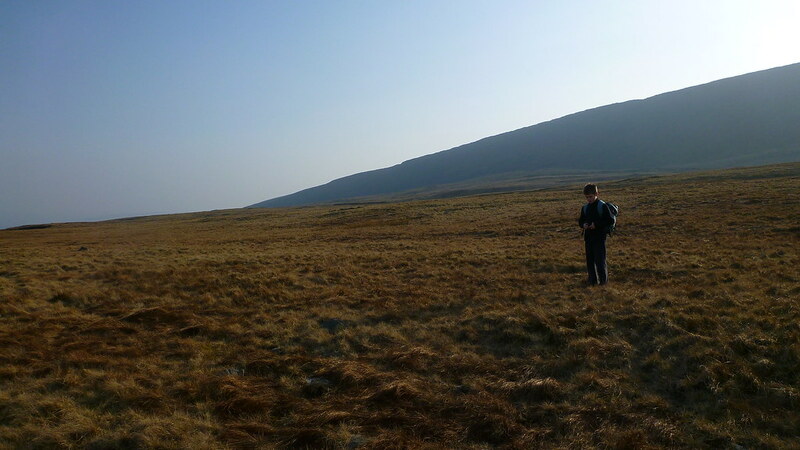 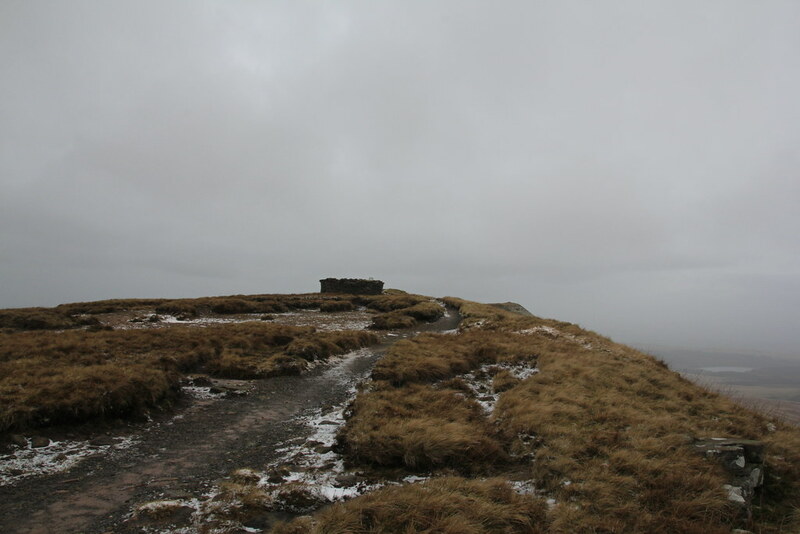 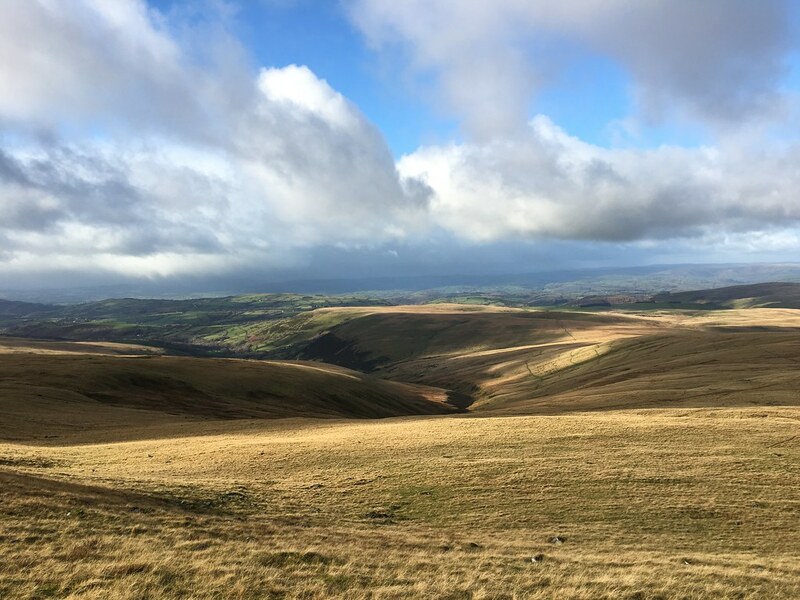 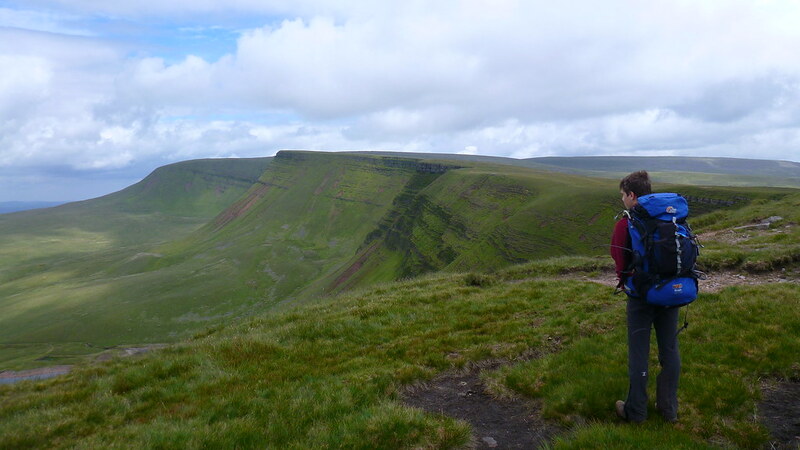 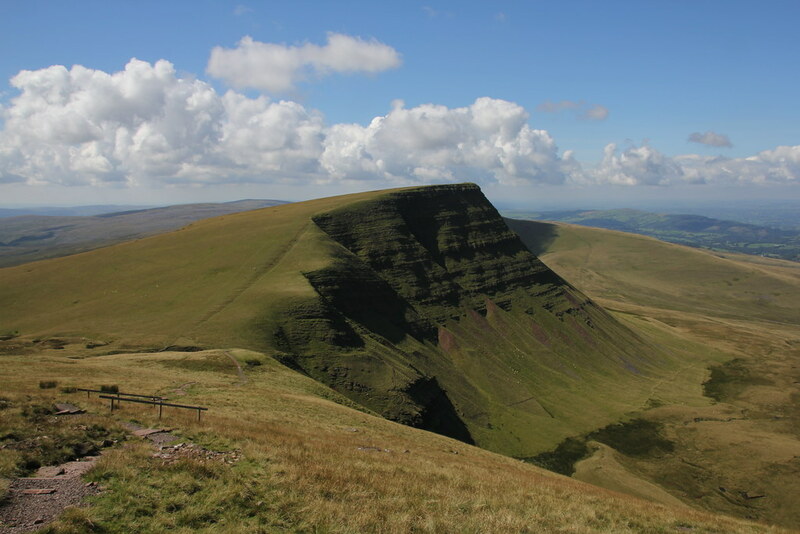 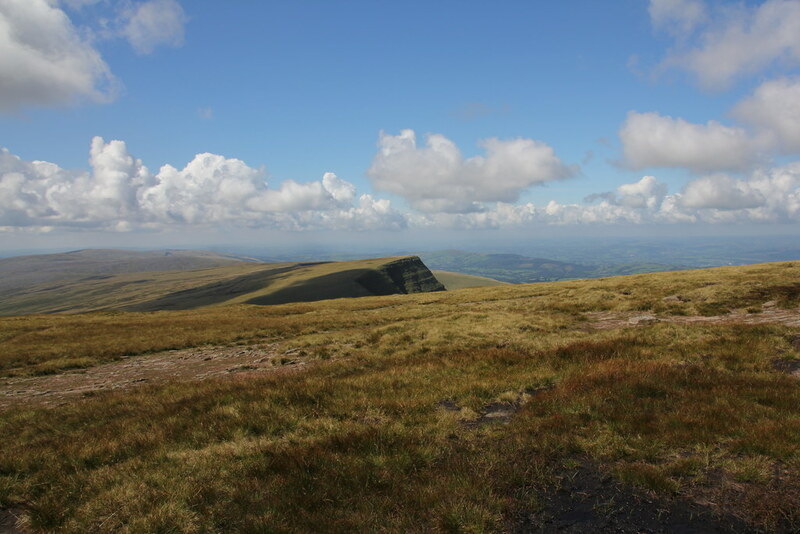 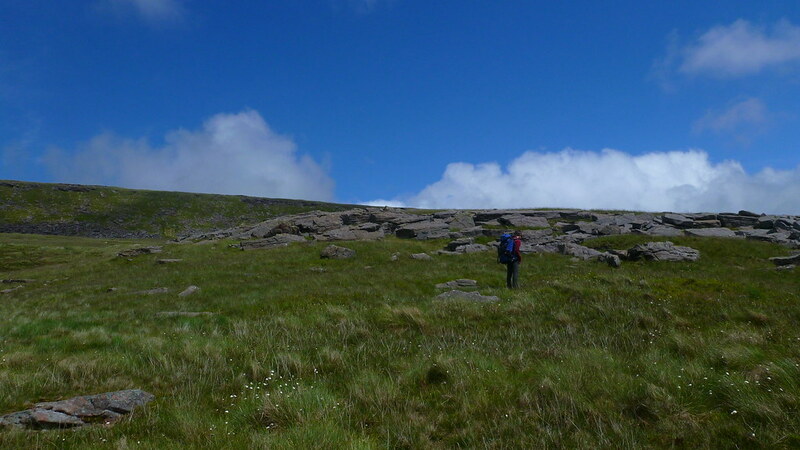 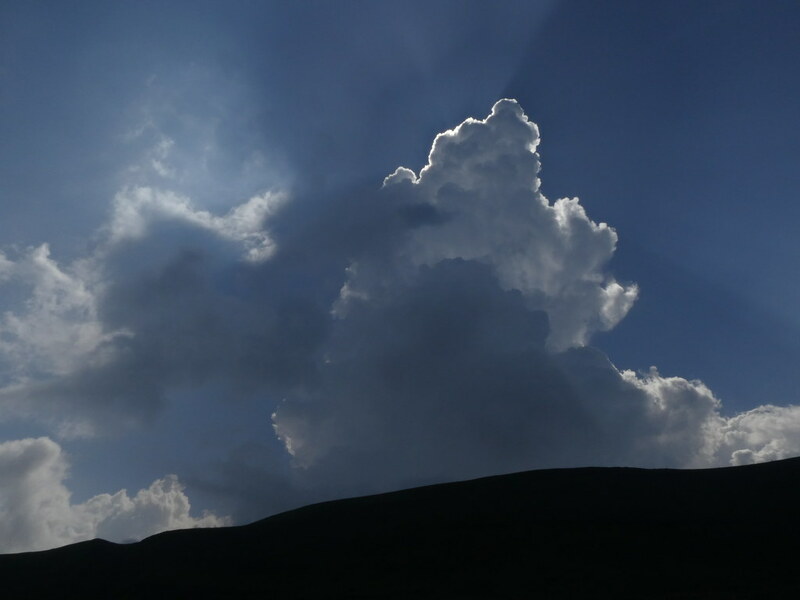 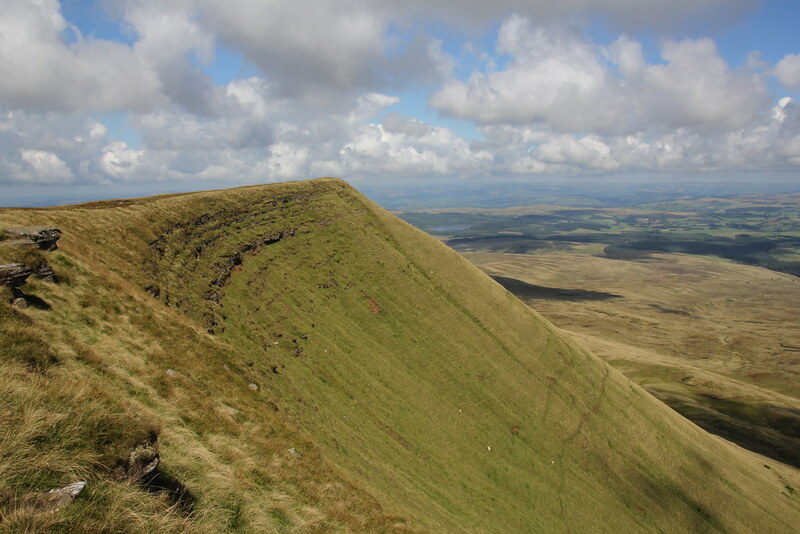 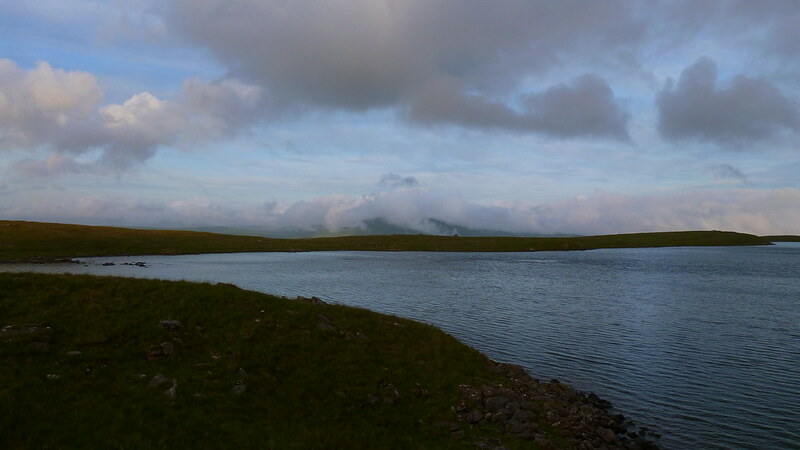 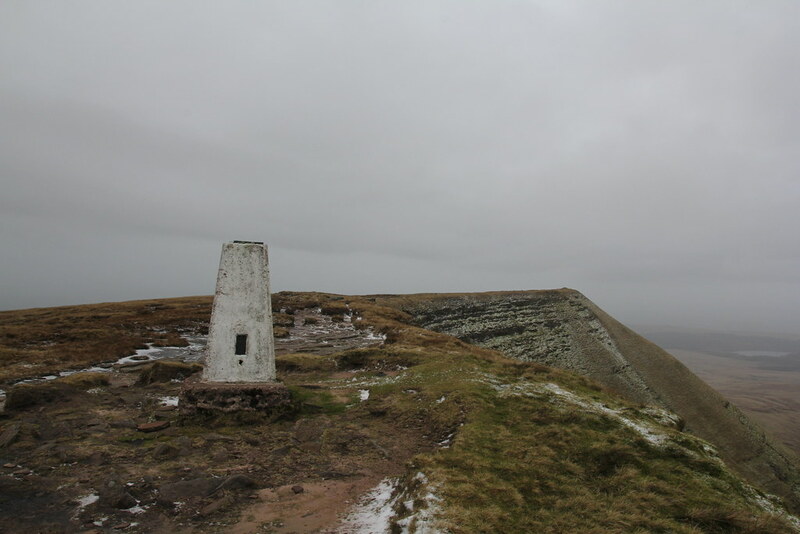 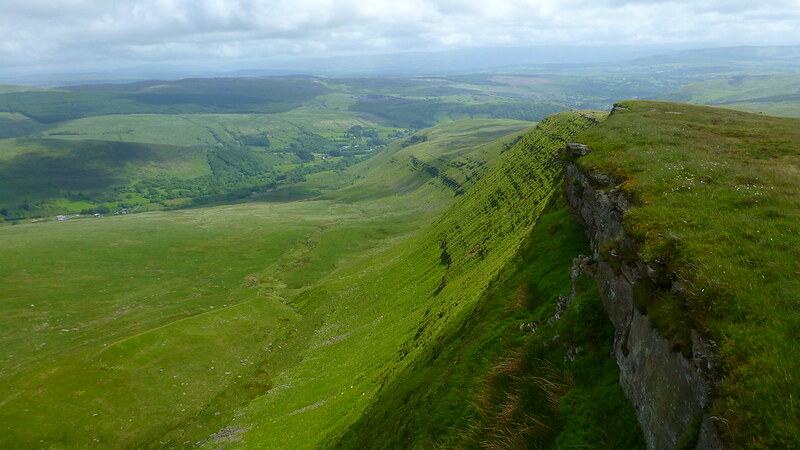 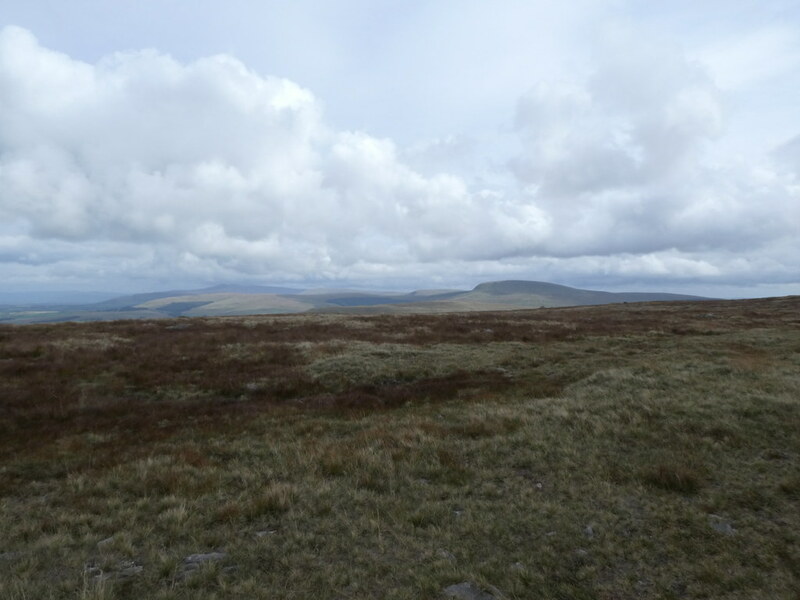 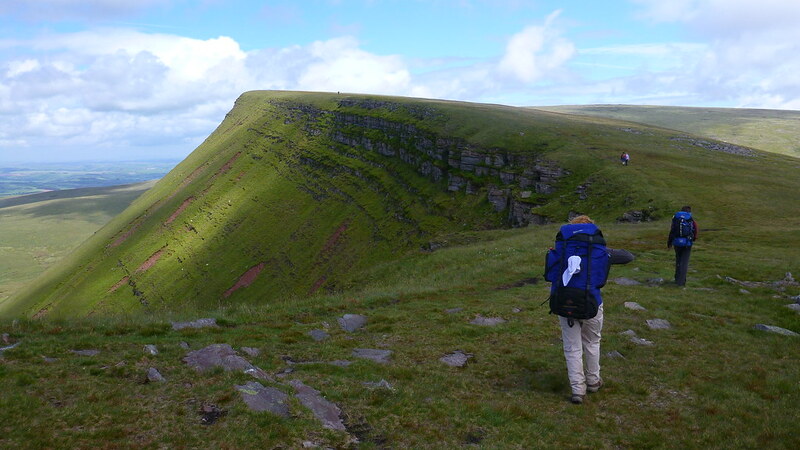 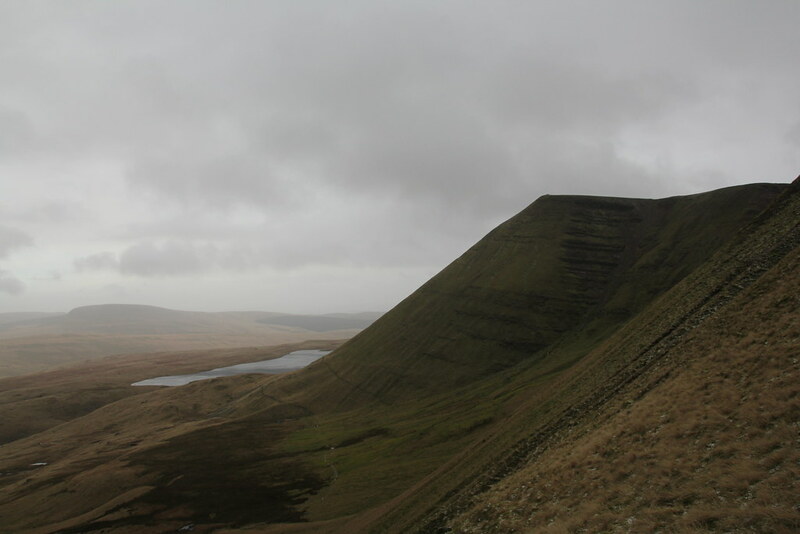 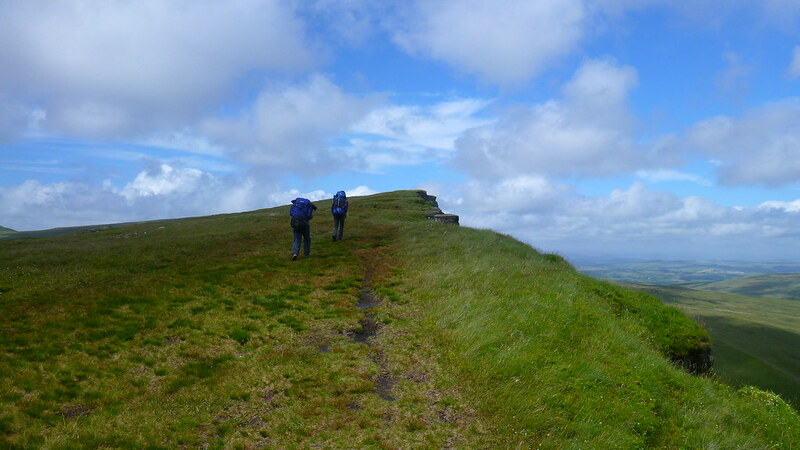 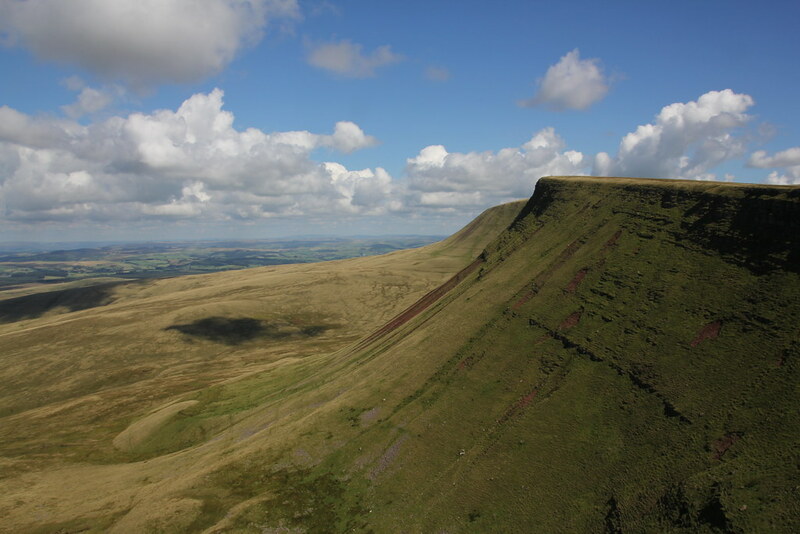 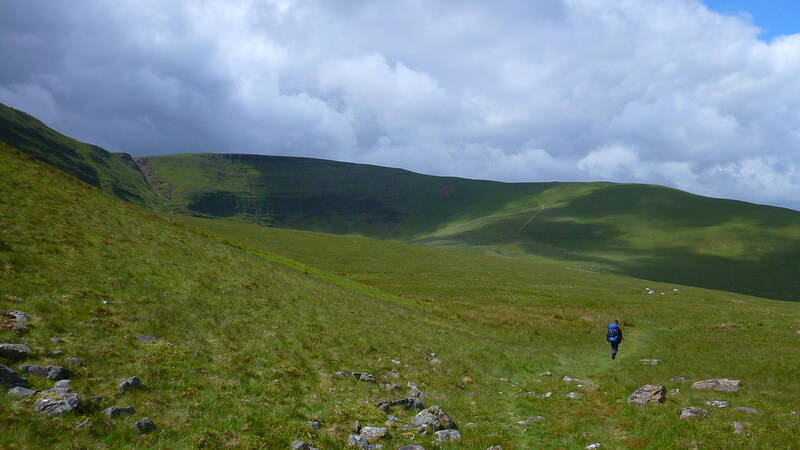 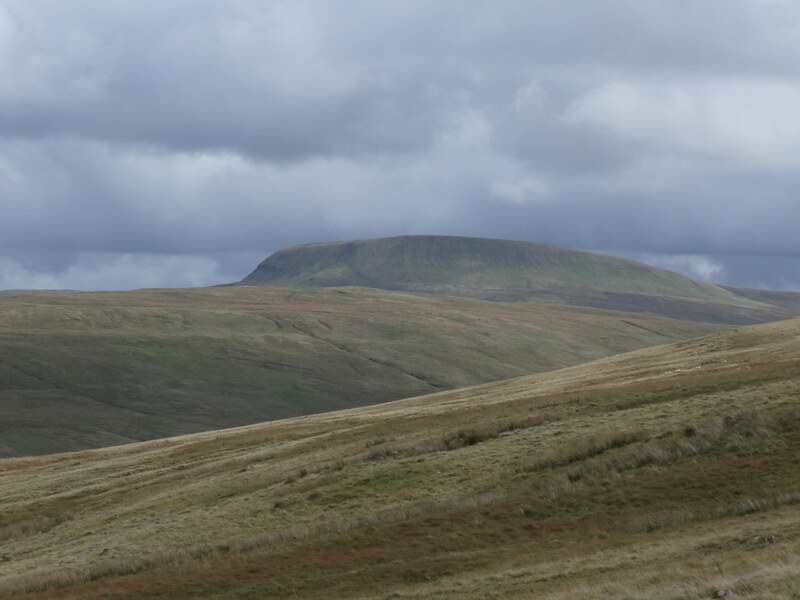 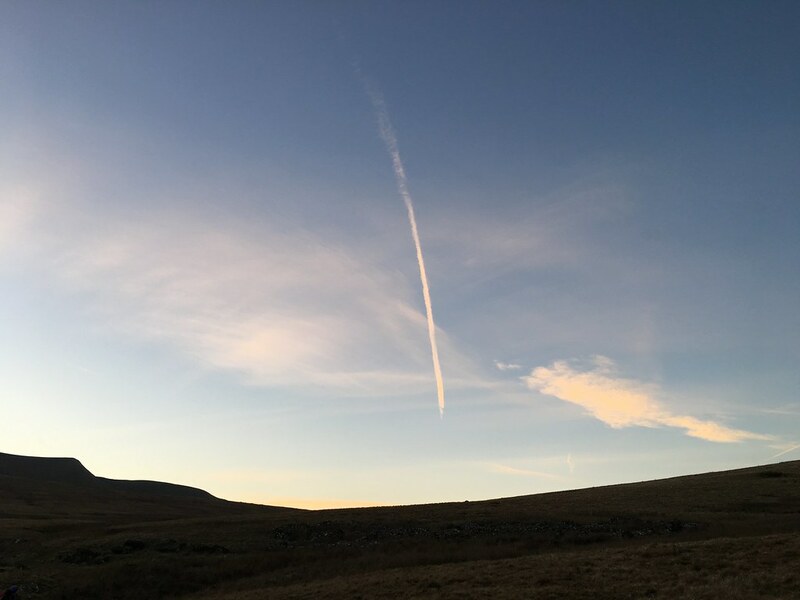 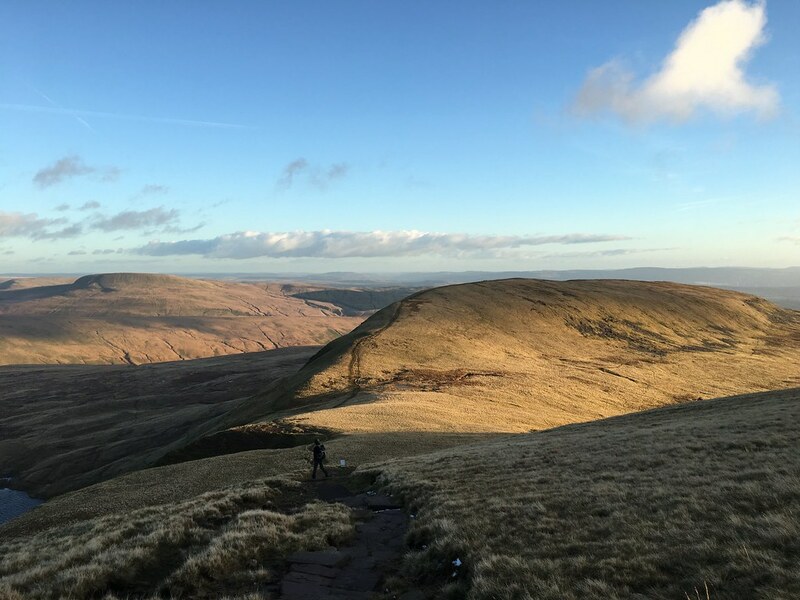 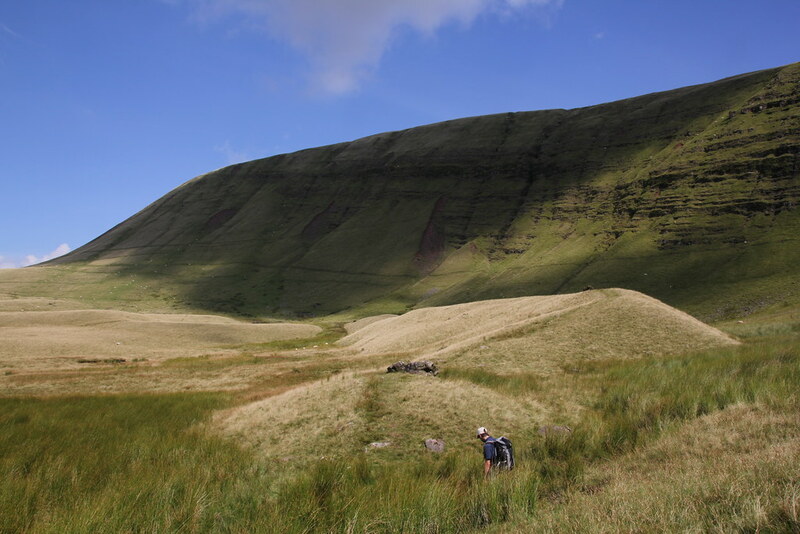 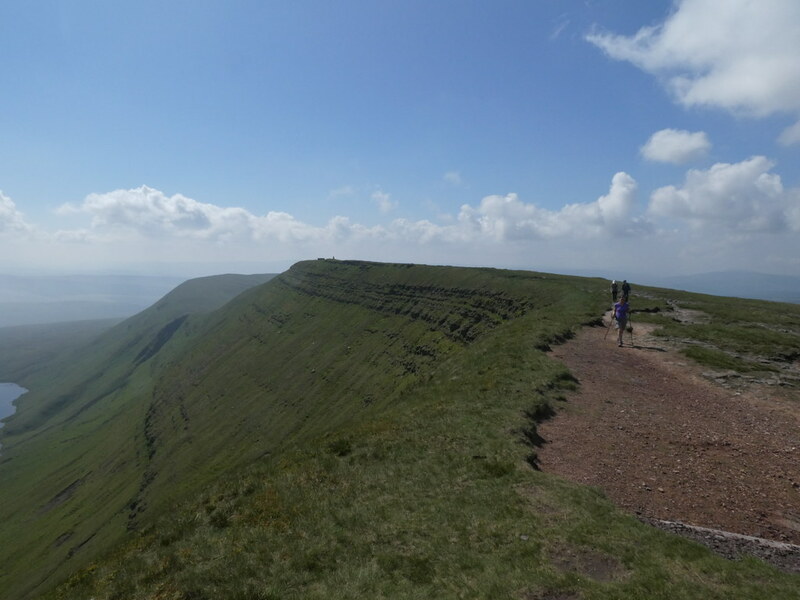 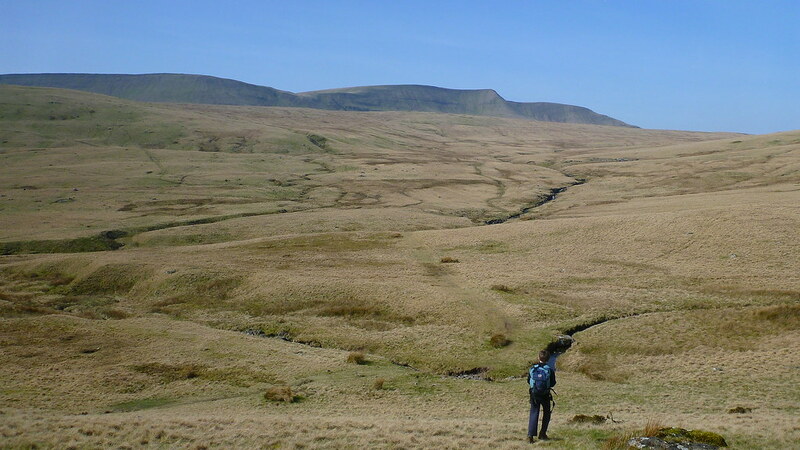 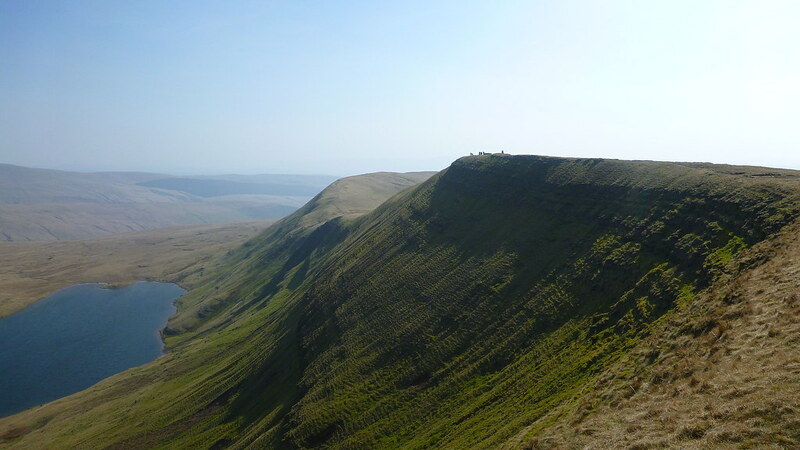 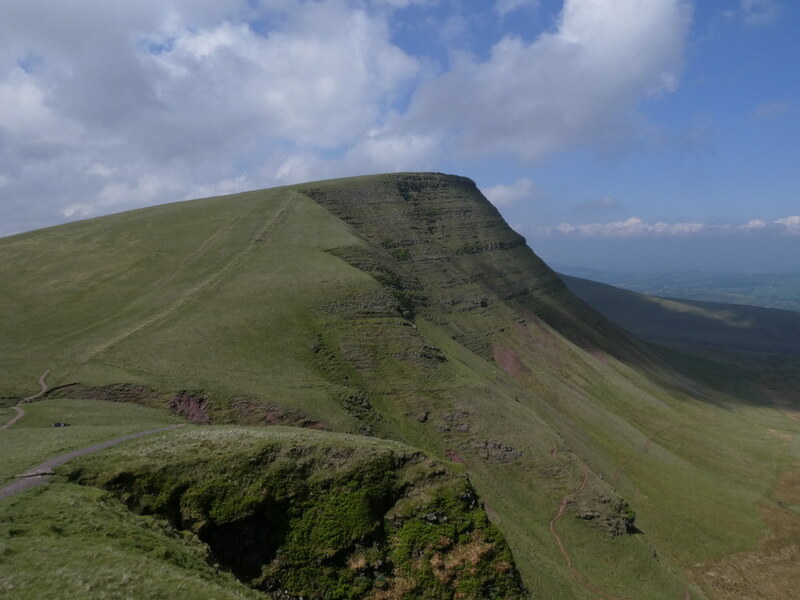 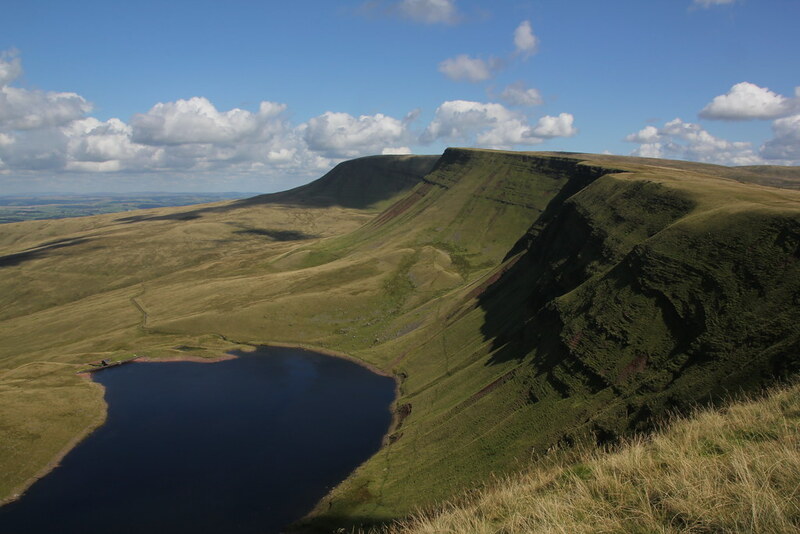 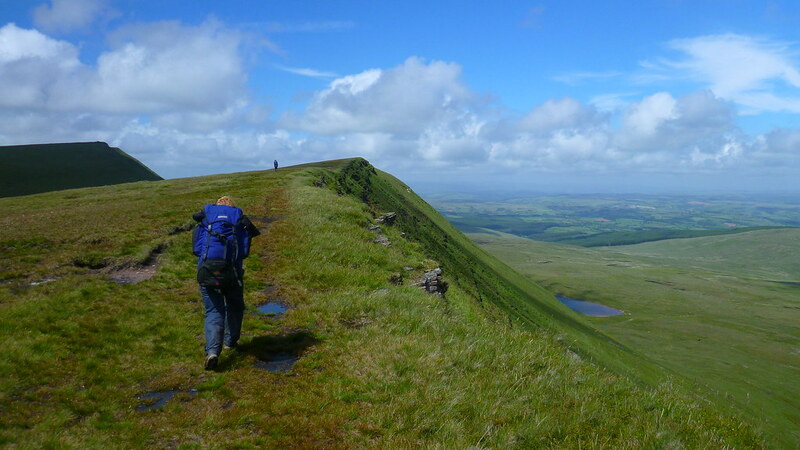 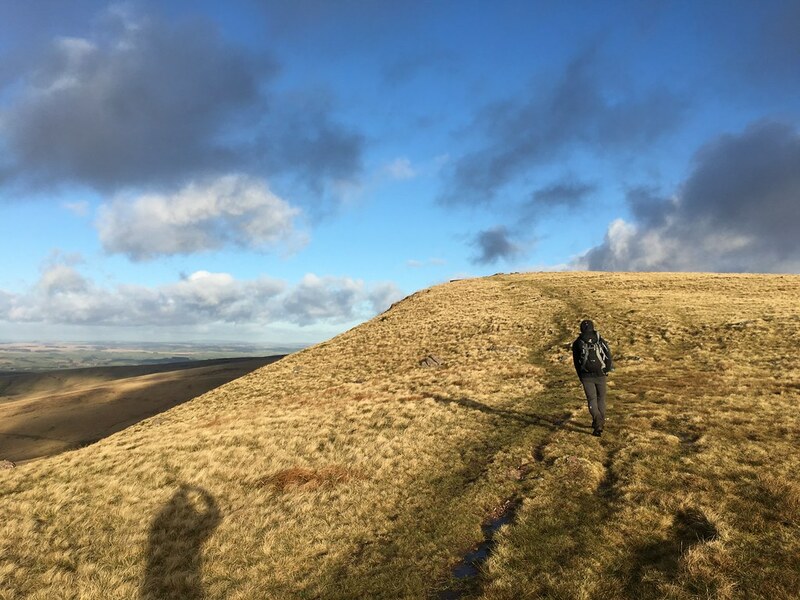 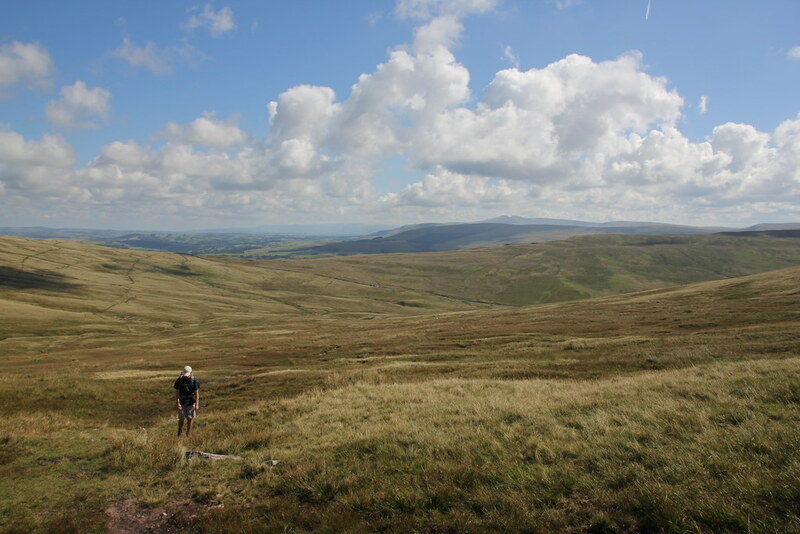 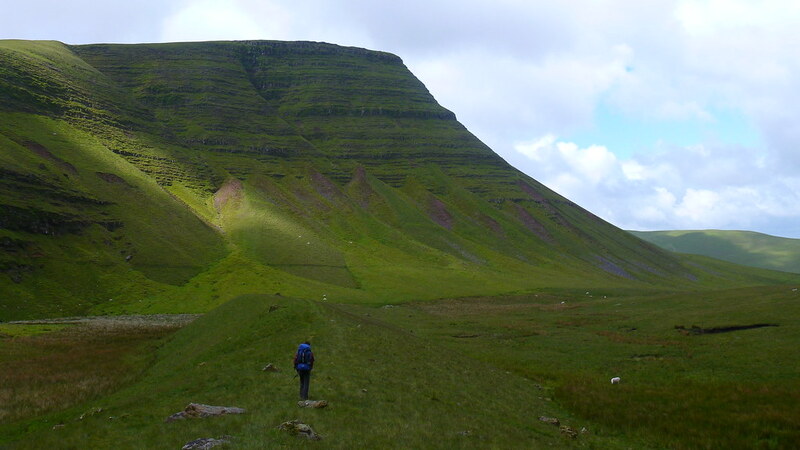 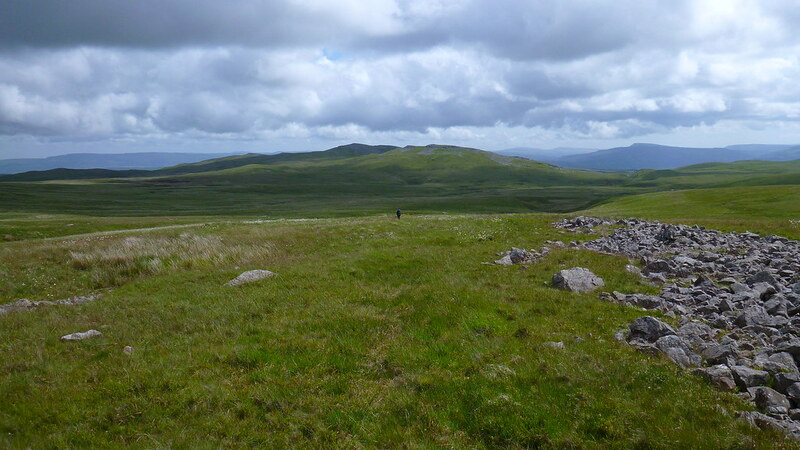 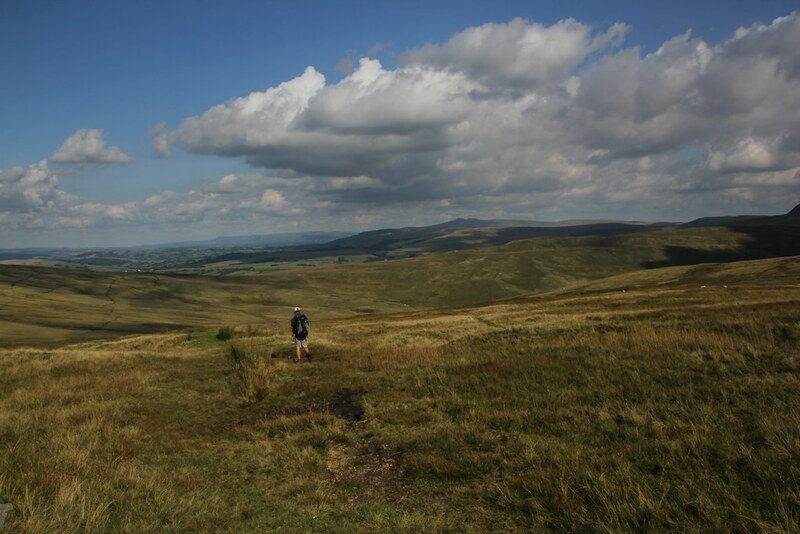 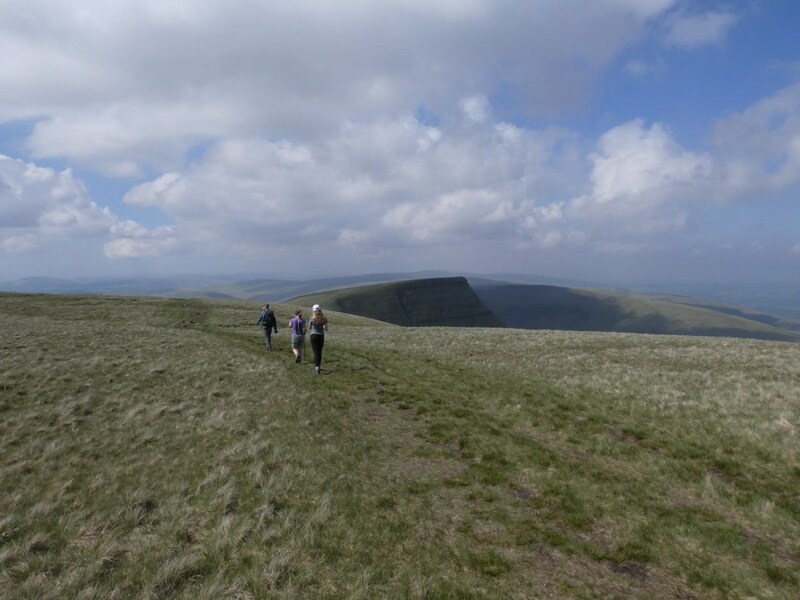 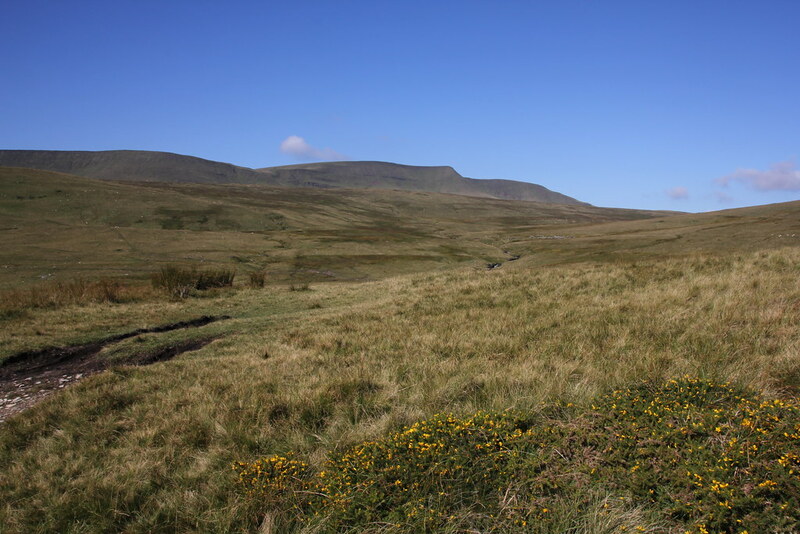 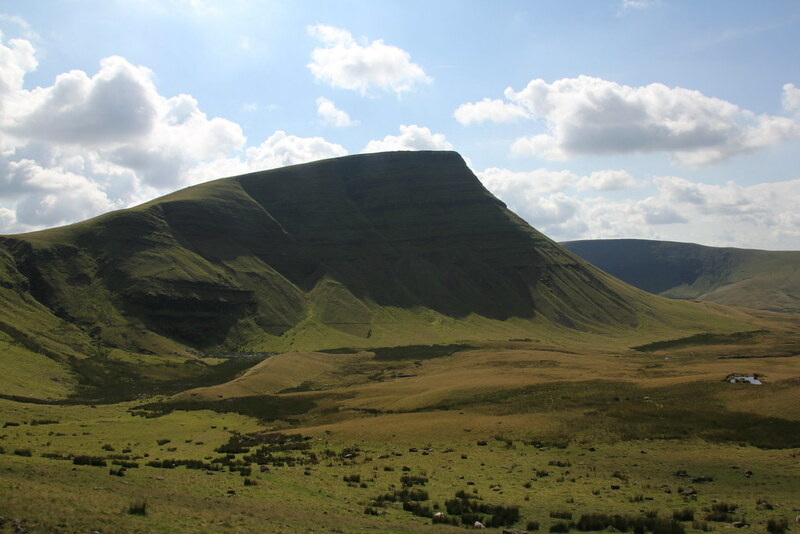 The Black Mountain (not to be confused with the Black Mountains) lies to the west of the main Brecon Beacons range. 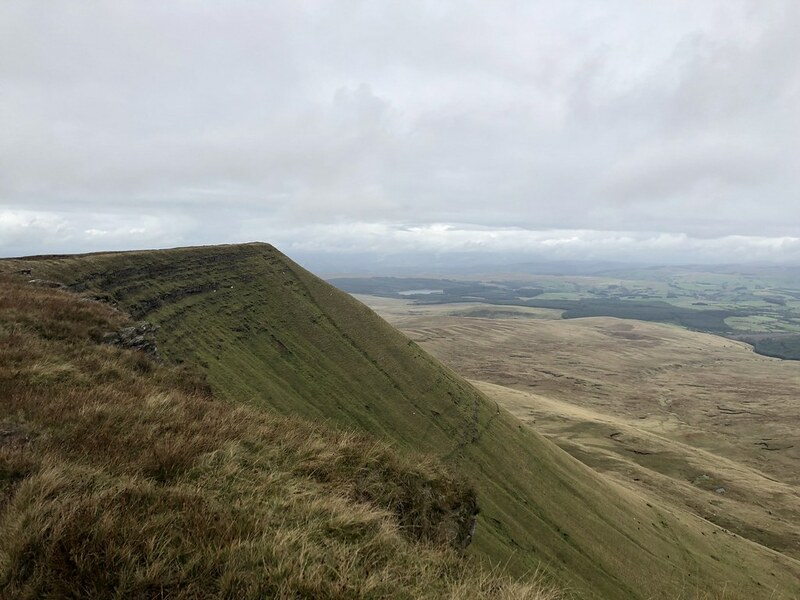 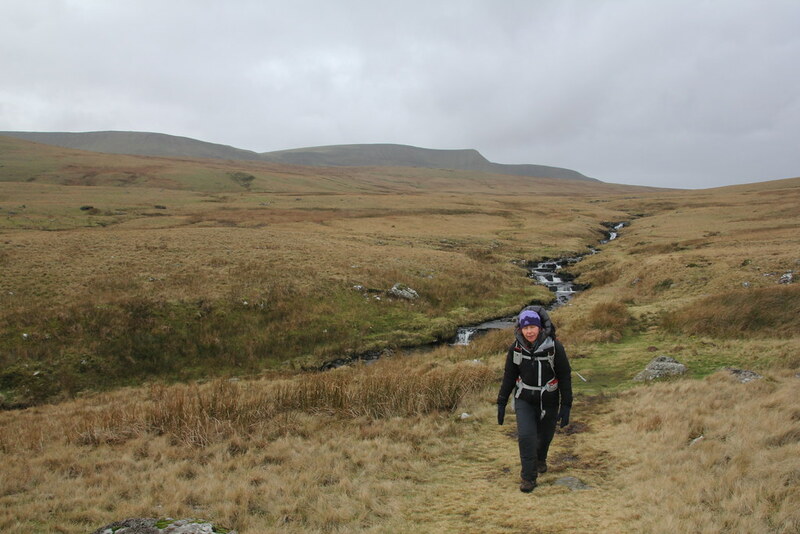 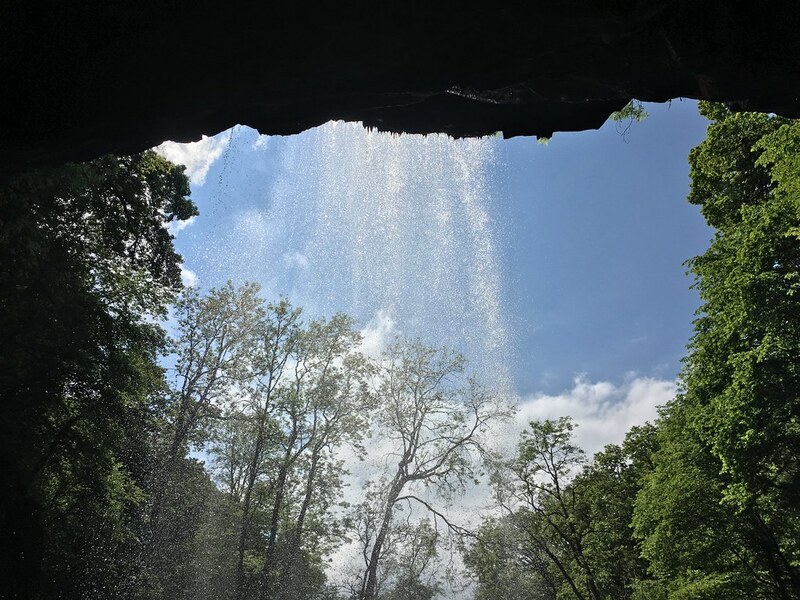 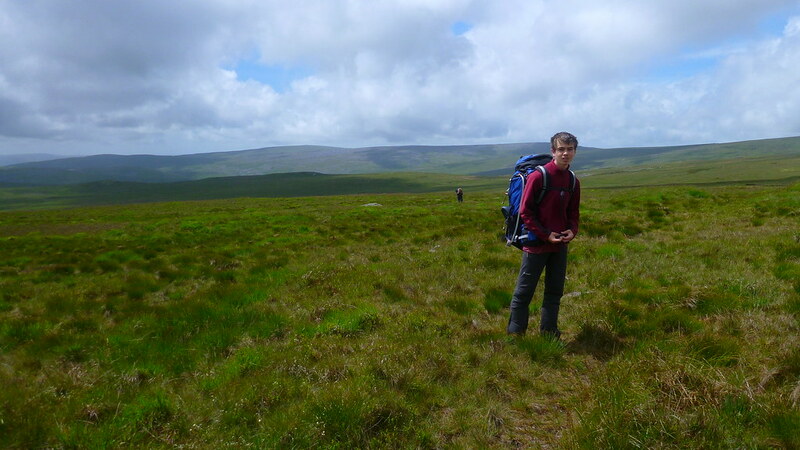 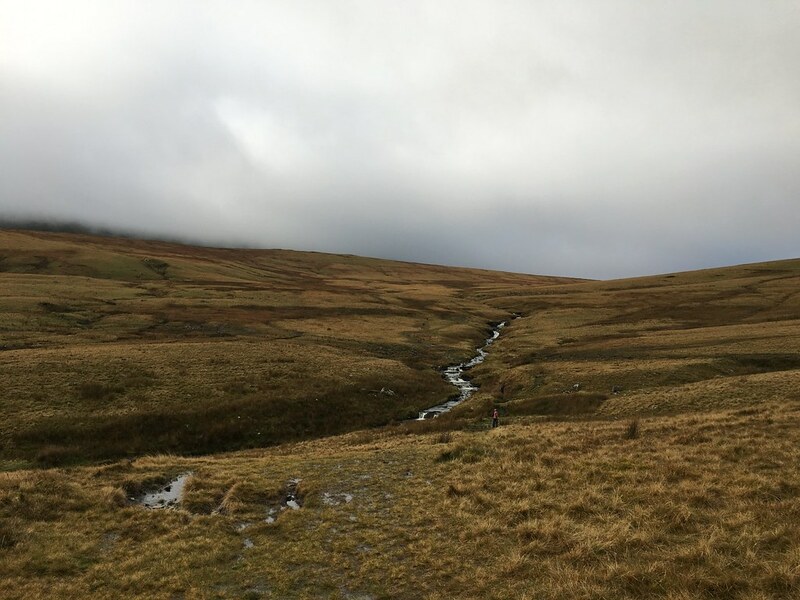 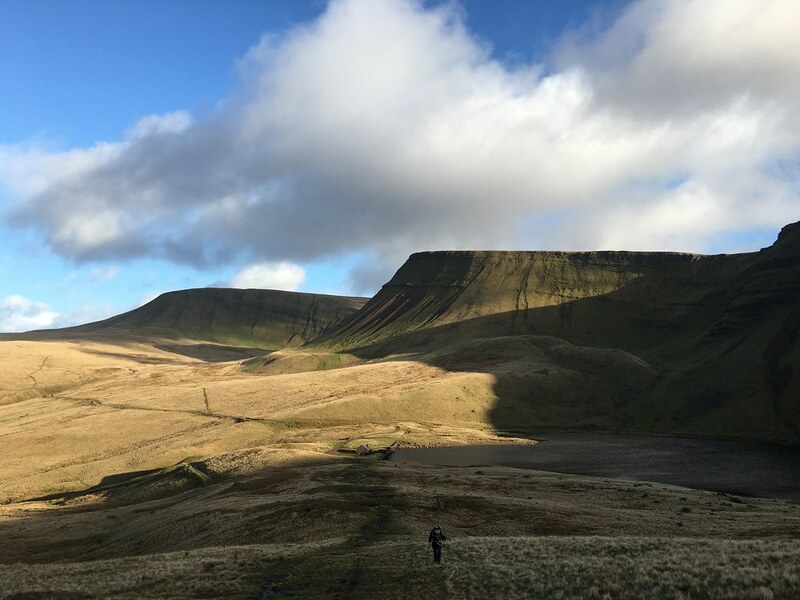 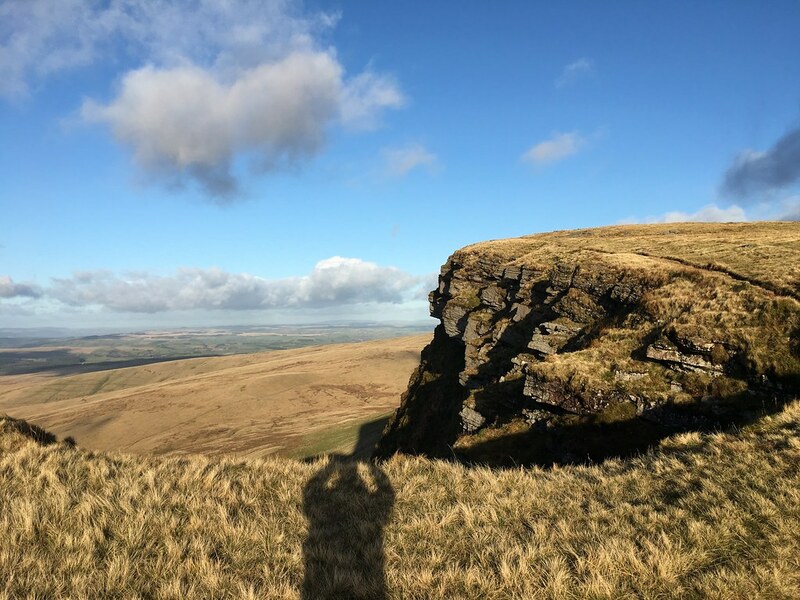 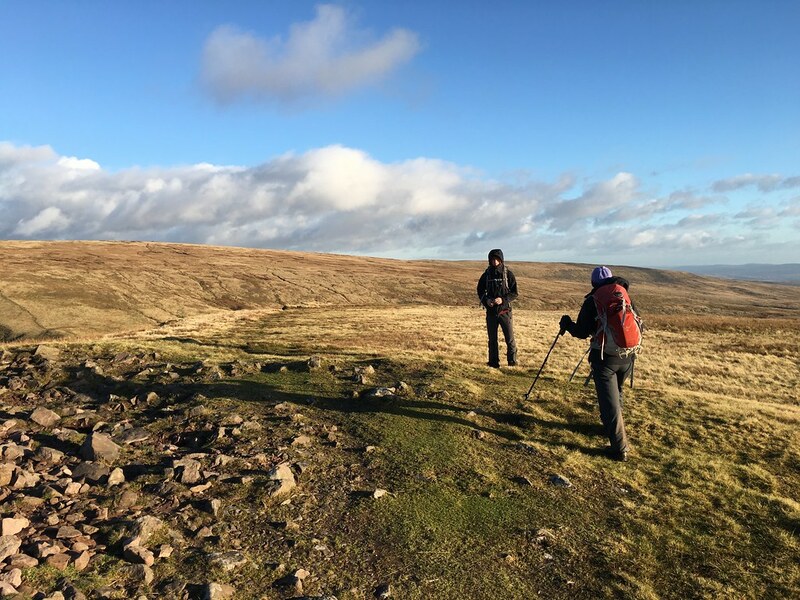 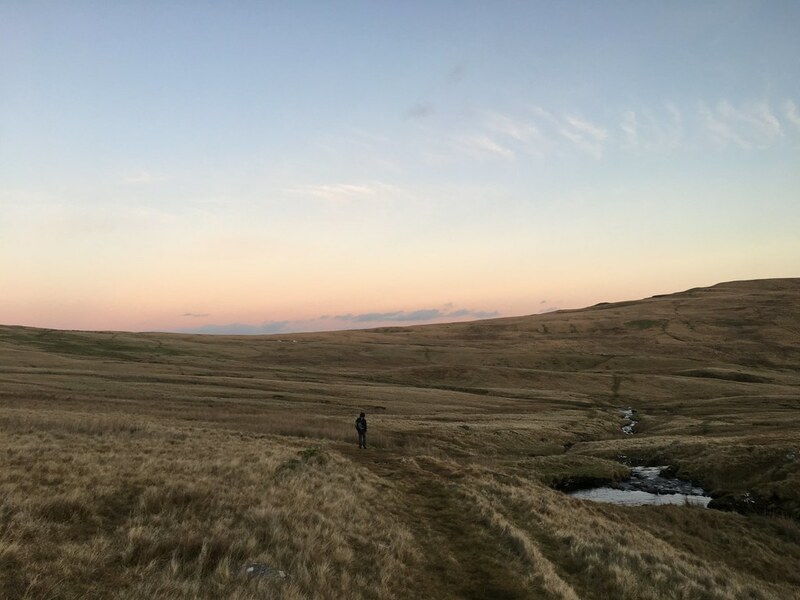 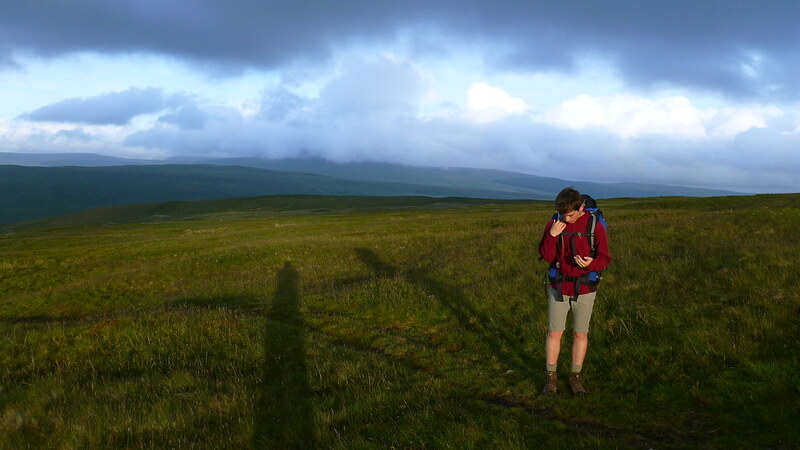 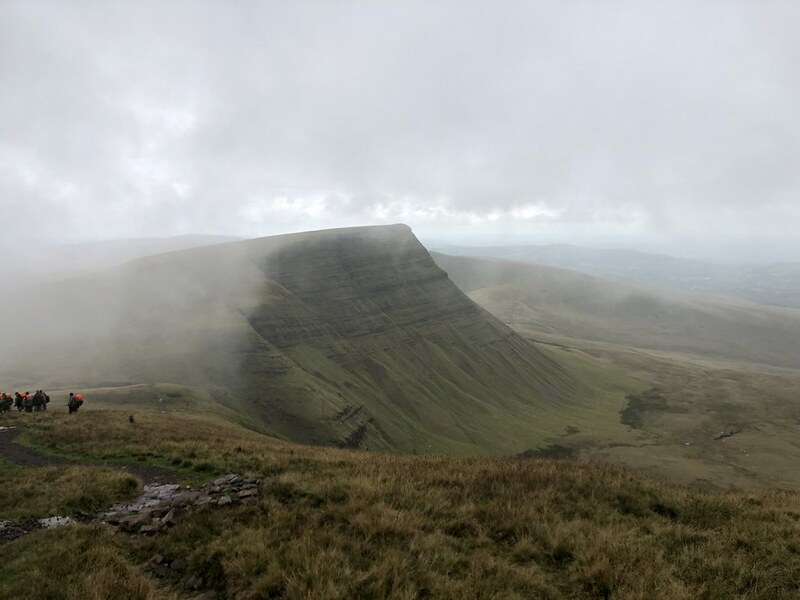 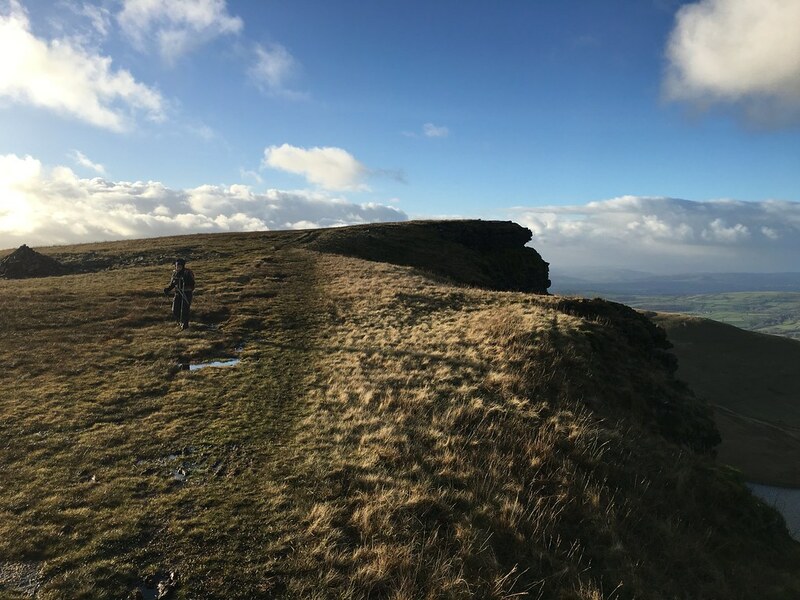 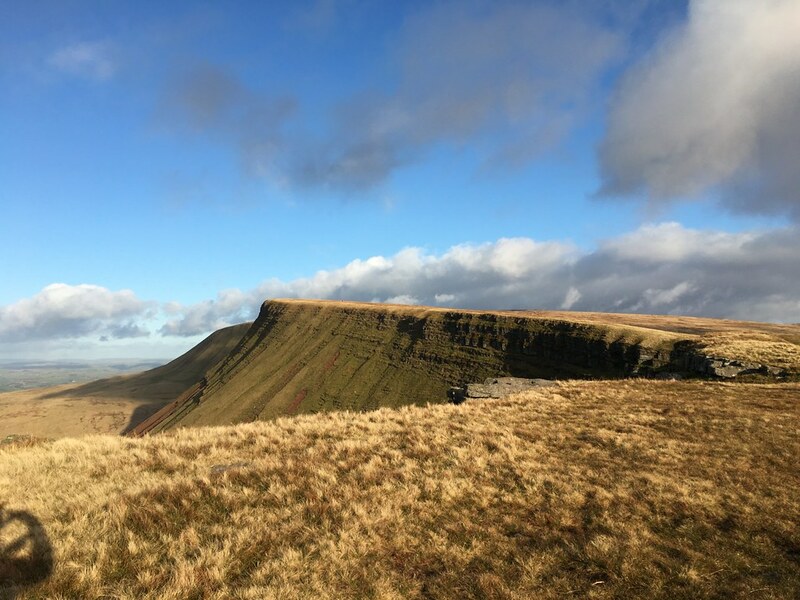 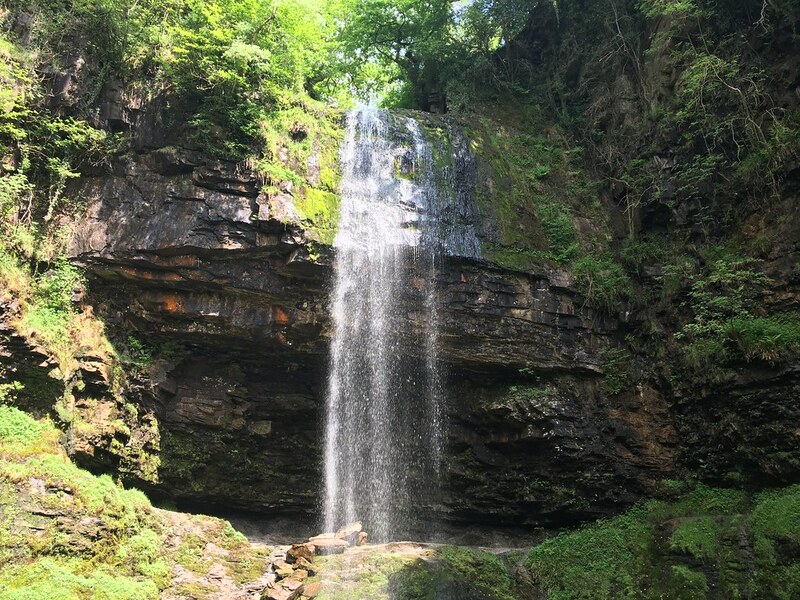 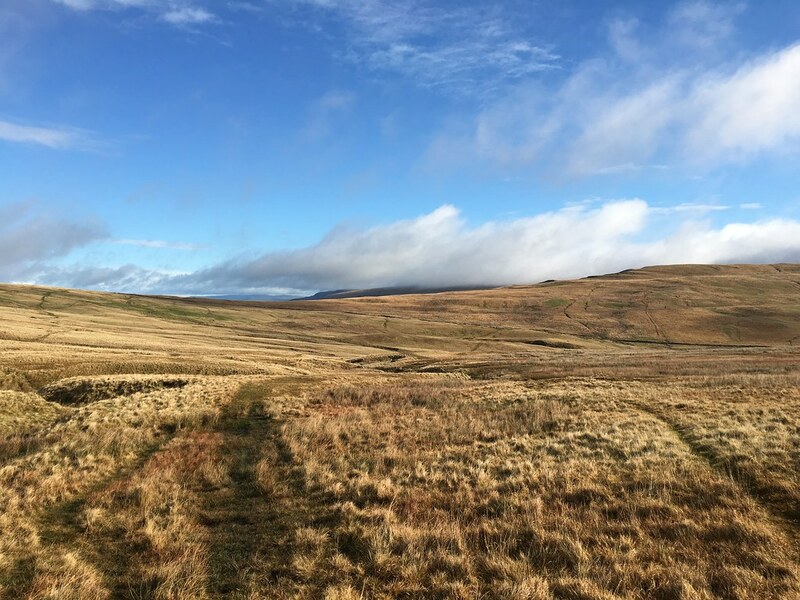 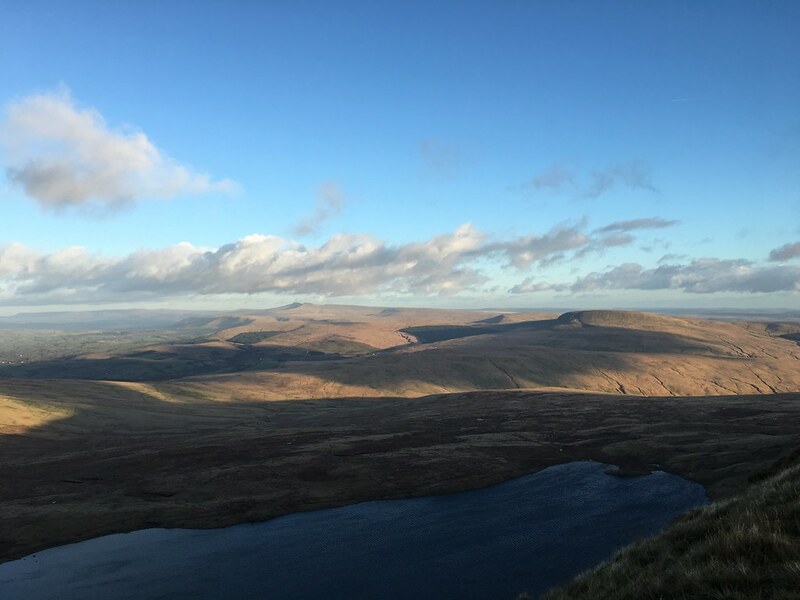 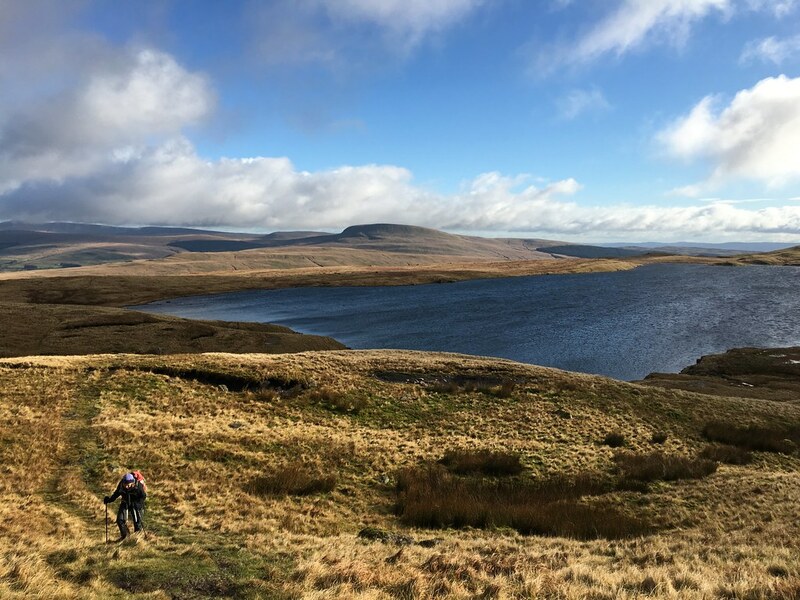 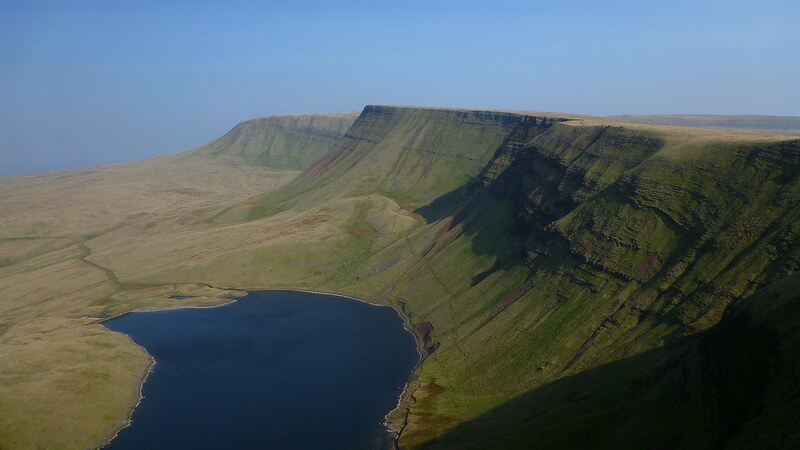 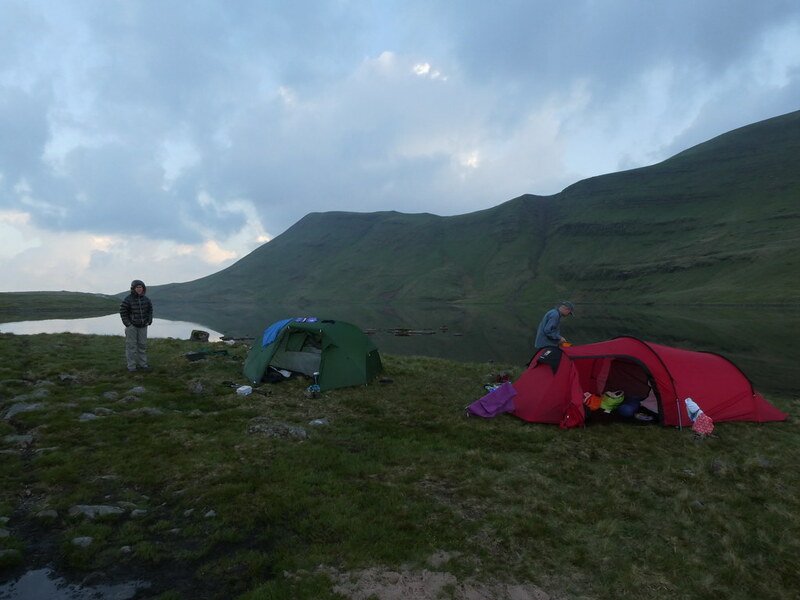 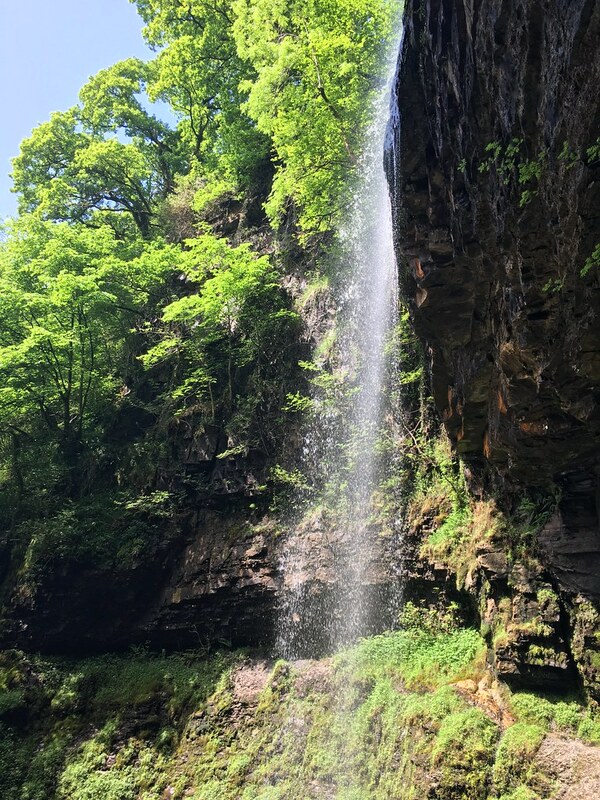 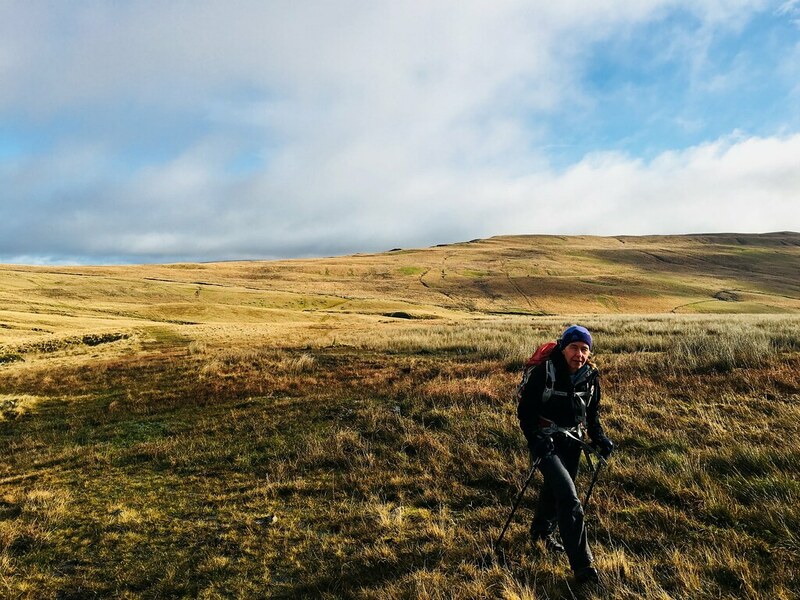 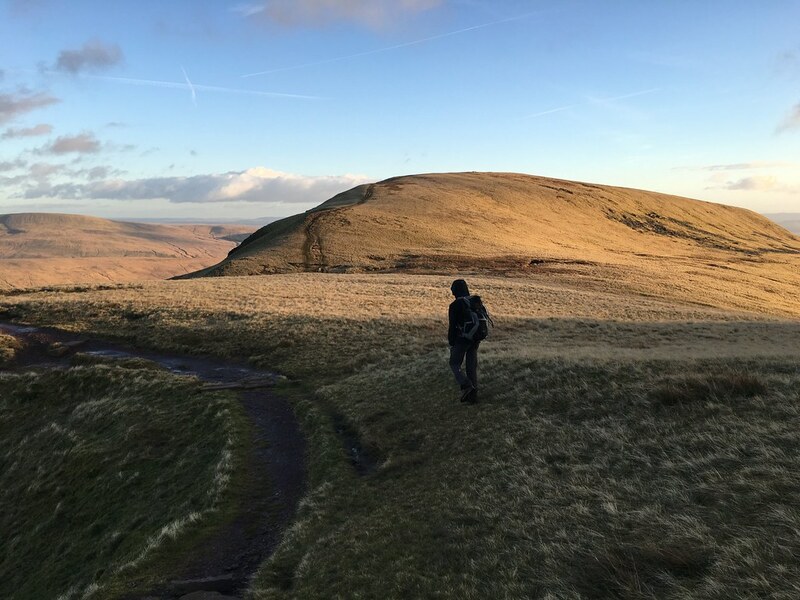 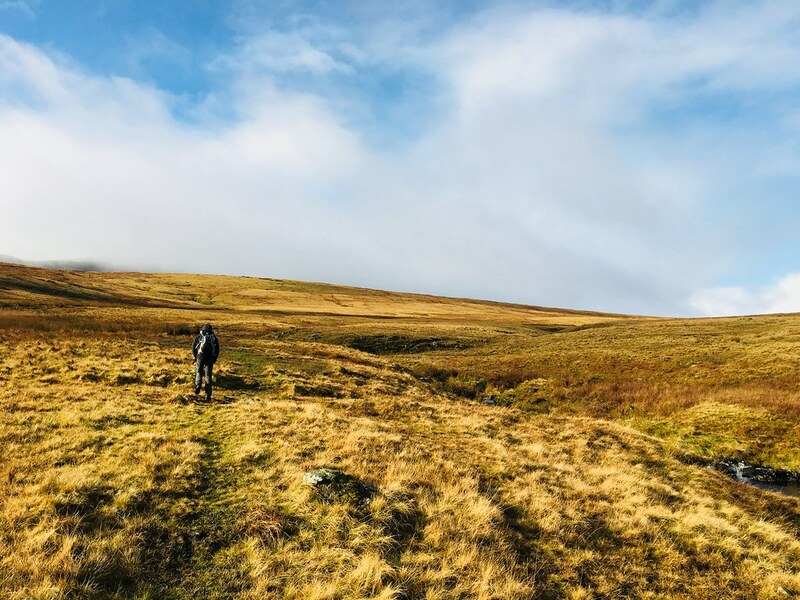 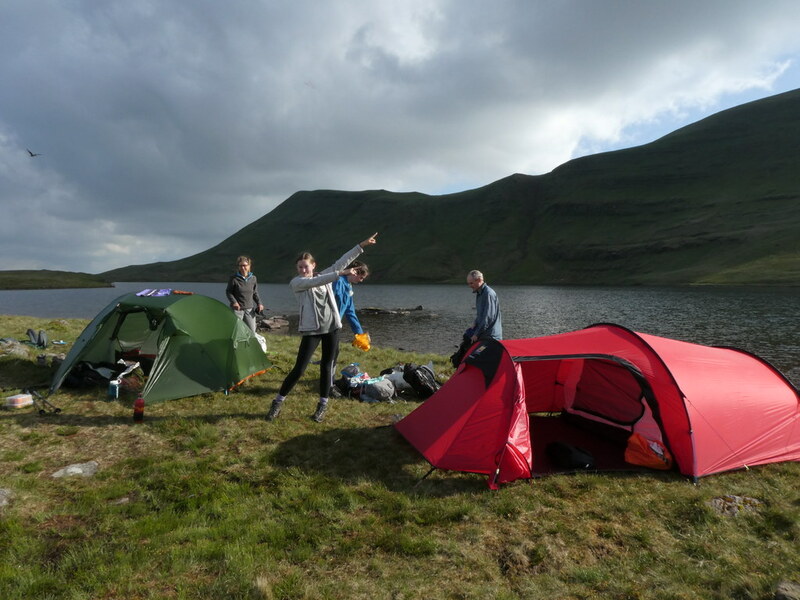 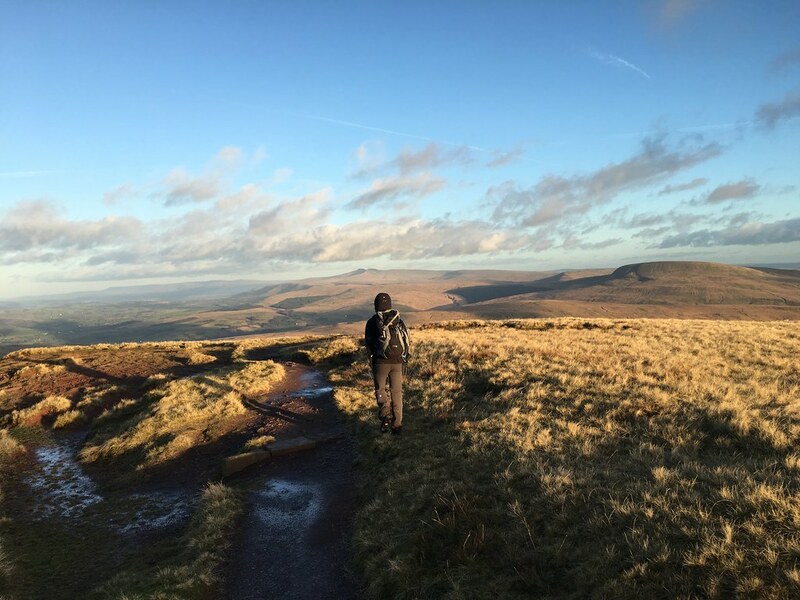 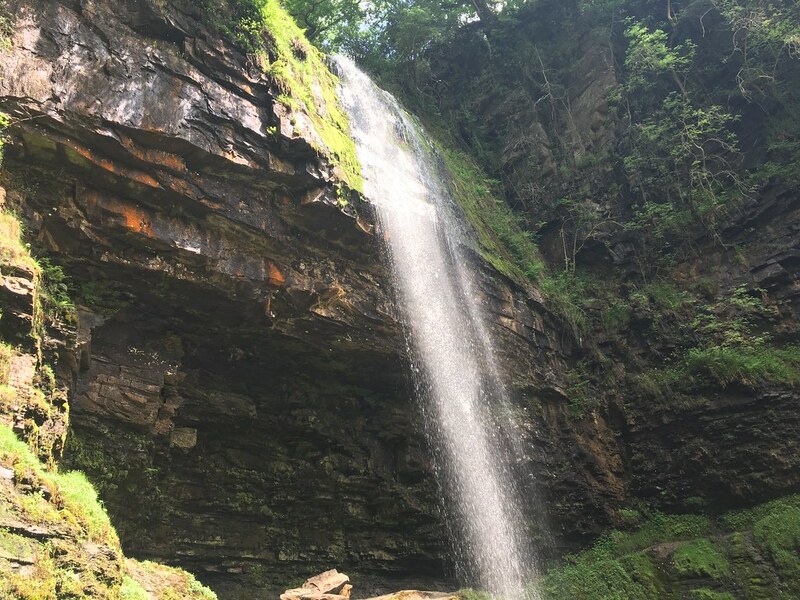 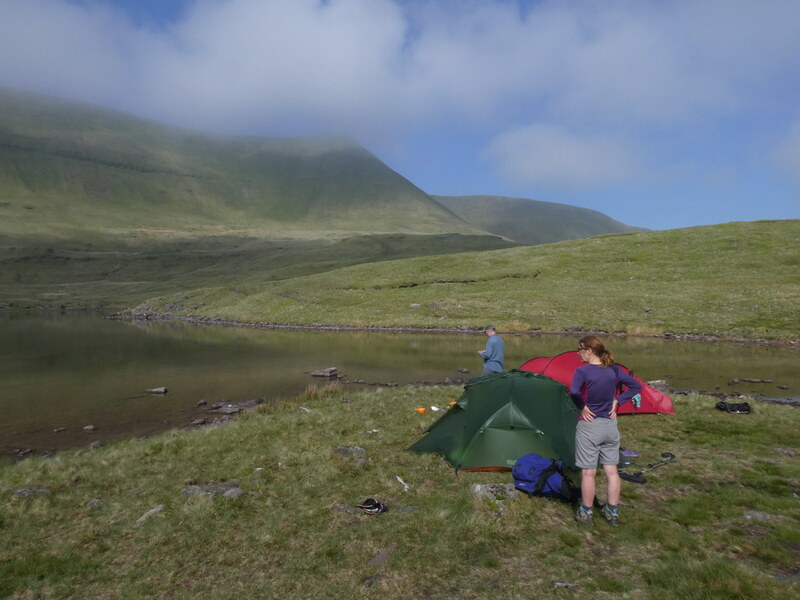 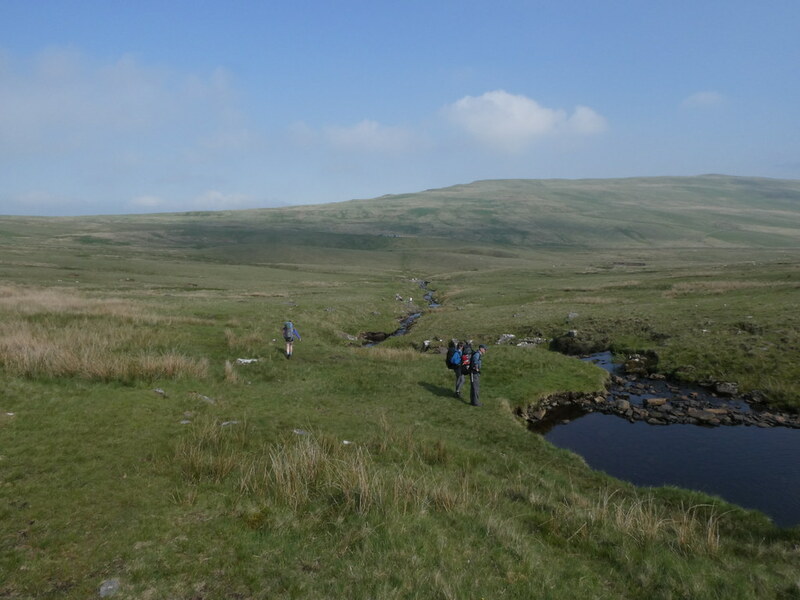 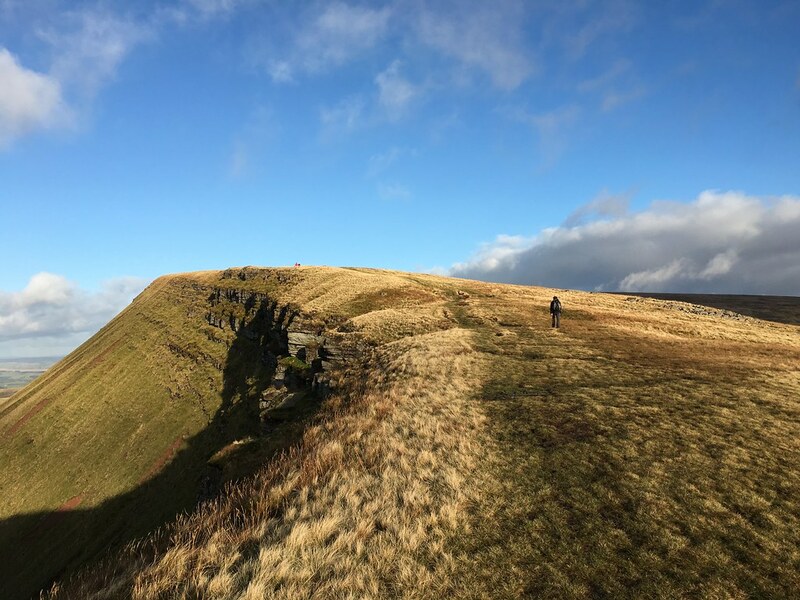 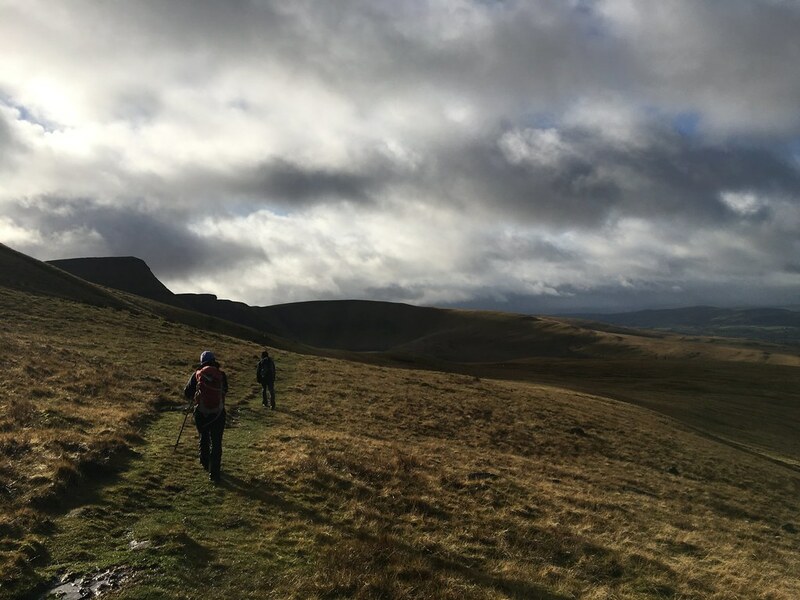 It’s a personal favourite and much quieter than the Brecons, although I’ve not been here since I started blogging so good to share this one for the first time. 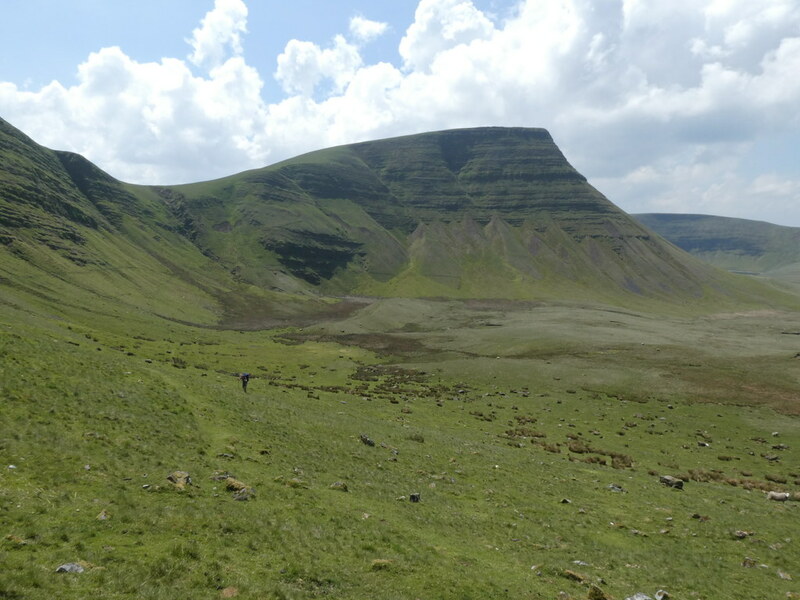 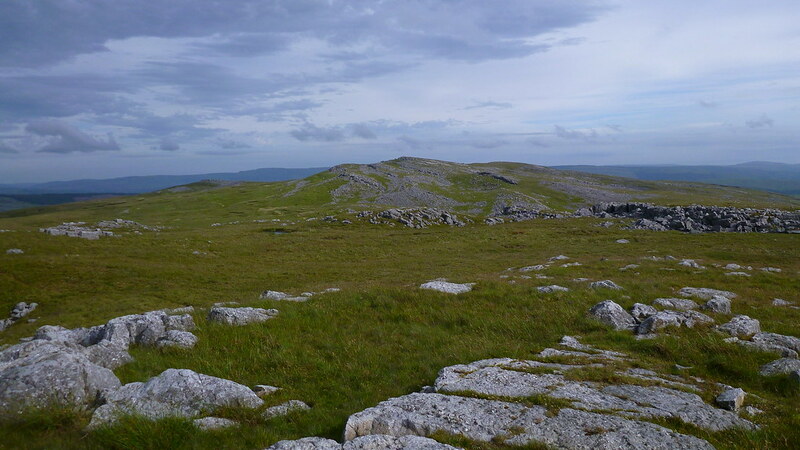 The main escarpment is set at a right angle with one edge facing north the other east. 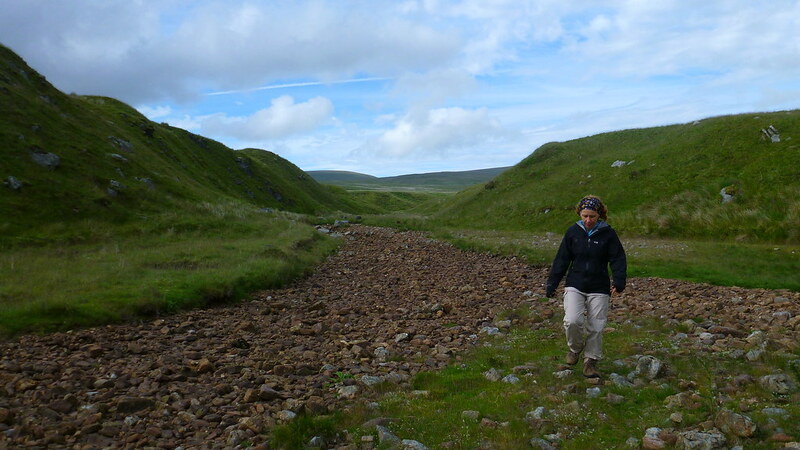 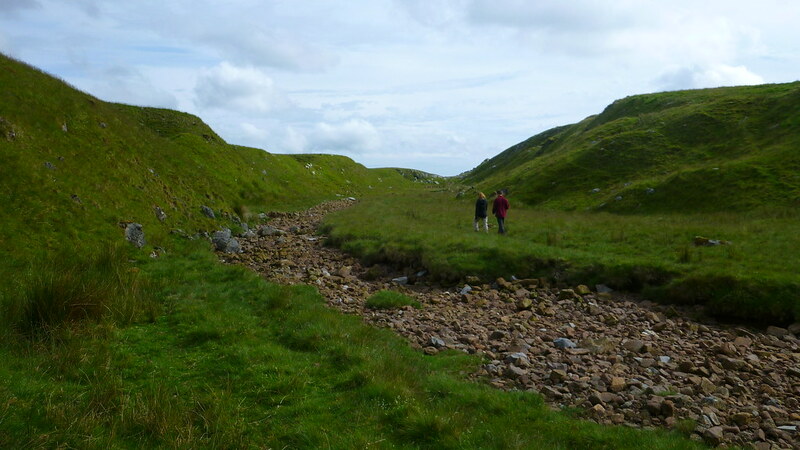 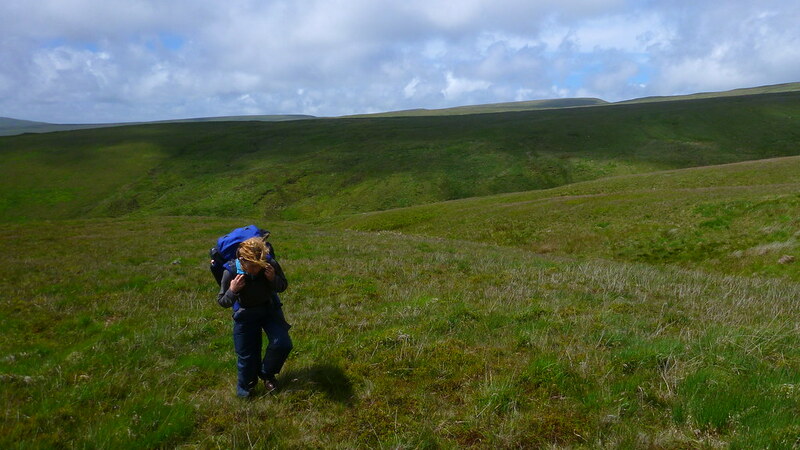 Making a circular walk is not easy but I came across this particular route more or less by accident when I was exploring a few years ago and I happen to think it’s a bit of a classic. 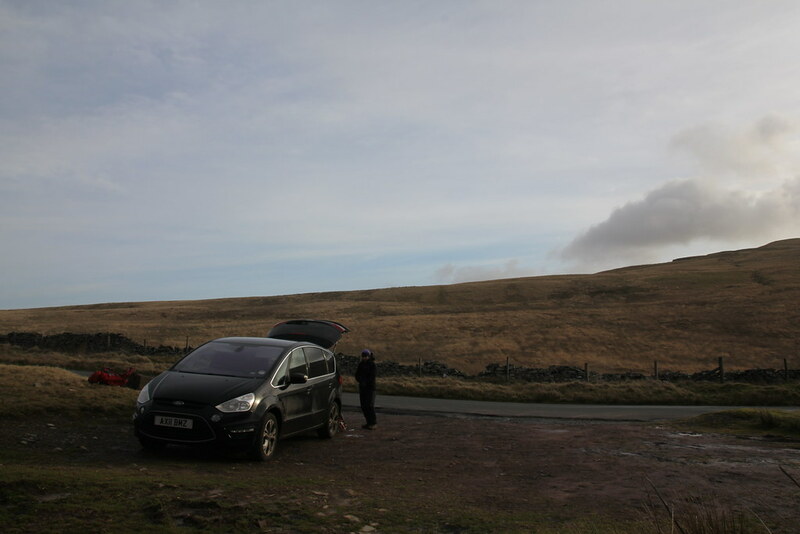 We parked up on the narrow high road that leads from Trecastle to Glyntawe. 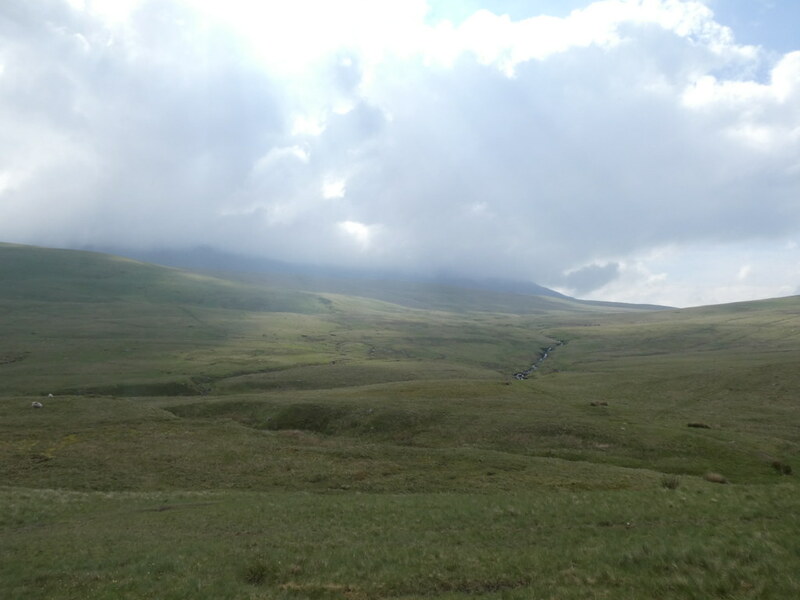 I was a little gutted to find my usual parking spot full of minibuses from a local school (DofE I guessed) so had to drive down the road a mile or so for another spot. 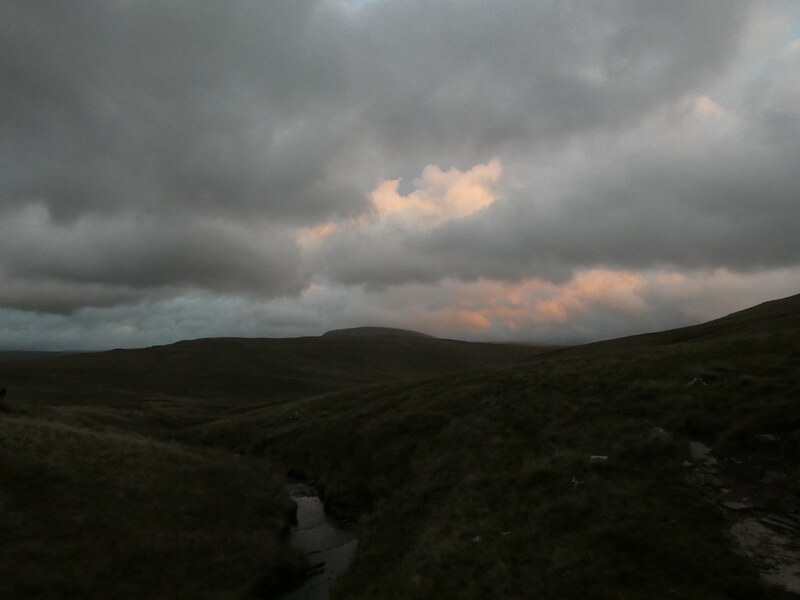 A fortuitous happening as this meant that rather than the usual mile or so of bog-trotting to get to the path, I picked it up from the start (why has this never occurred to me before!) 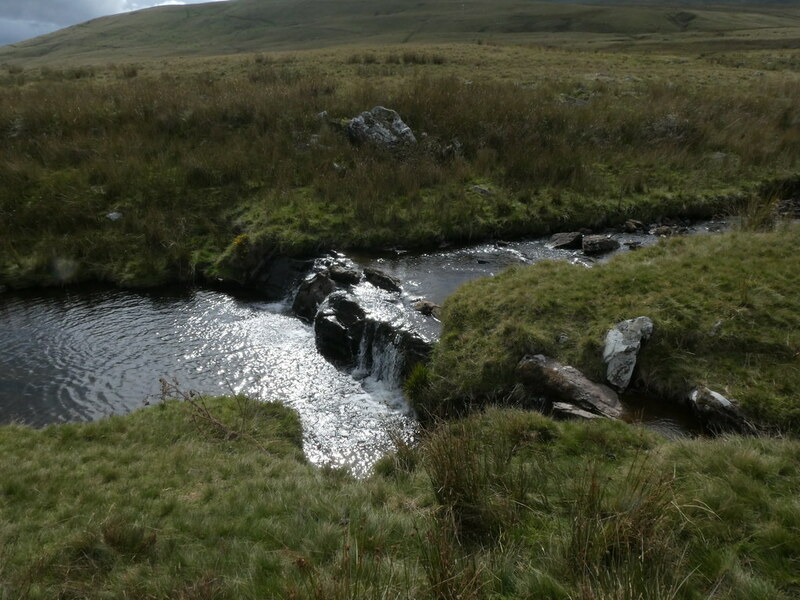 with the added bonus that it follows a rather splendid stream, the infant Afon Tawe that hits the sea at Swansea. 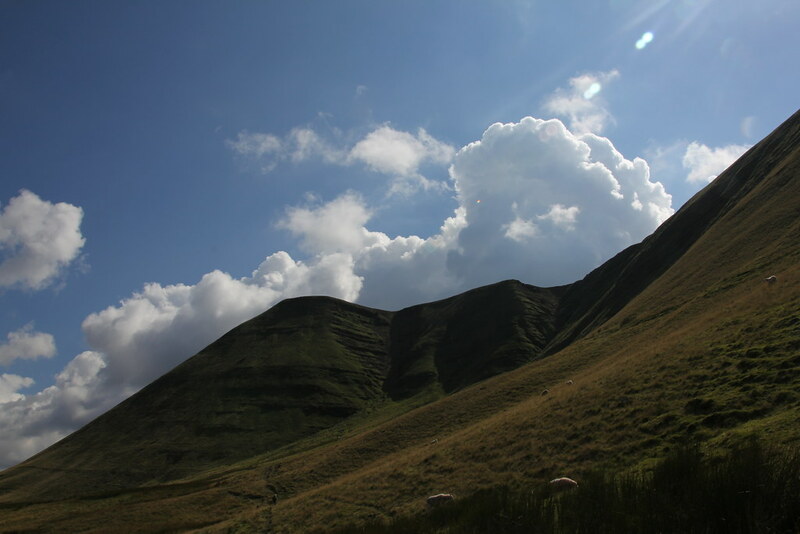 We headed off on a glorious spring day and the first thing that struck me was the pale brown colour of the hills. 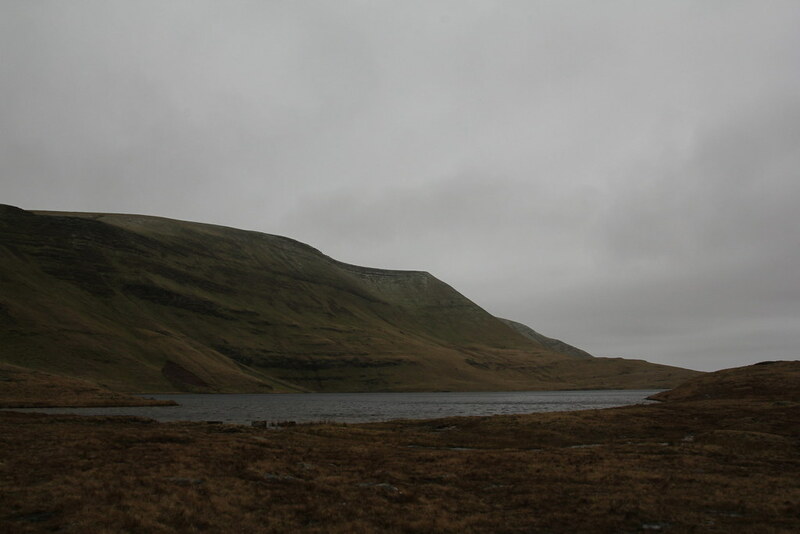 At this time of year I’d expect dark greens and blacks (perhaps even a little white) but it was more like June than March. 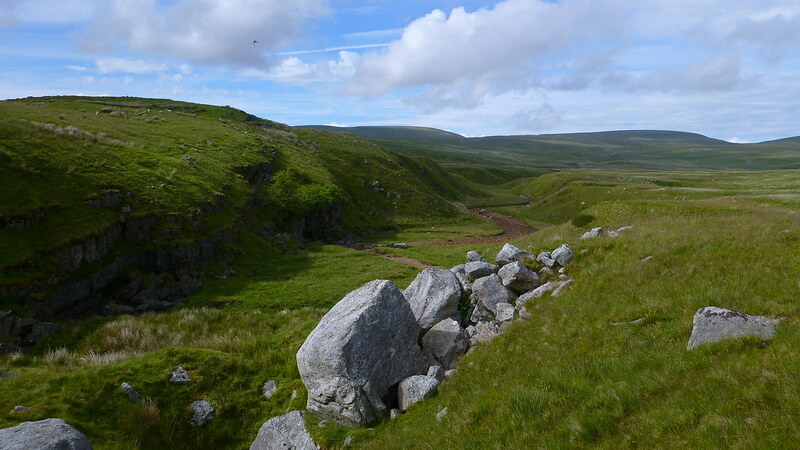 Clearly there has been some seriously dry weather in these parts as well and I’m sure the risk of fires will grow again if it continues into summer. 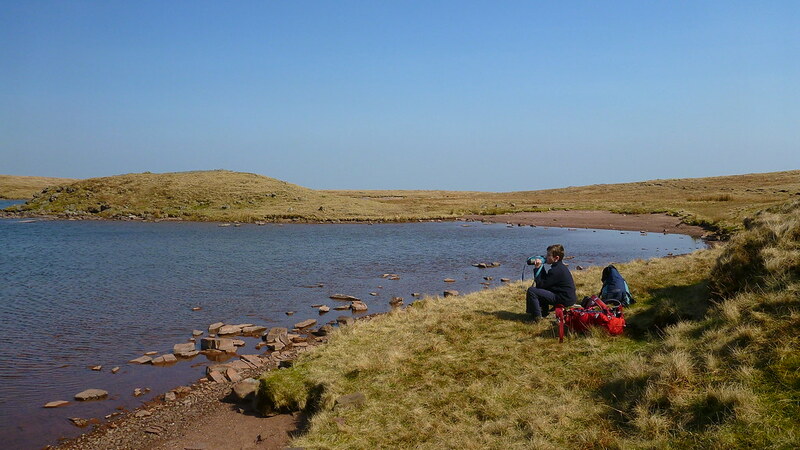 The river was enchanting and a perfect spot for a summer family picnic with plenty of spots a few minutes walk from the car and even places to swim. 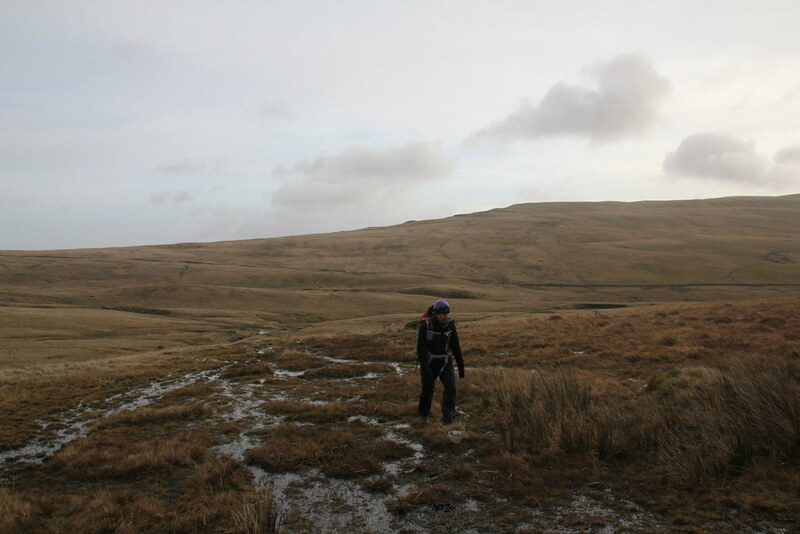 As we started to climb towards the hills the dry ground was a real surprise, this section is normally extremely soggy. 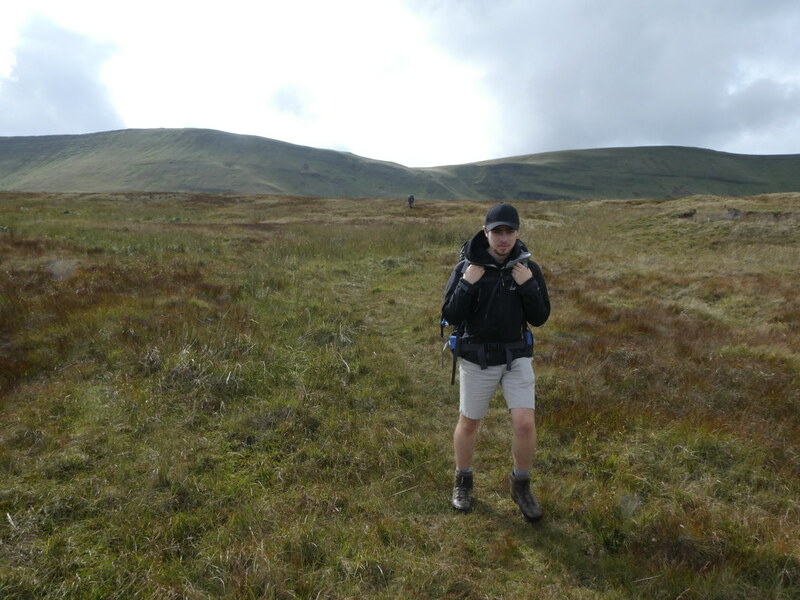 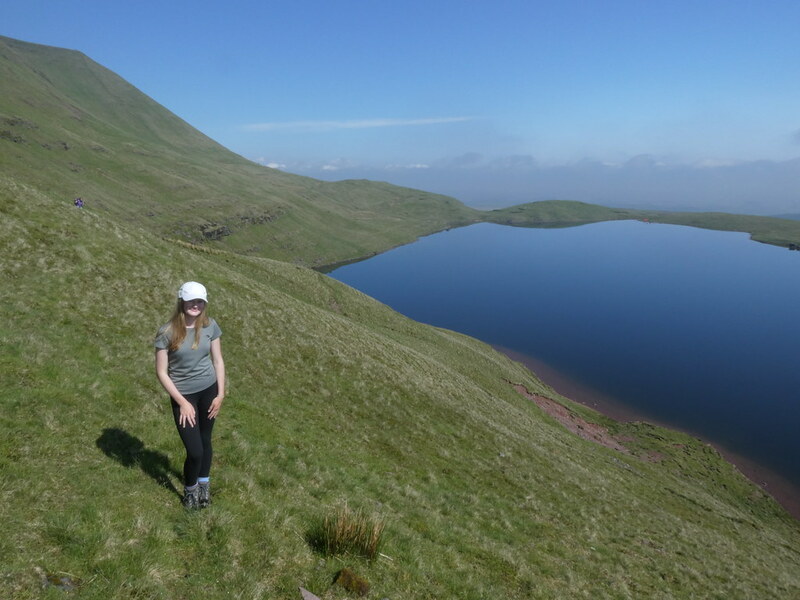 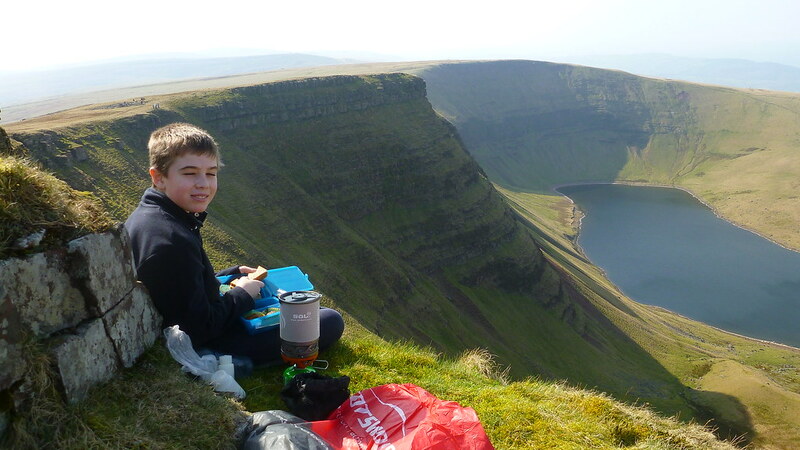 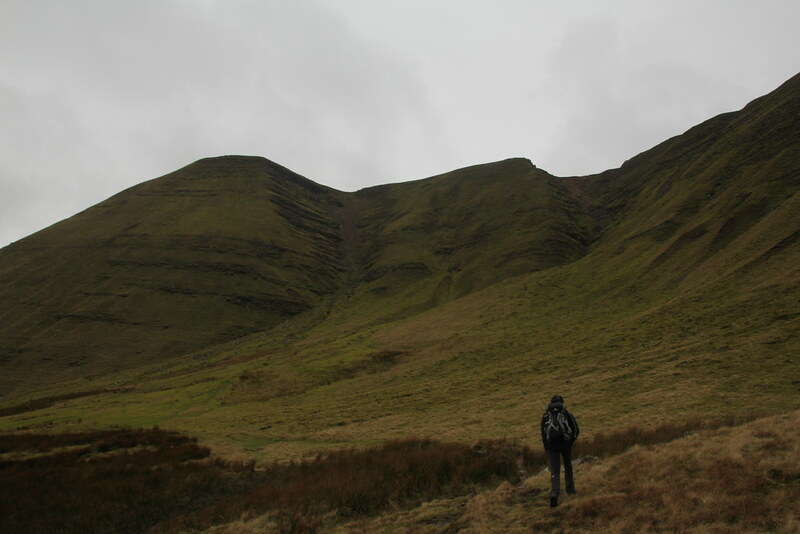 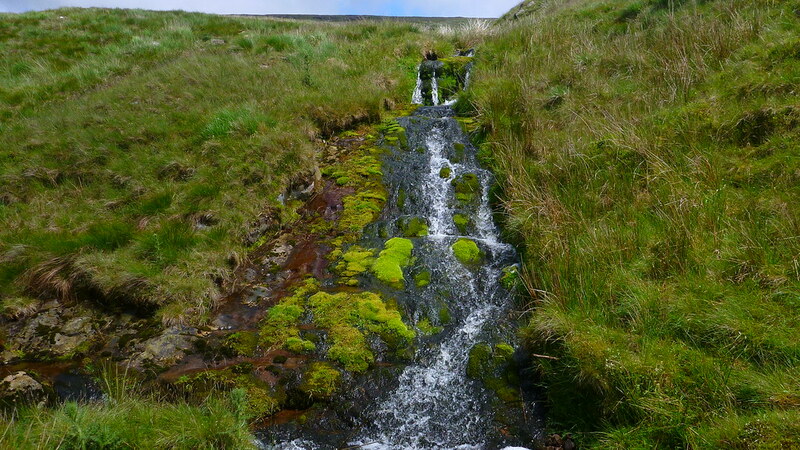 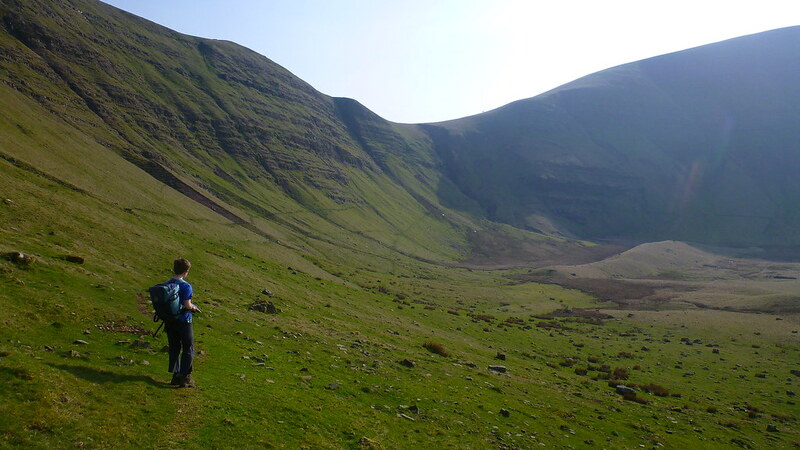 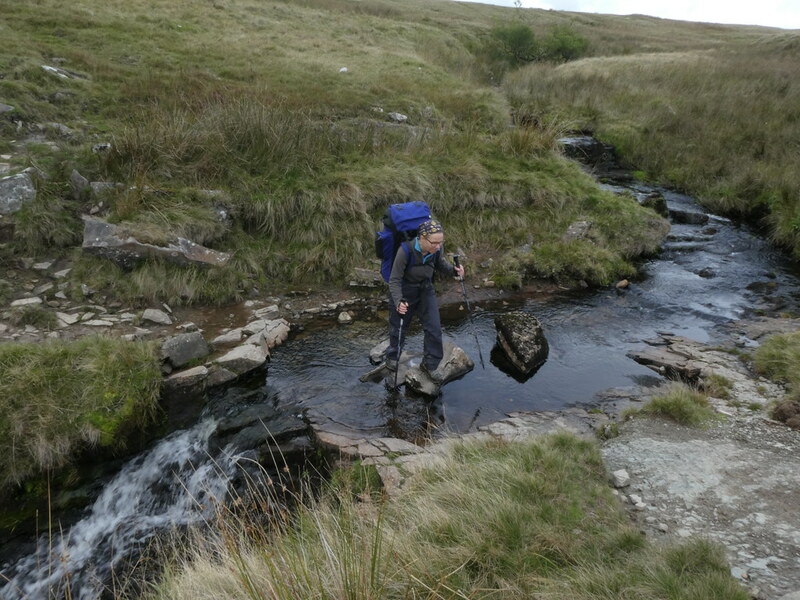 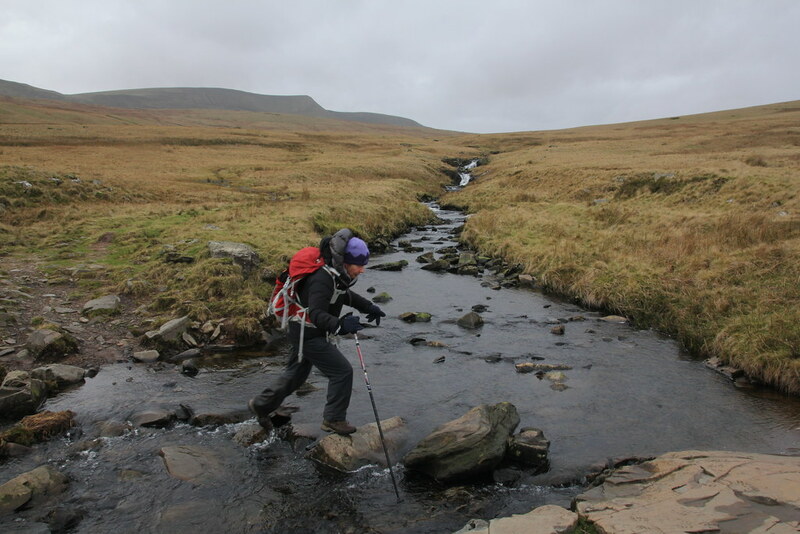 D was feeling the frustration of what seems like an endless climb to Llyn y Fan Fawr but I was enjoying every step. 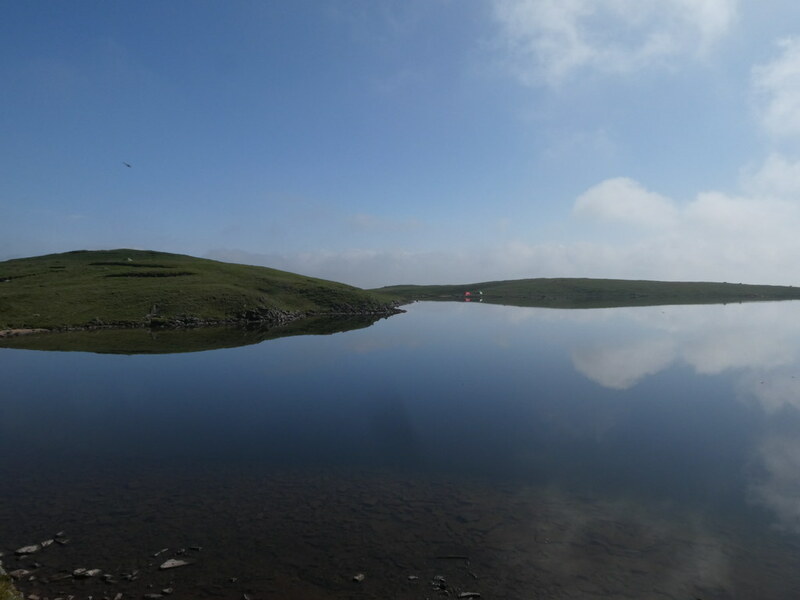 As we crested the rise the lake looked magnificent under a clear blue sky and we stopped for a little rest on one of the beaches. 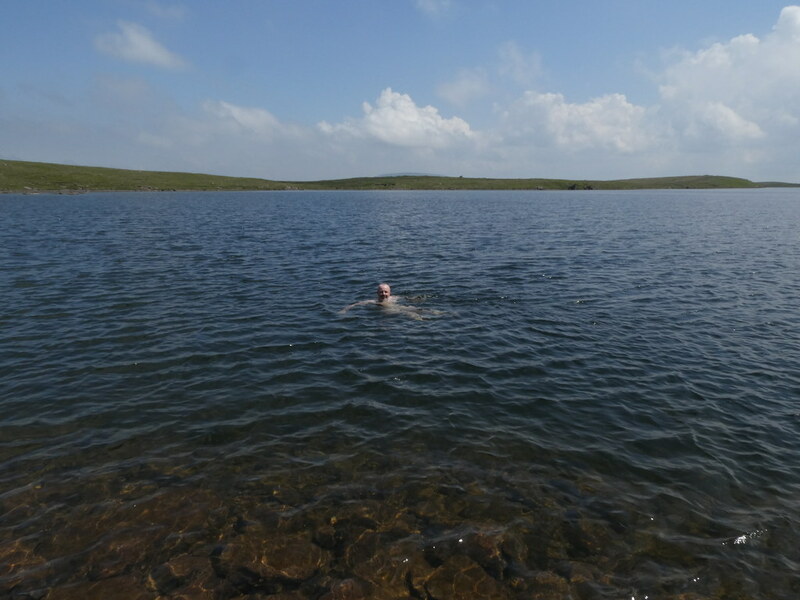 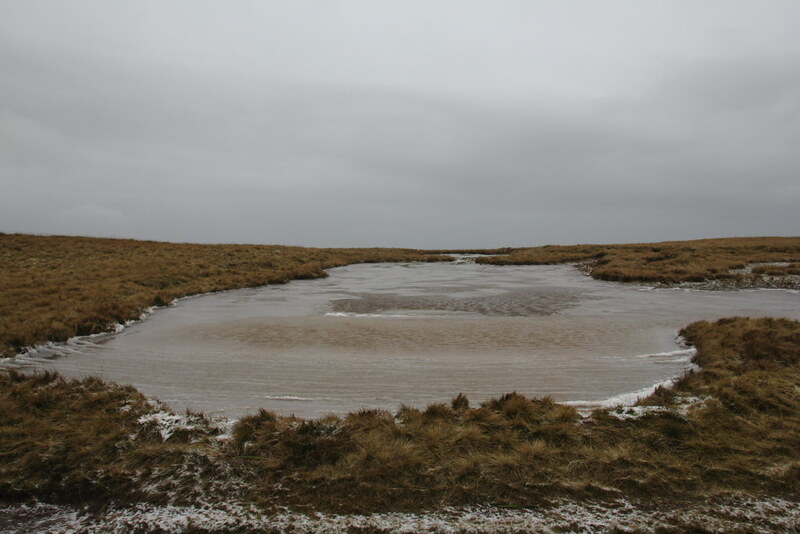 It was more reminiscent of some of the wilder parts of Scotland with wild tarns and sandy beaches, a marvellous spot. 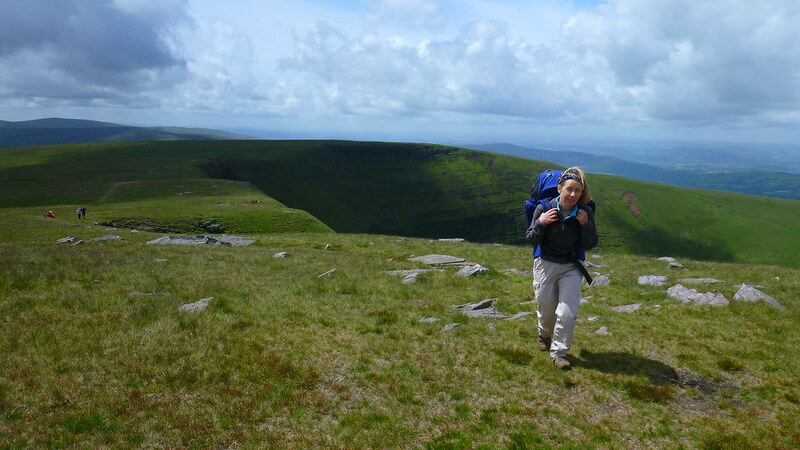 We headed on up the steeper climb towards Bwlch Giedd and towards Fan Brycheiniog, the highest point in the range. 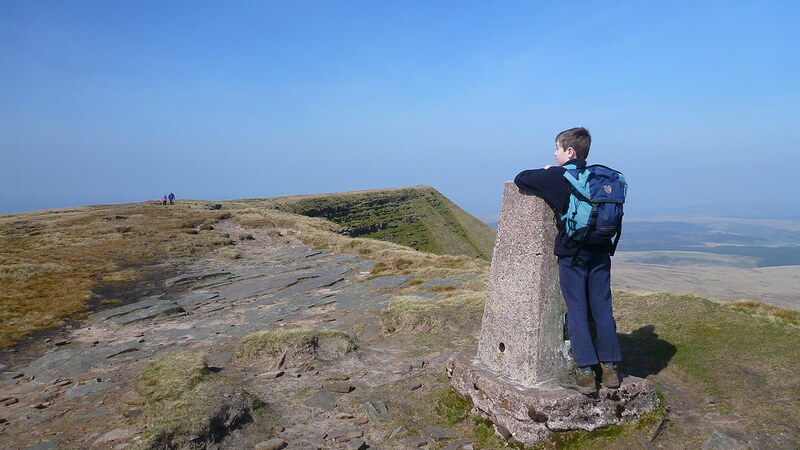 D seemed a little concerned about the steep climb but introduced him to the notion of a steady plod and that before he knew it we’d be on the summit drinking in the views. 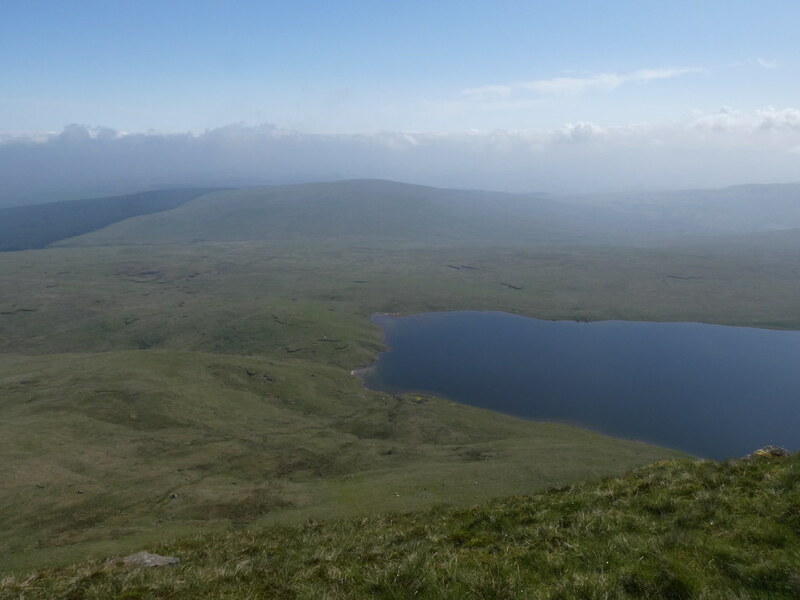 So it was and whilst the distant views were extremely hazy the nearby vista of peaks and lakes was superb. 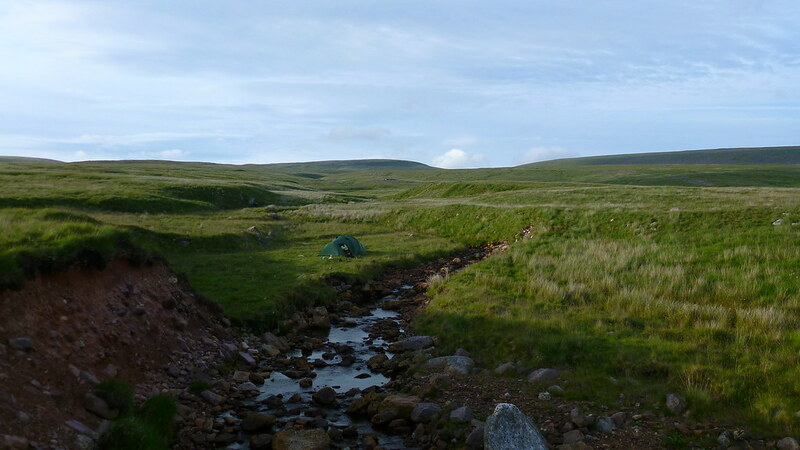 As always my brain was planning routes and wild camps I’ll probably never get around to but they say planning is half the fun (so just do the math, plan 2 trips and then you don’t need to go out at all). 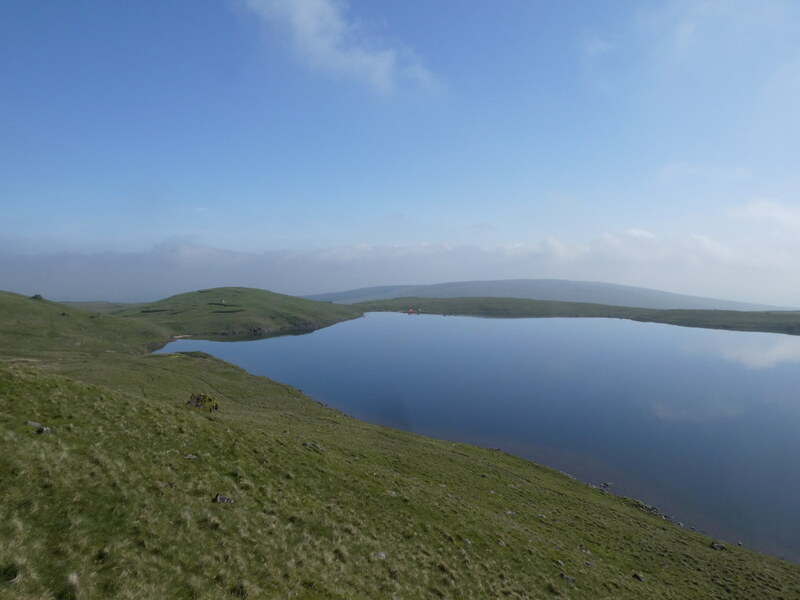 The walk along the edge was simply magnificent with the lake at our feet and warm sunshine, t-shirt and shorts for the first time this year. 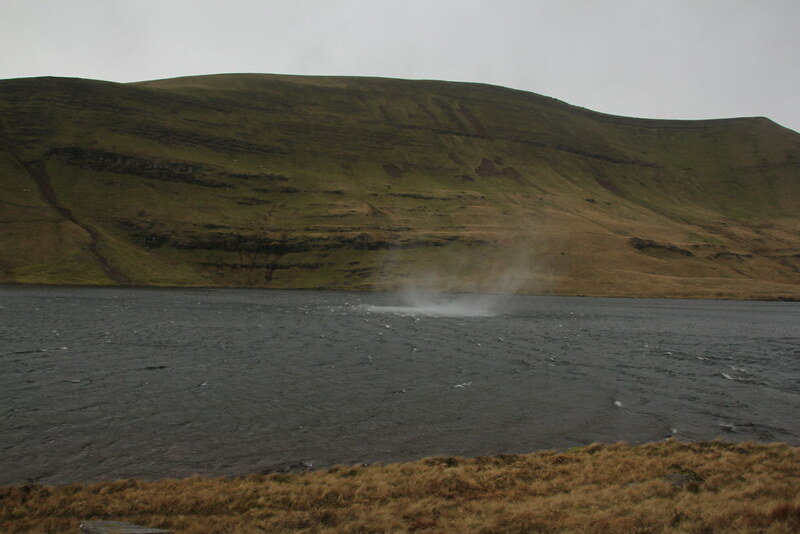 Only downside was a very keen and cool wind that was making our search for a lunch stop a little trying. 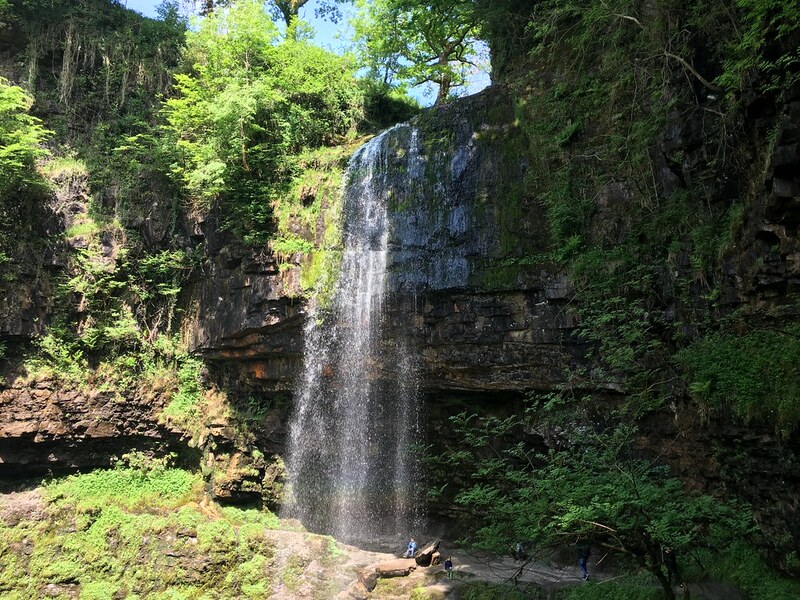 As regular readers know, I prize a decent long lunch stop on any walk and on a day as good as this it was worth seeking a good one. 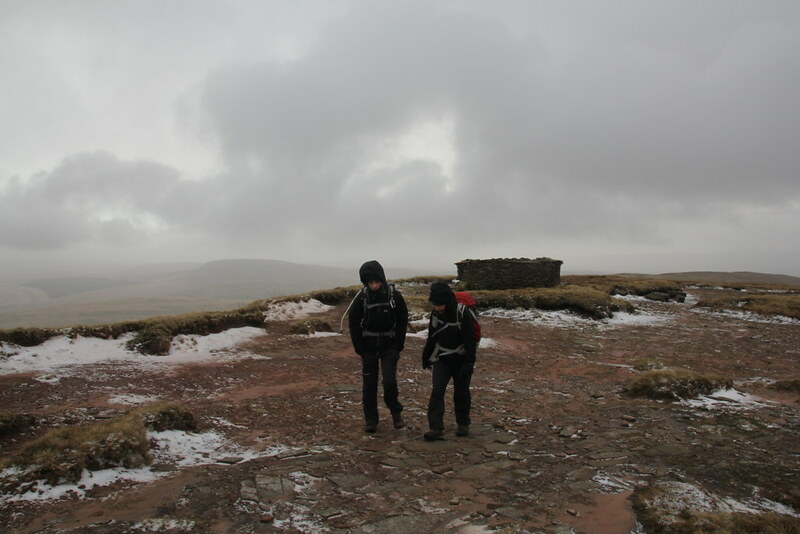 Rather than a cold hurried stop in the wind and despite both of us feeling hungry we pushed on. 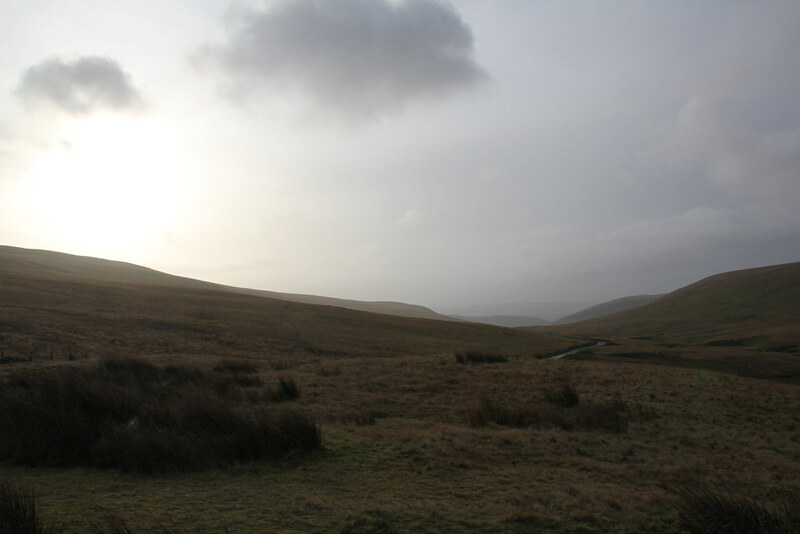 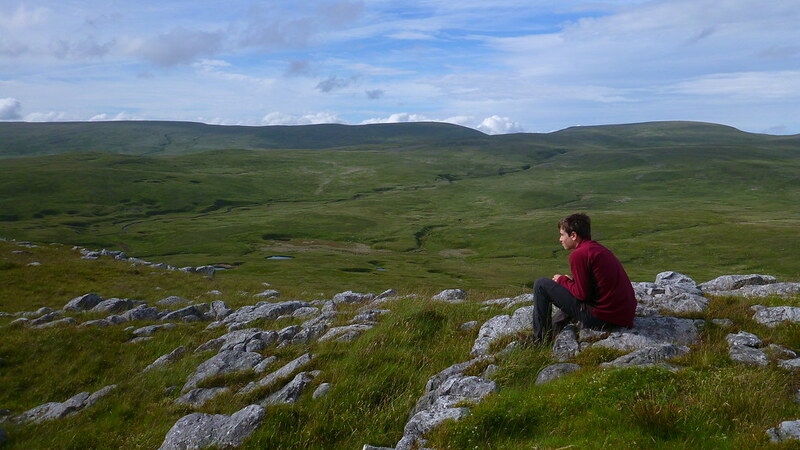 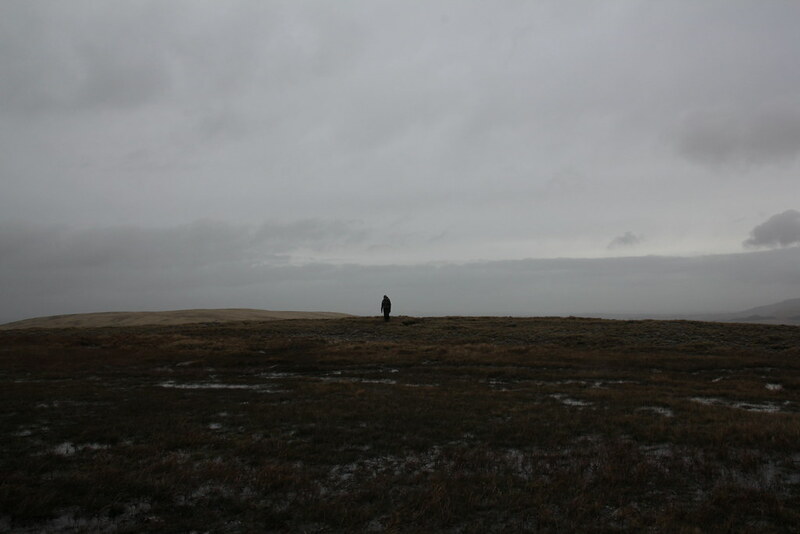 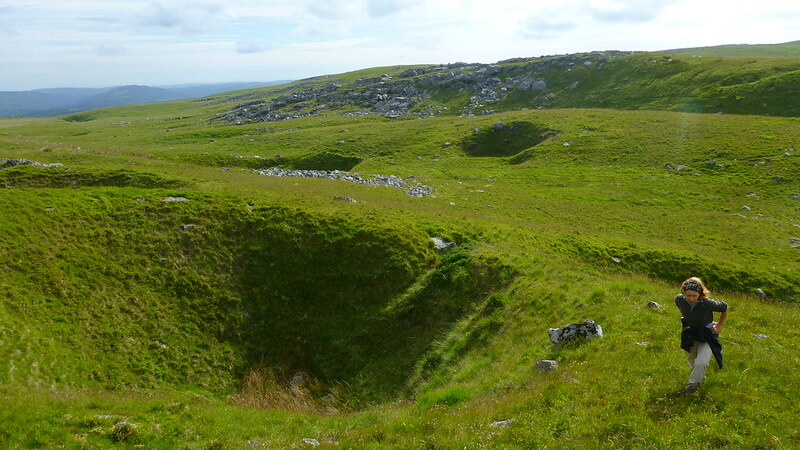 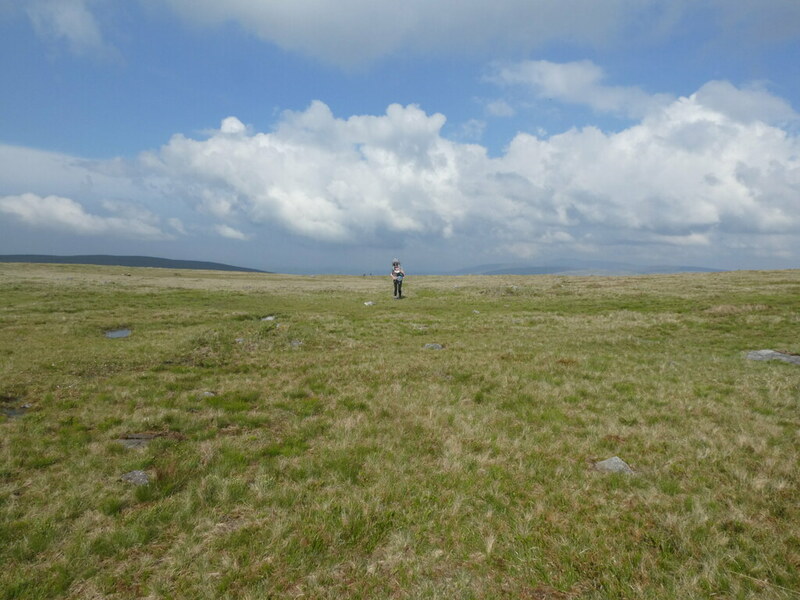 I figured that we’d find a spot tucked down on the northern slopes as we turned west heading for Bannau Sir Gaer. 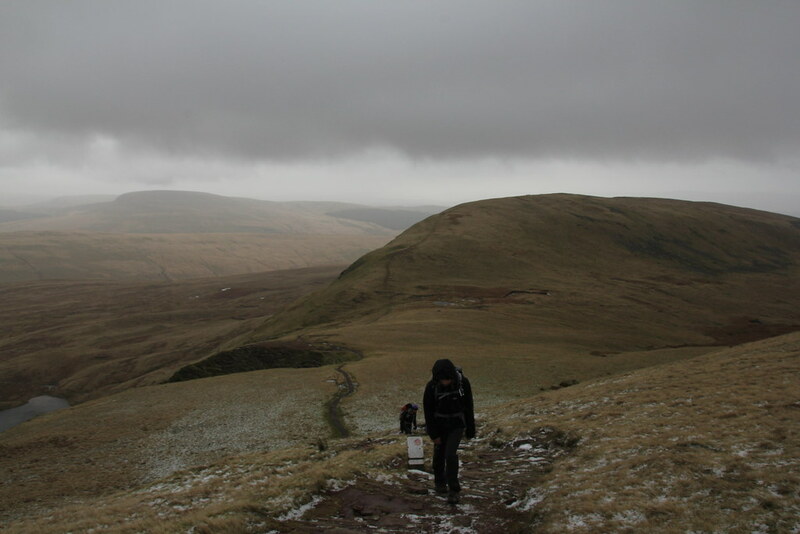 No such opportunities arose and we were forced to keep going. 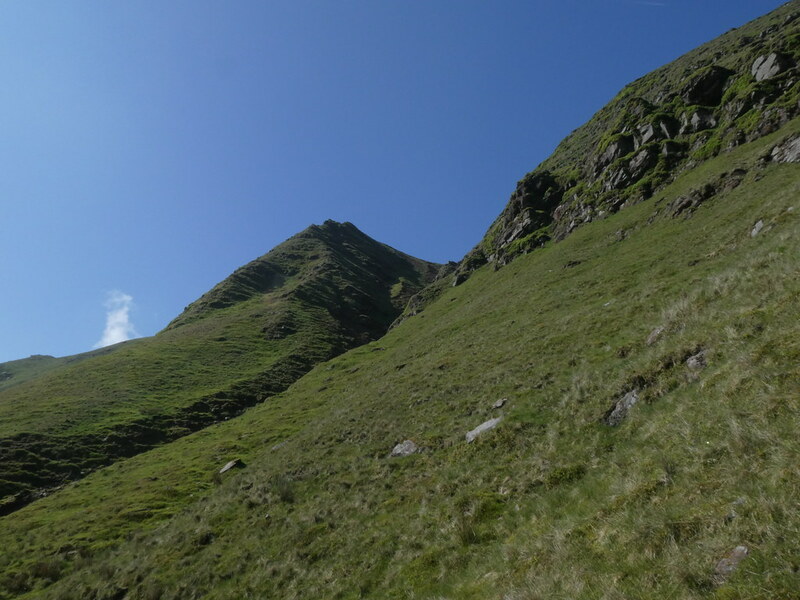 As we approached the summit D was feeling weary but I recalled that there are several ledges just west of the summit a few feet below the edge that I figured would do the job. 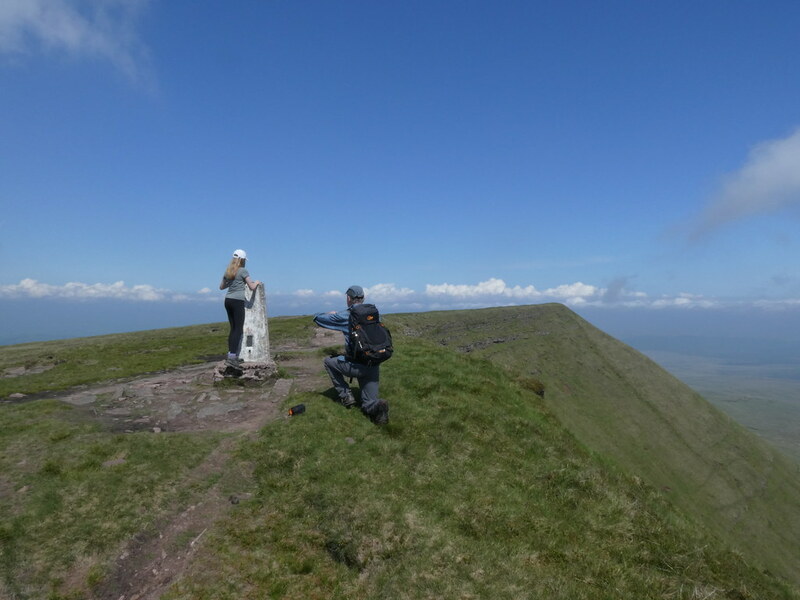 We found a rather precarious perch with just enough room for both of us but out of the wind and a truly stupendous view. 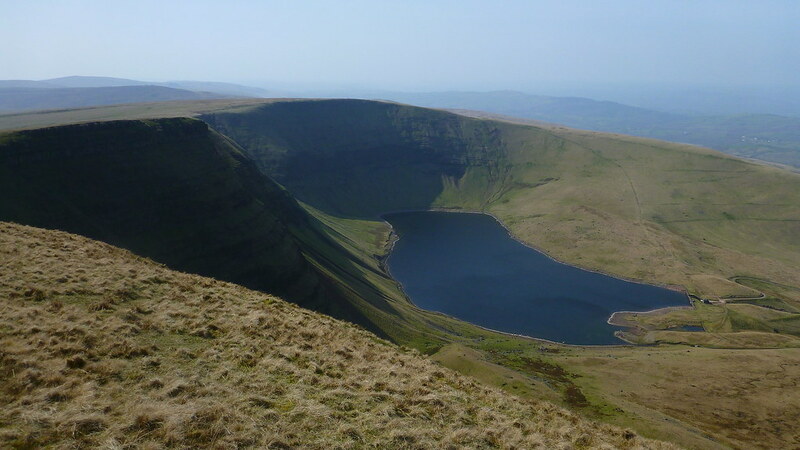 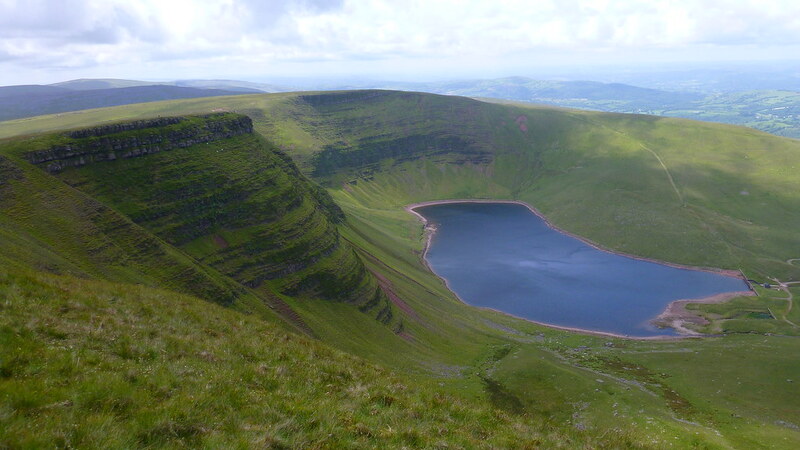 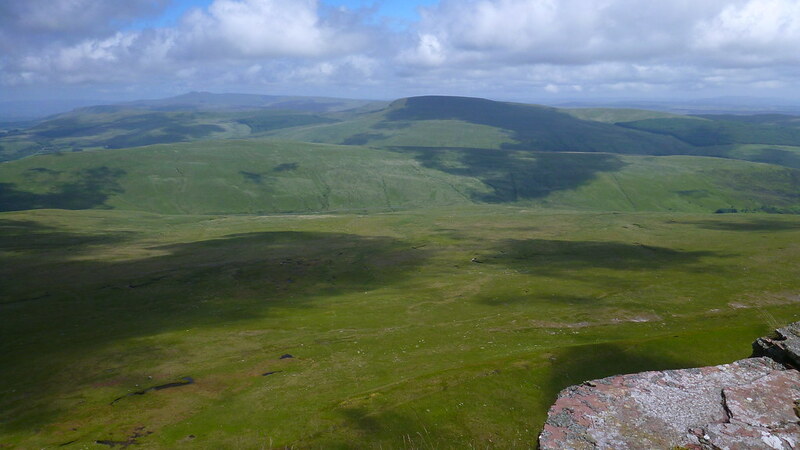 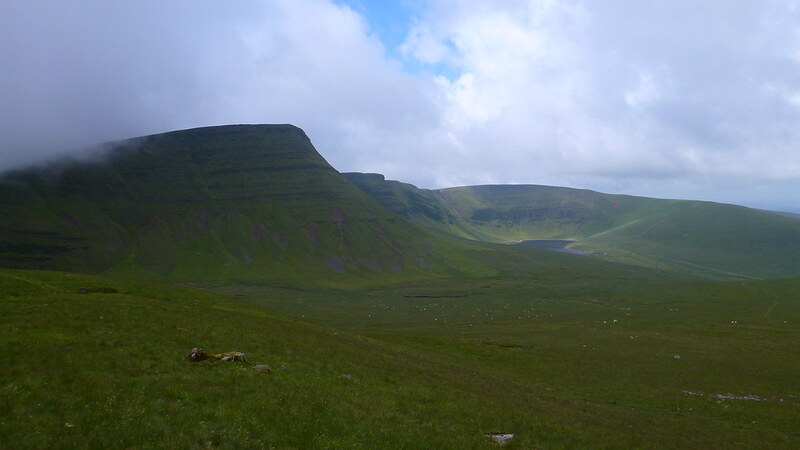 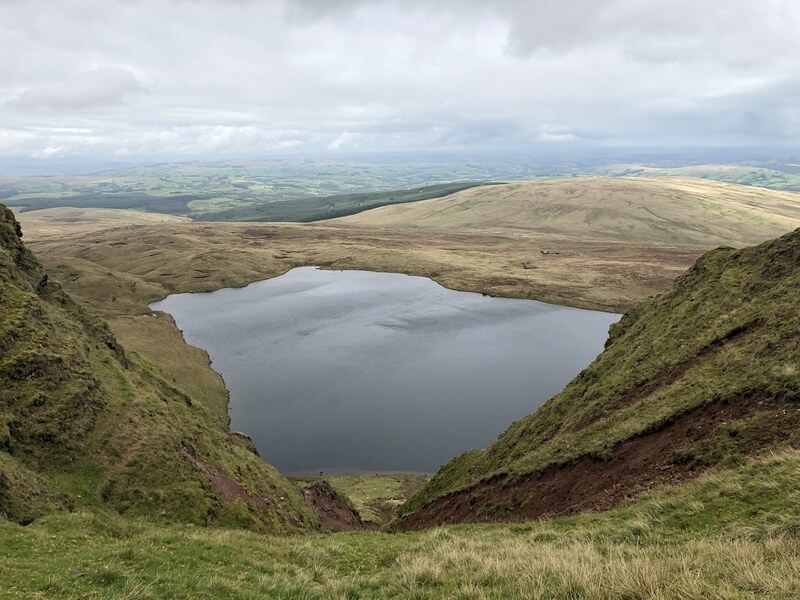 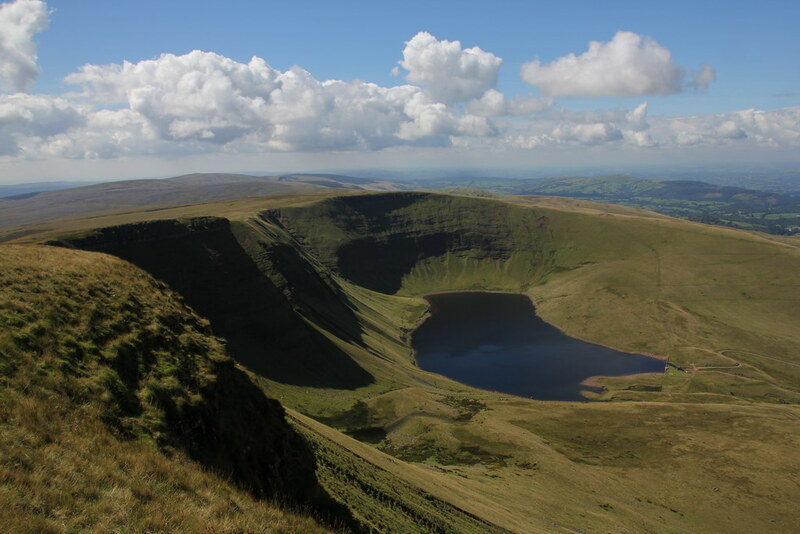 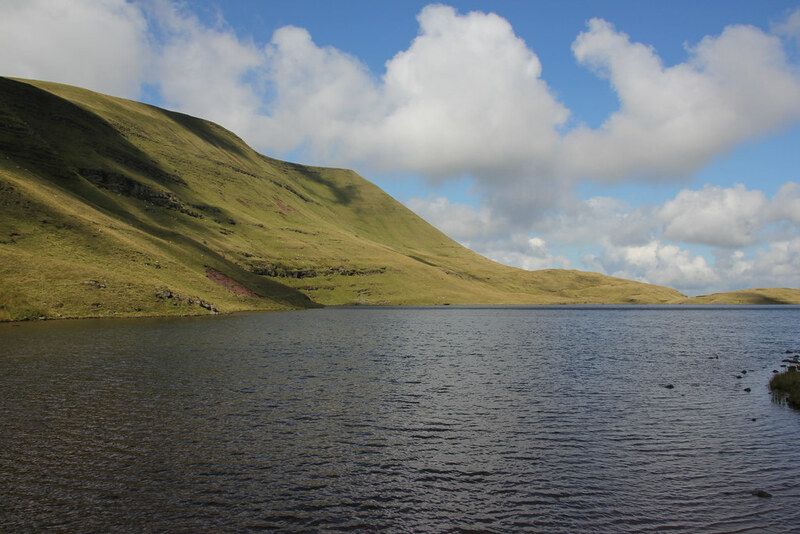 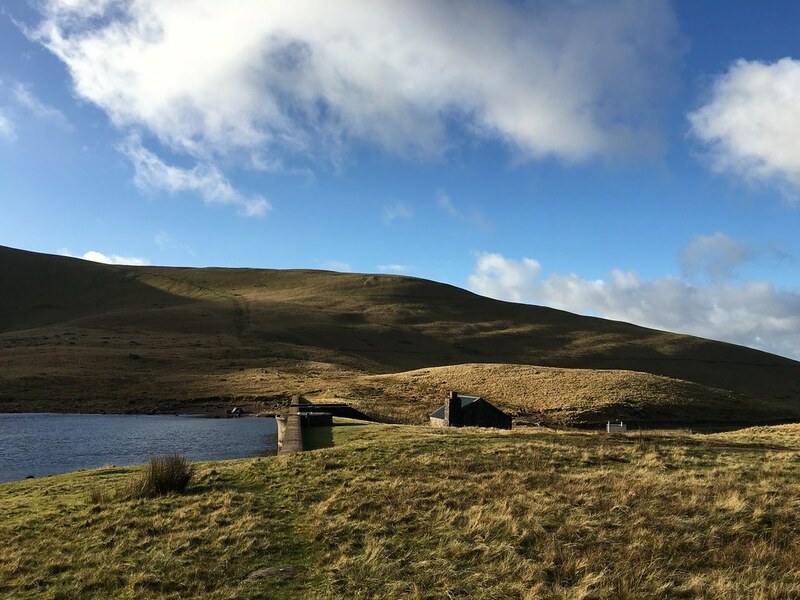 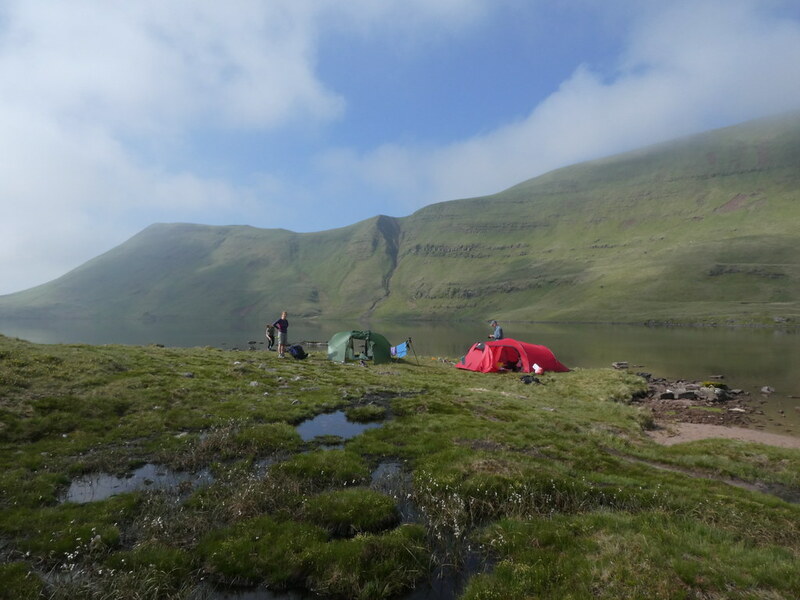 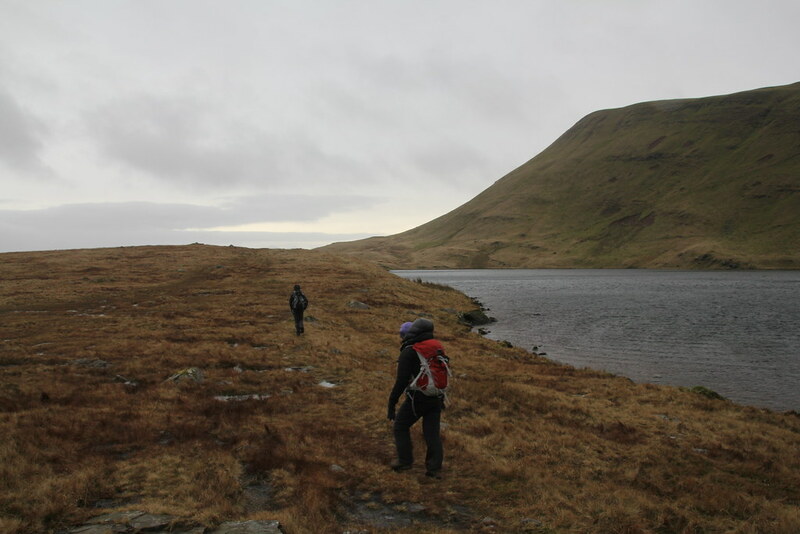 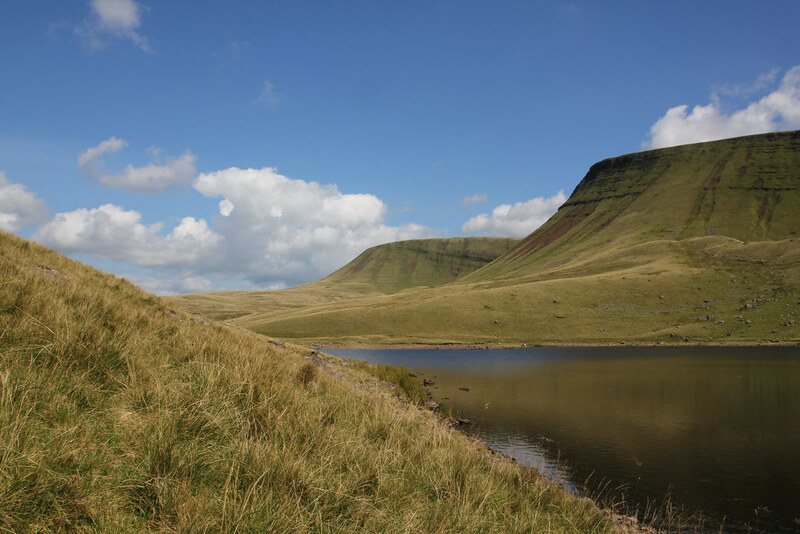 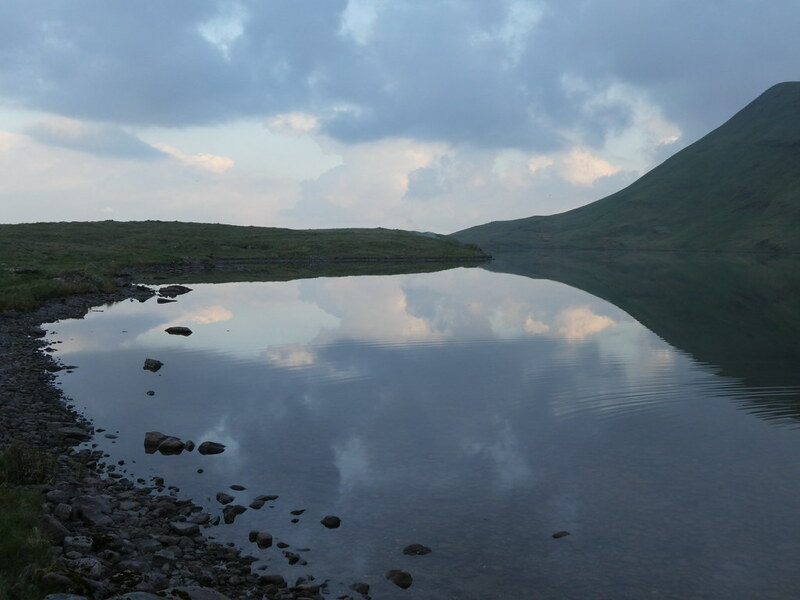 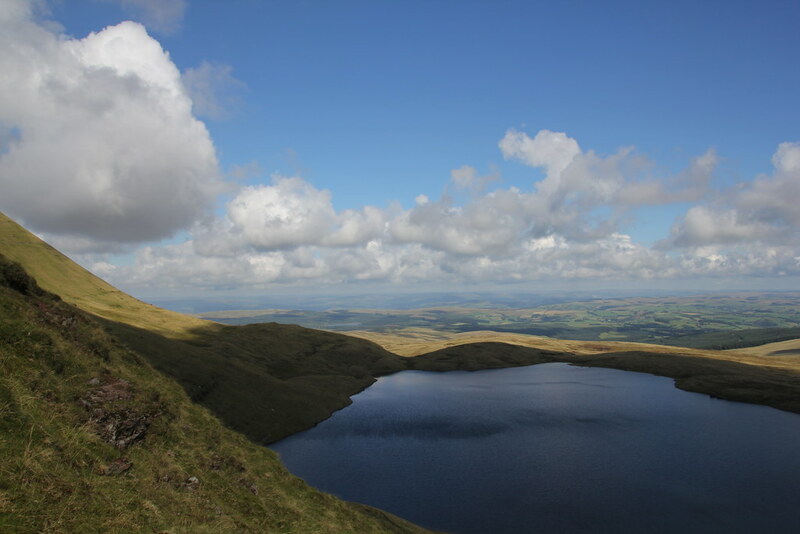 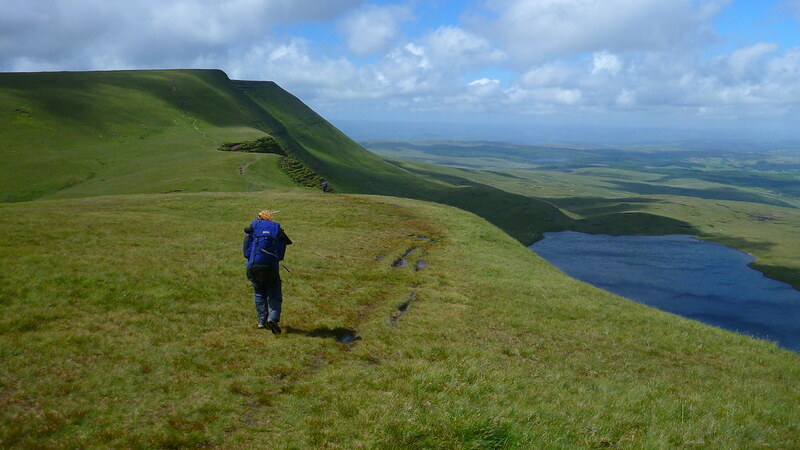 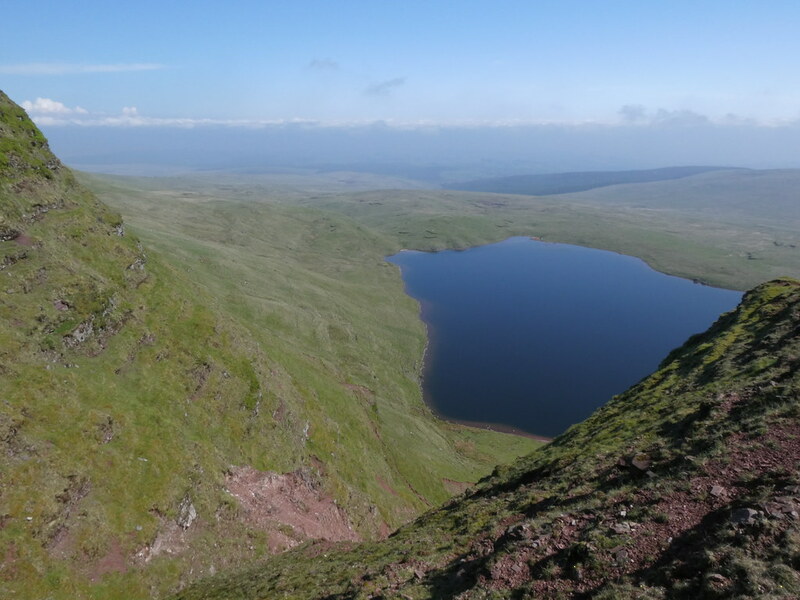 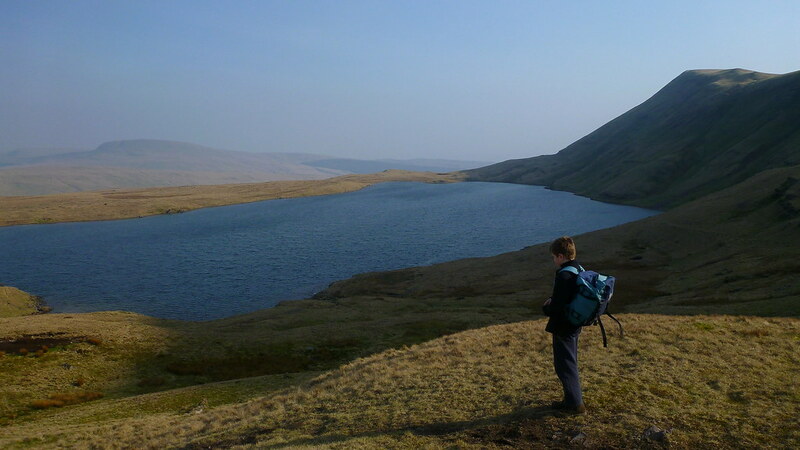 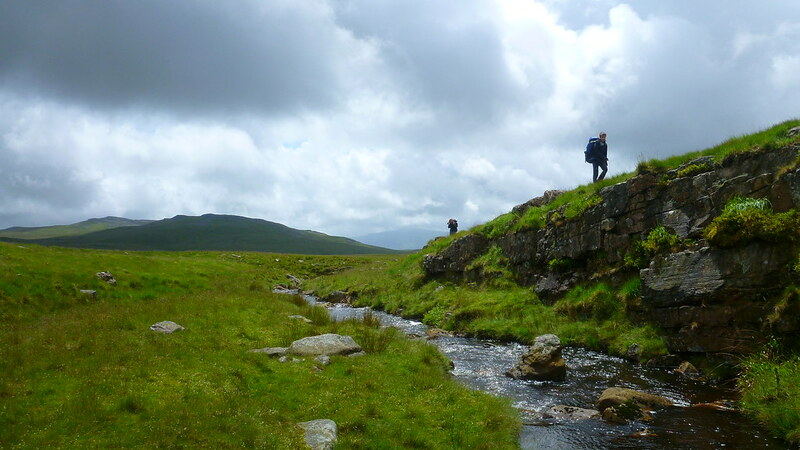 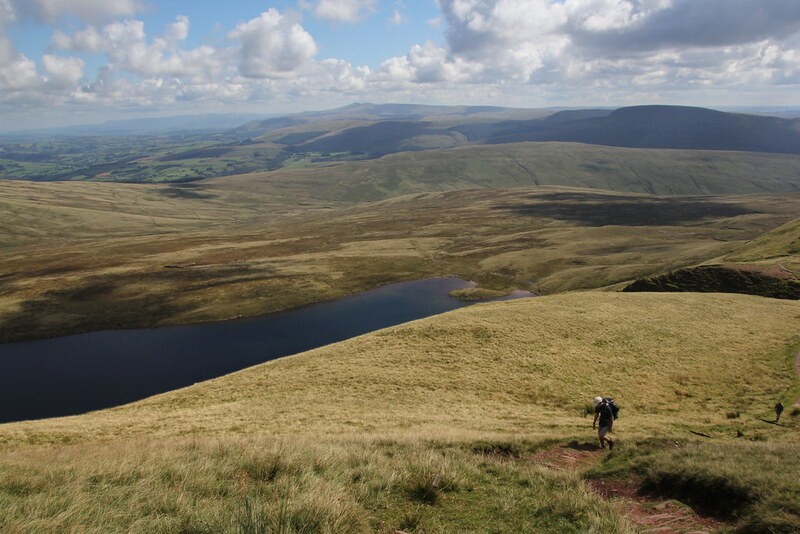 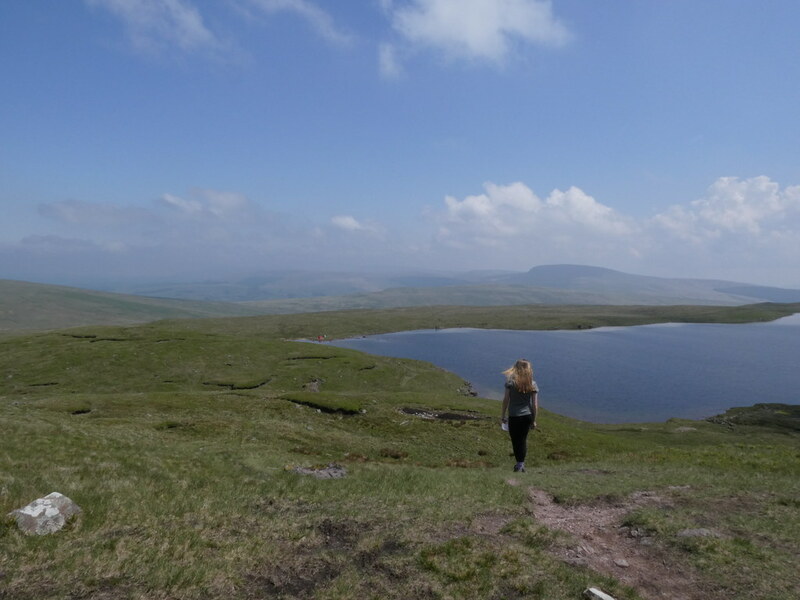 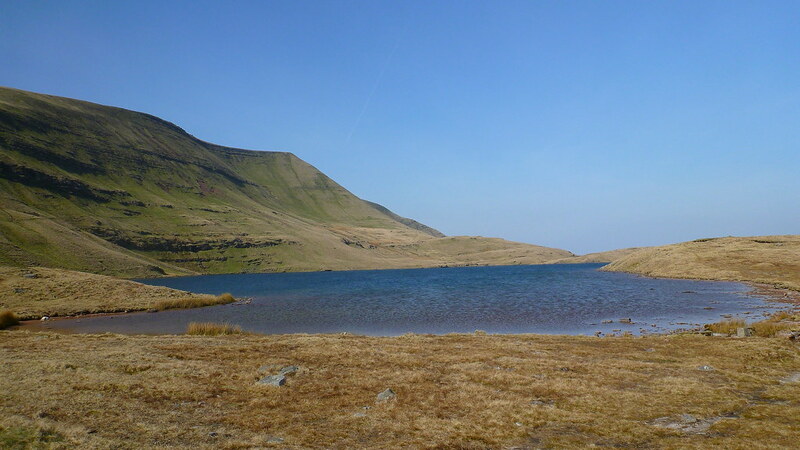 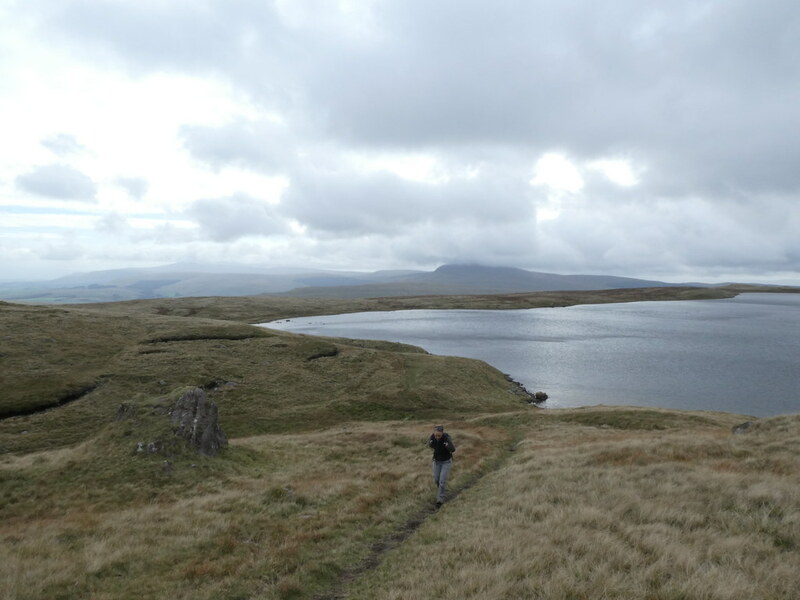 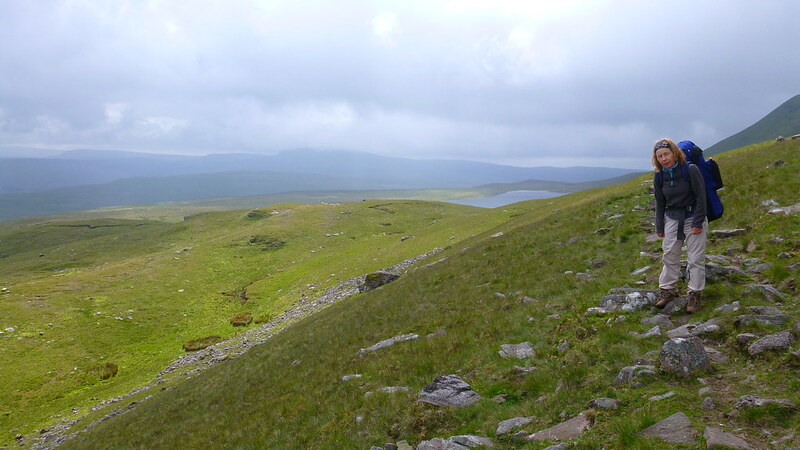 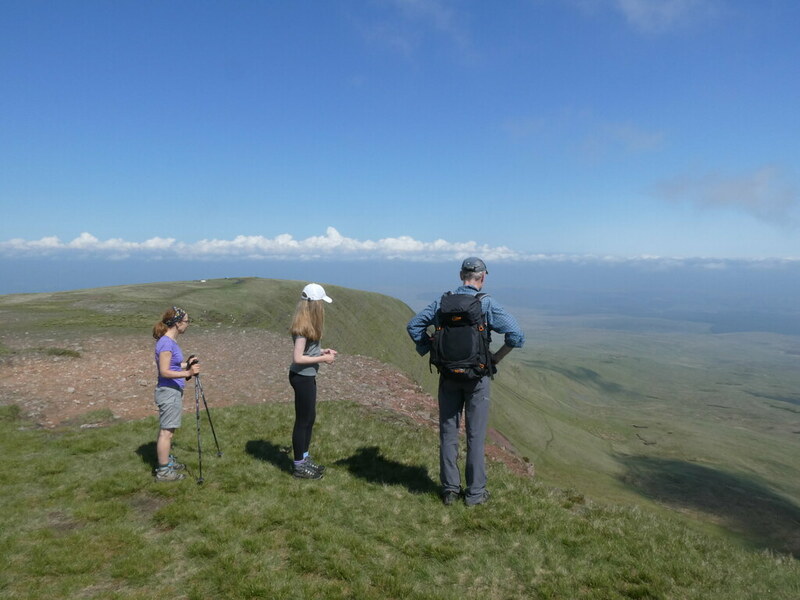 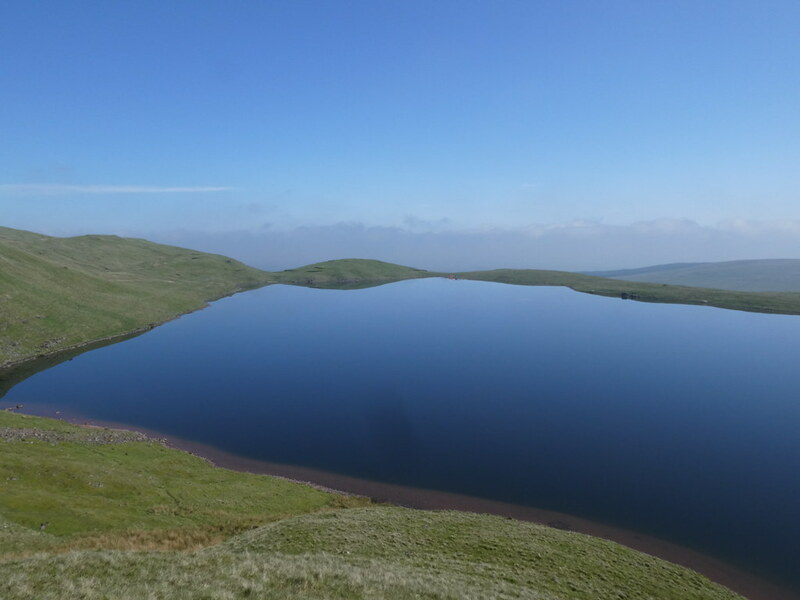 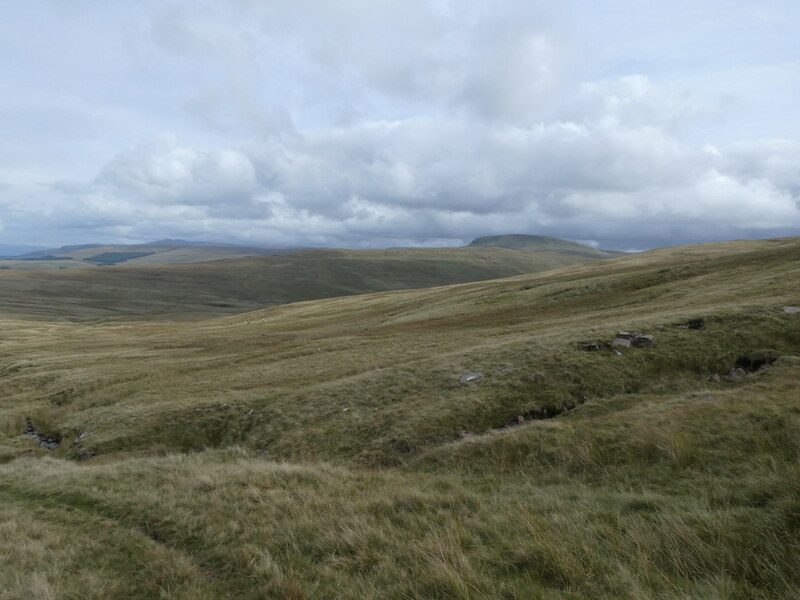 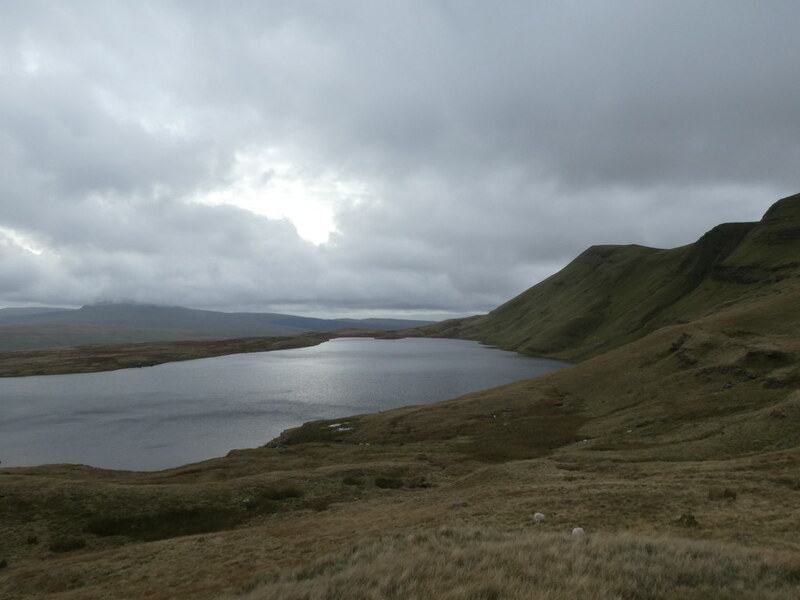 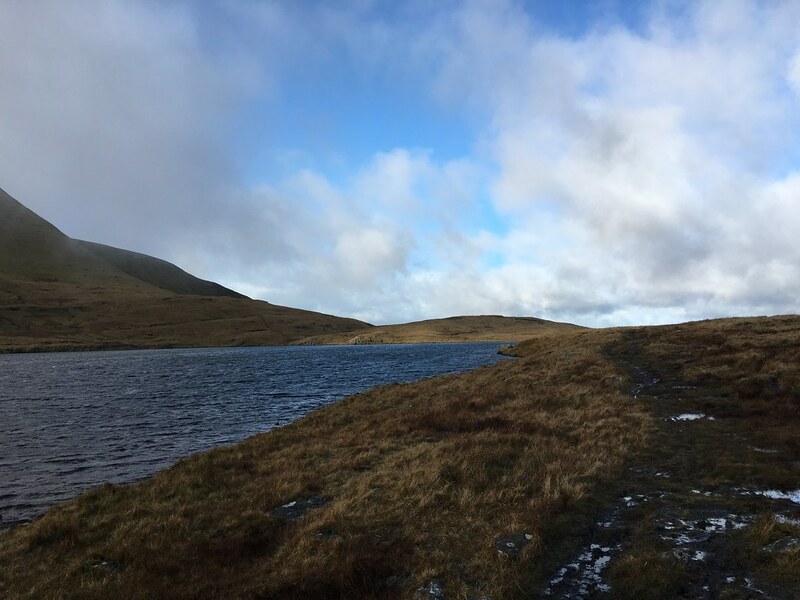 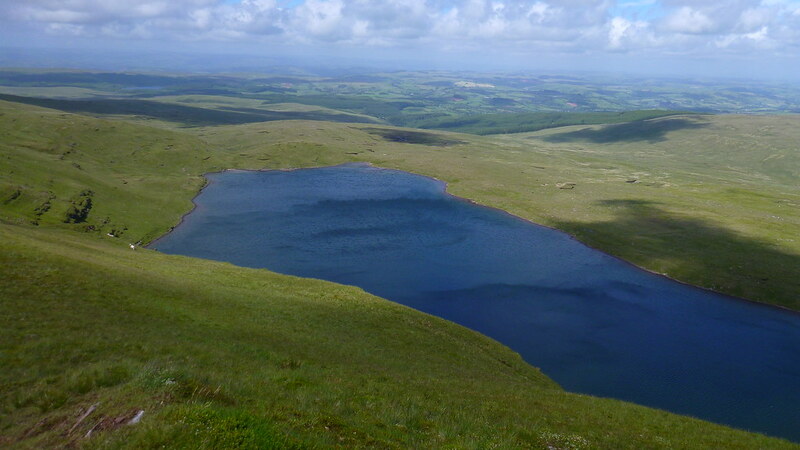 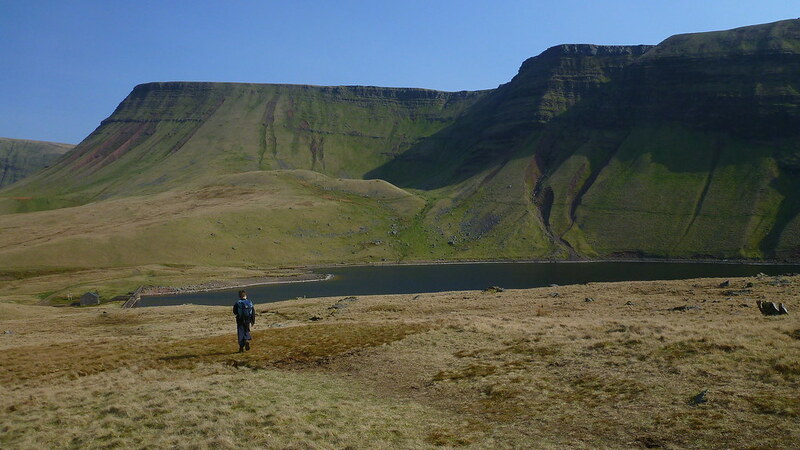 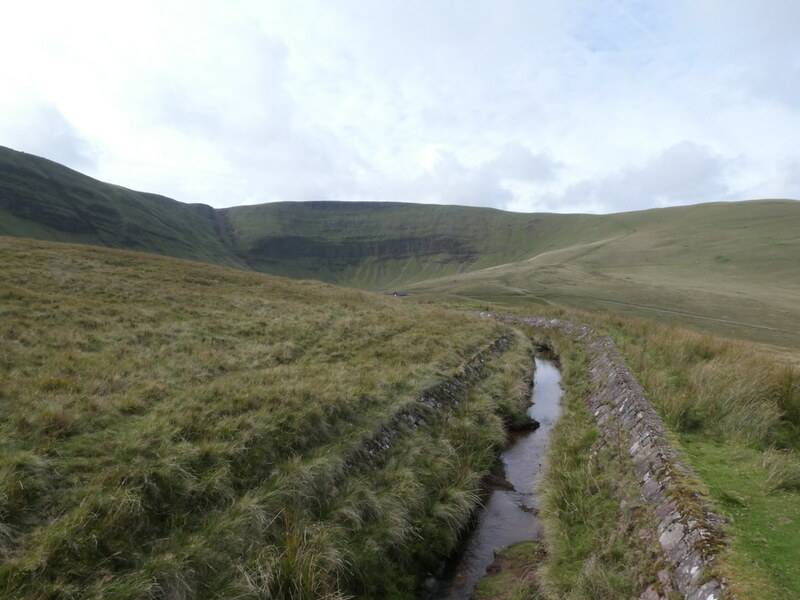 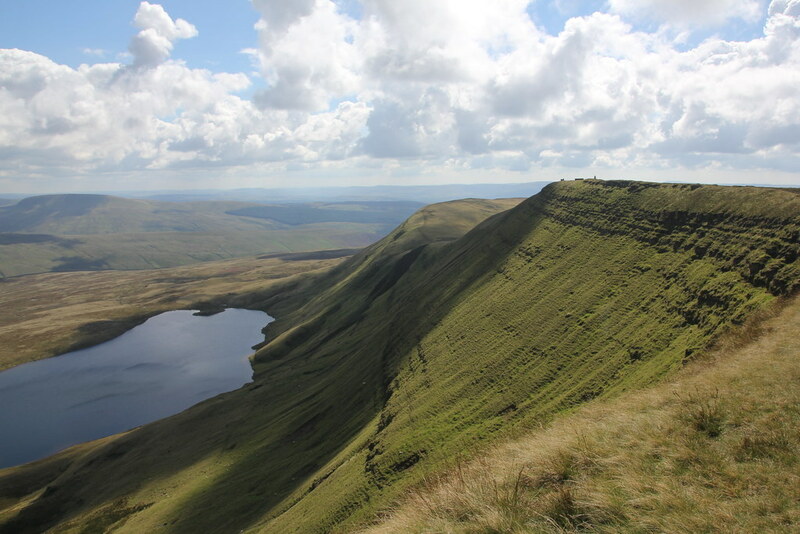 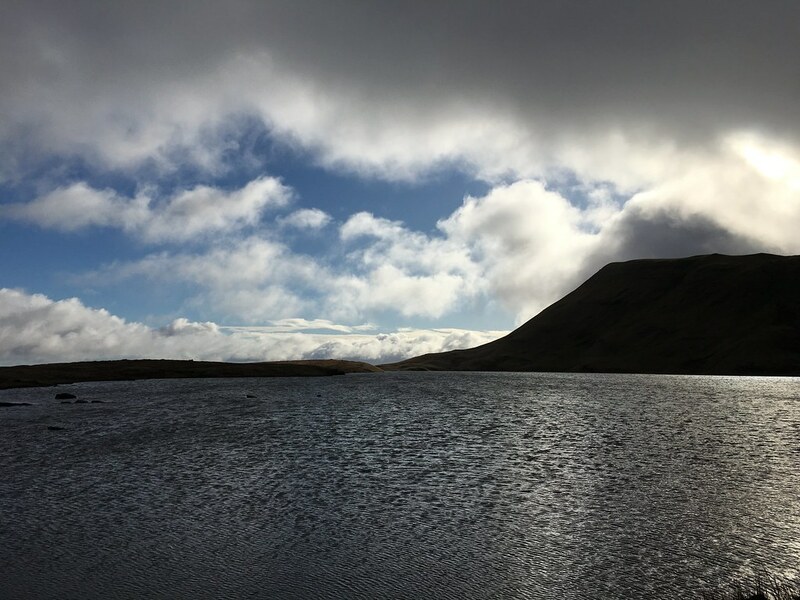 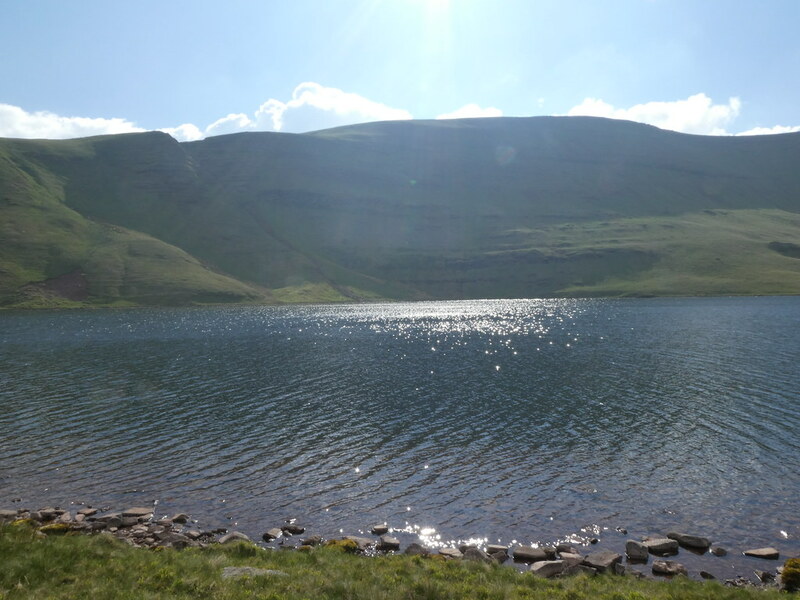 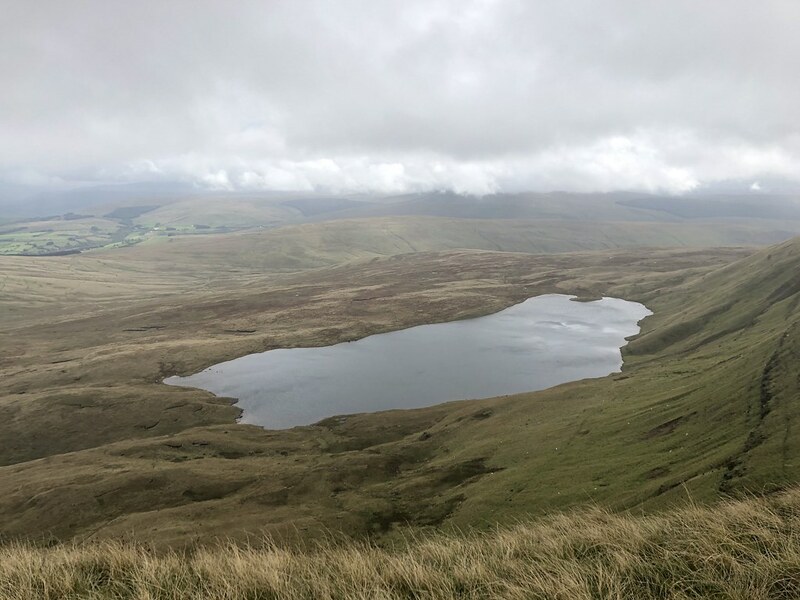 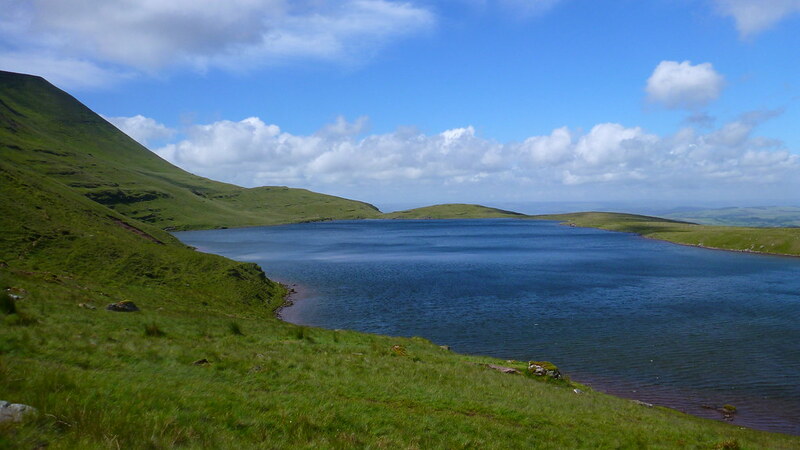 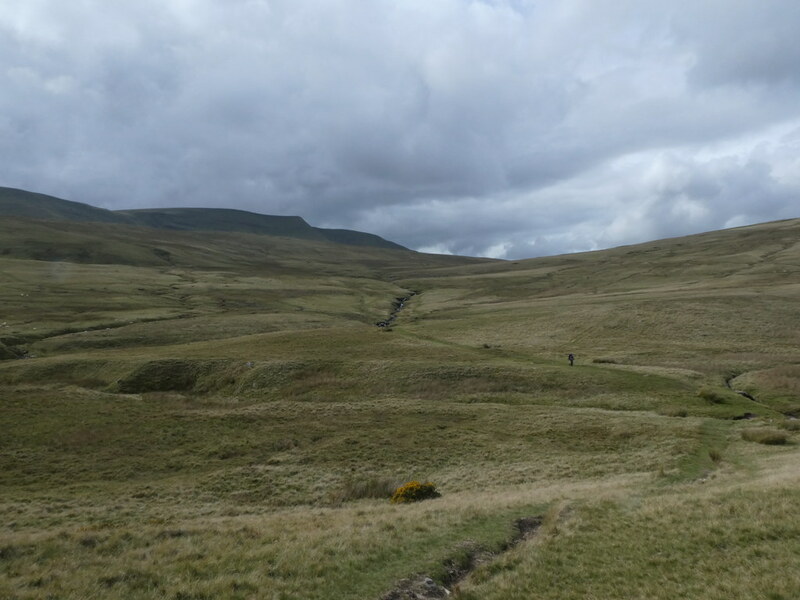 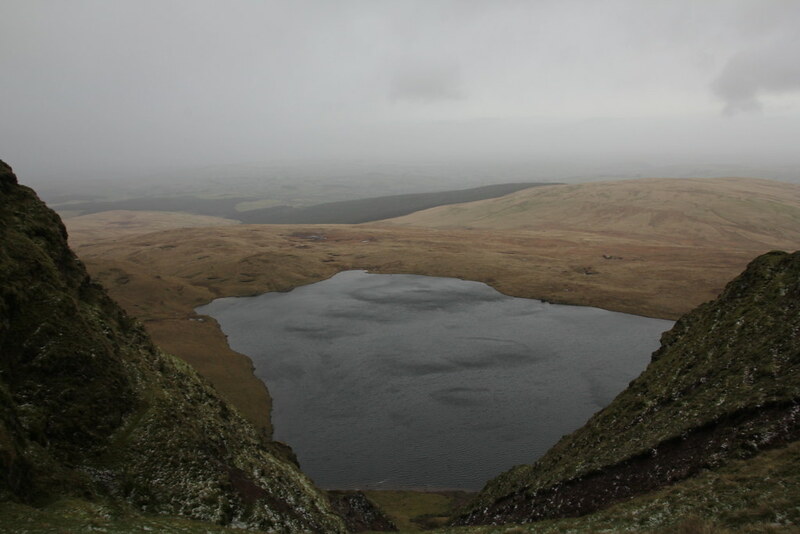 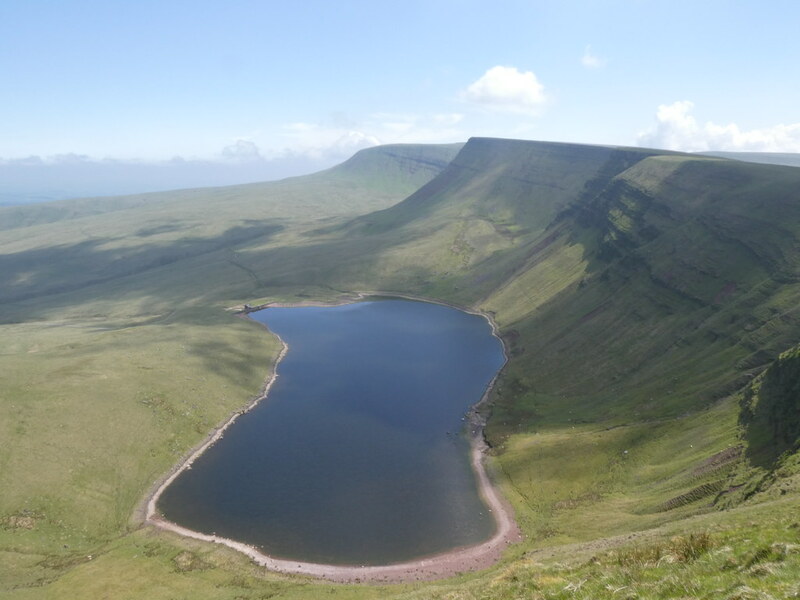 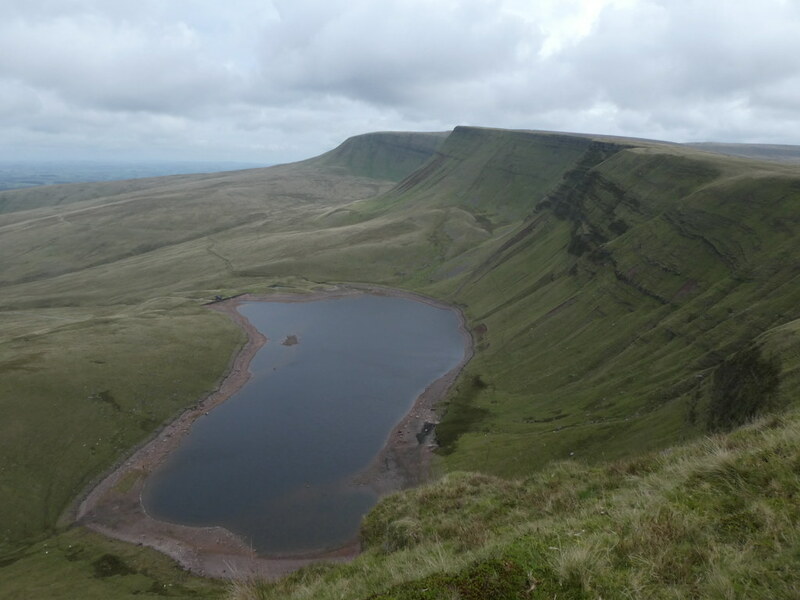 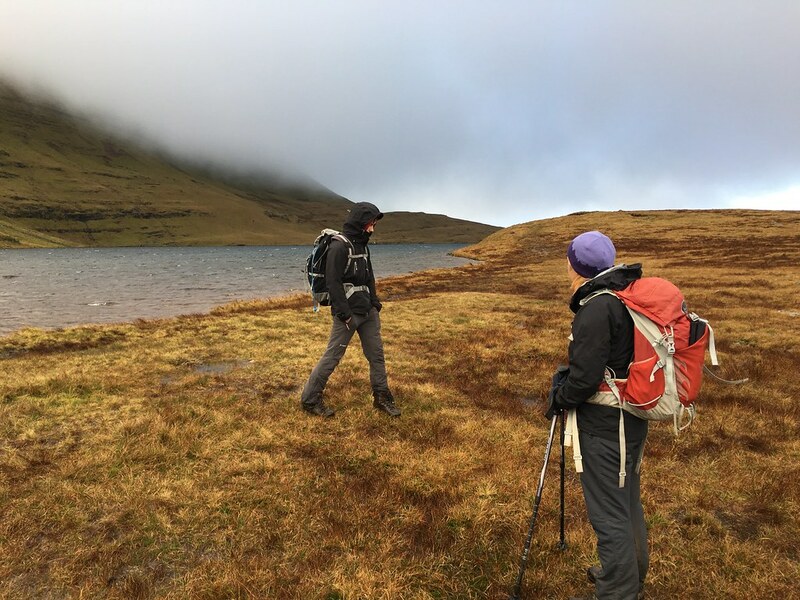 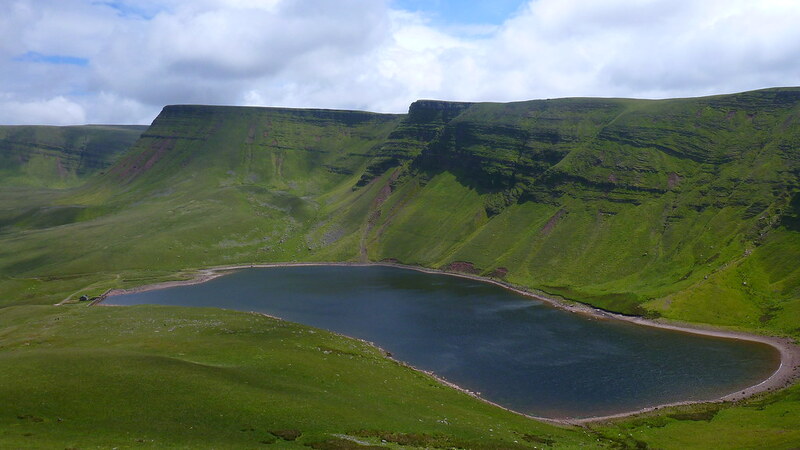 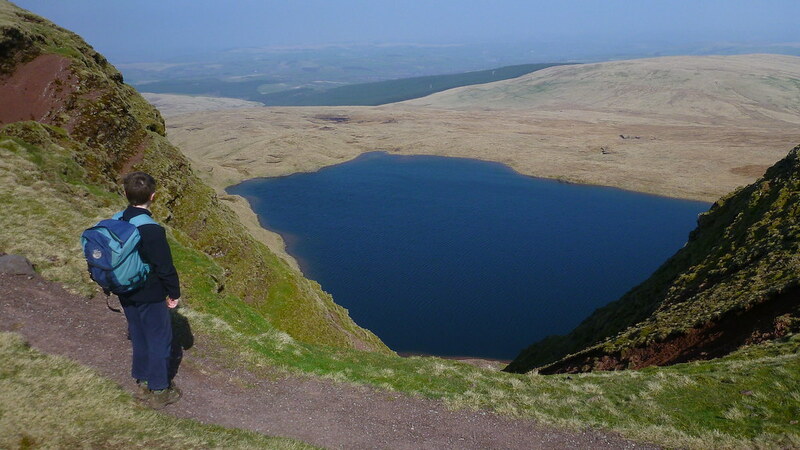 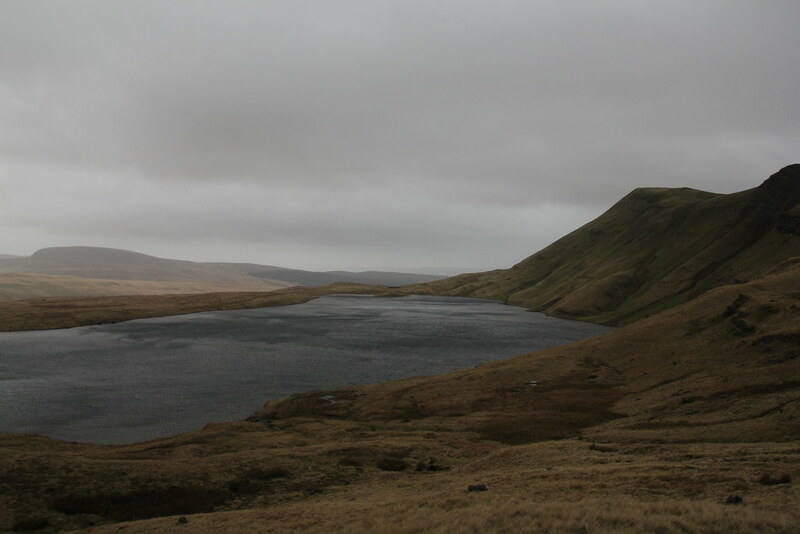 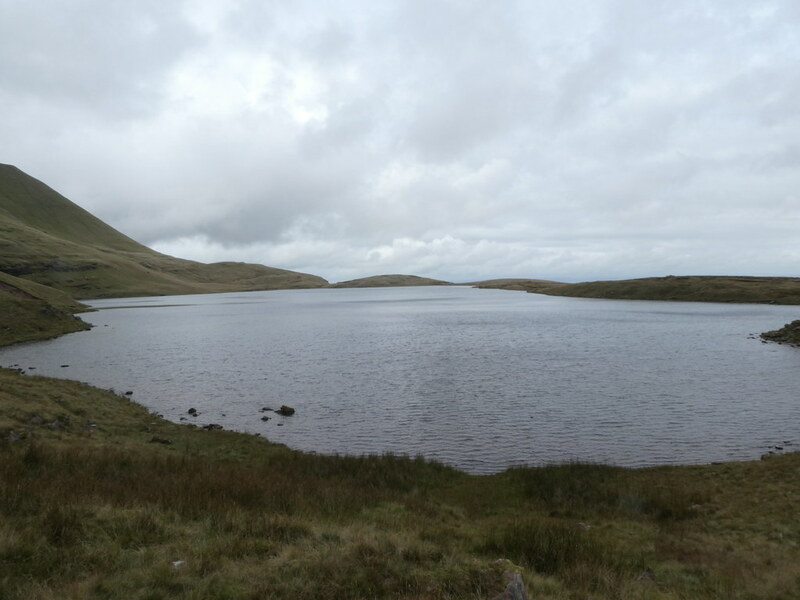 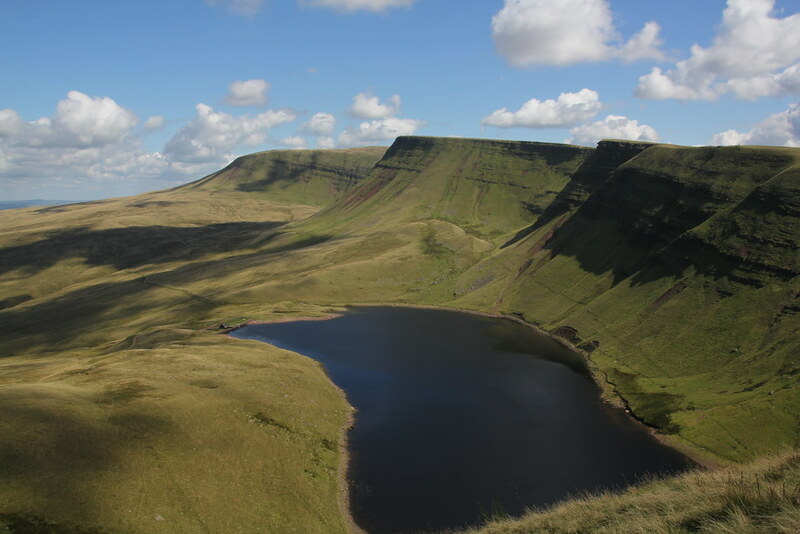 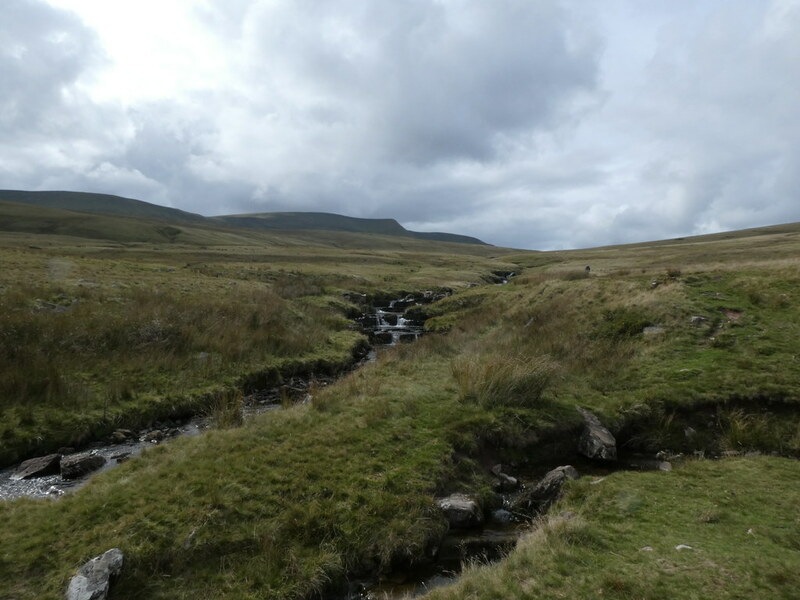 Vast tracts of mid-Wales spread out before us and the crag-girt lake of Llyn y Fan Fach under our feet. 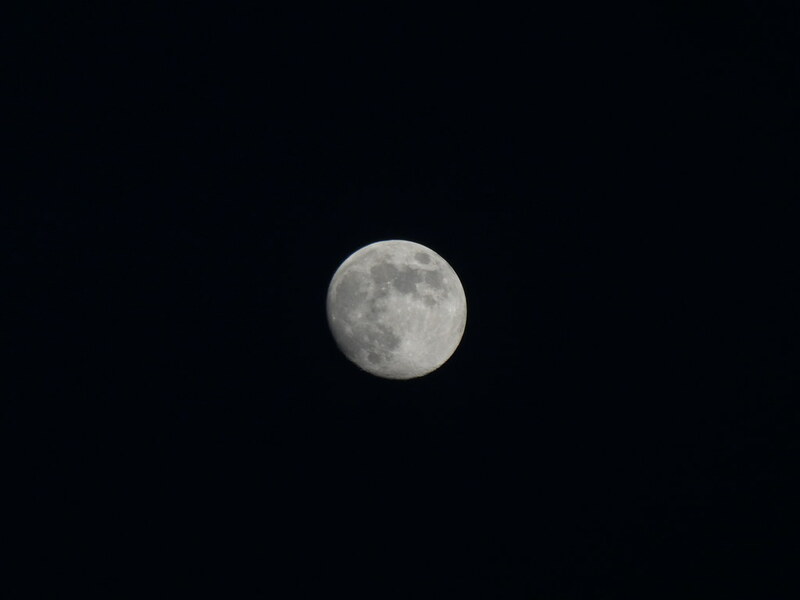 Simply breathtaking. 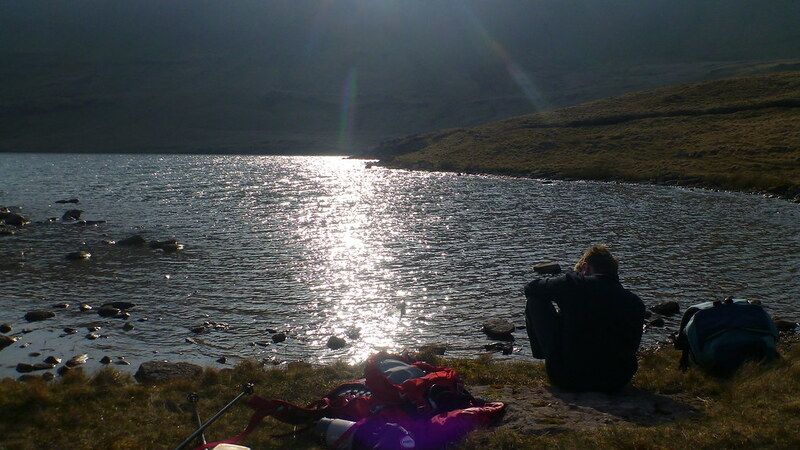 D polished off most of his food and I did what I do best and sat with a fresh brew contemplating life in all its glory. 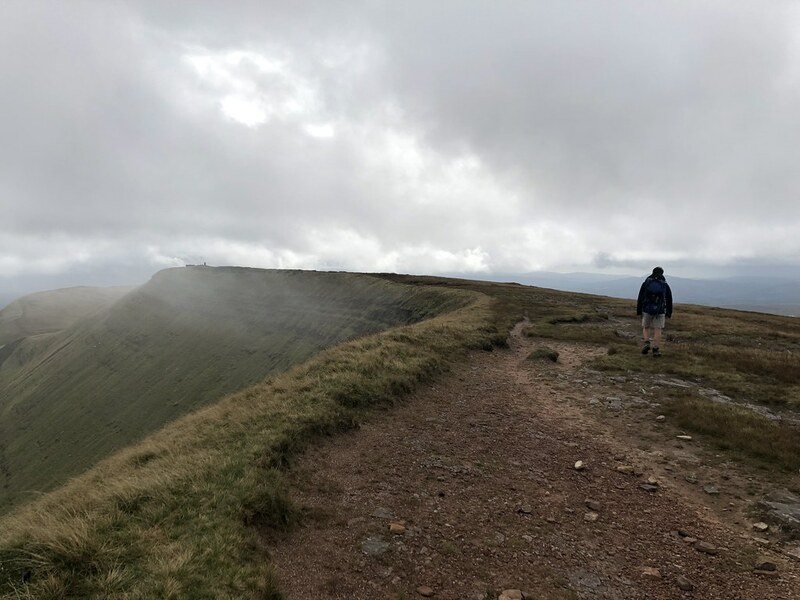 I’ve been very lucky these last 12 months with some truly magical days out so I guess I say this a lot, but life doesn’t get much better than this. 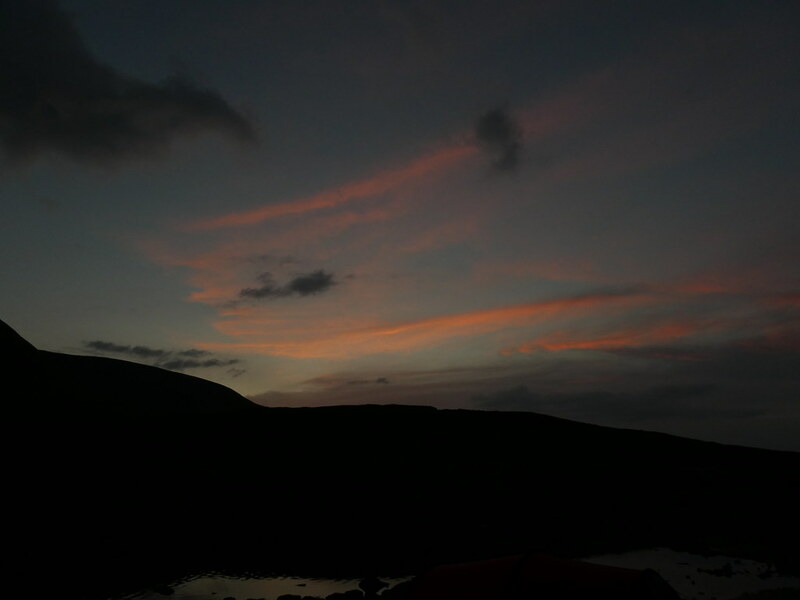 The pleasure intensified with D sat beside me enjoying the situation, embracing the same simple pleasures that I’ve come to enjoy over the years. 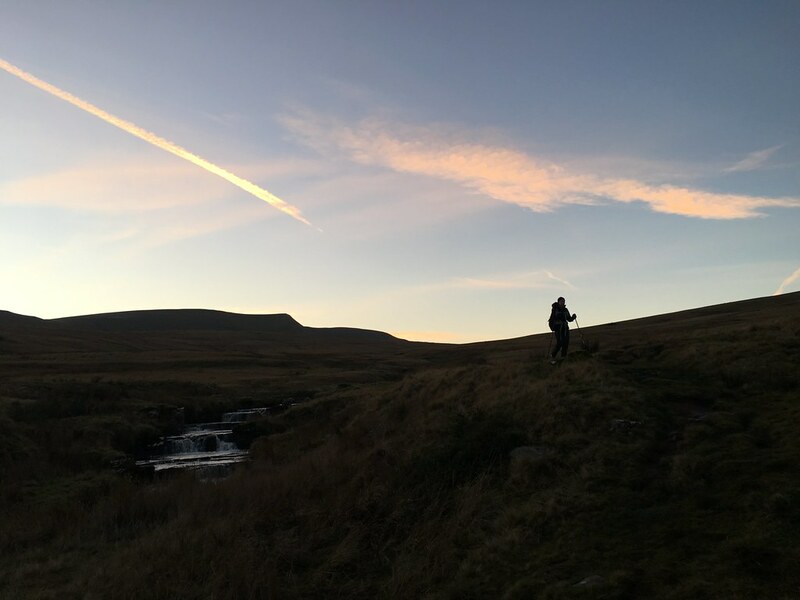 Timeless moments these and one of the pleasures of writing my blog is capturing the moment in words as well as photos and memories, helps to keep them special. 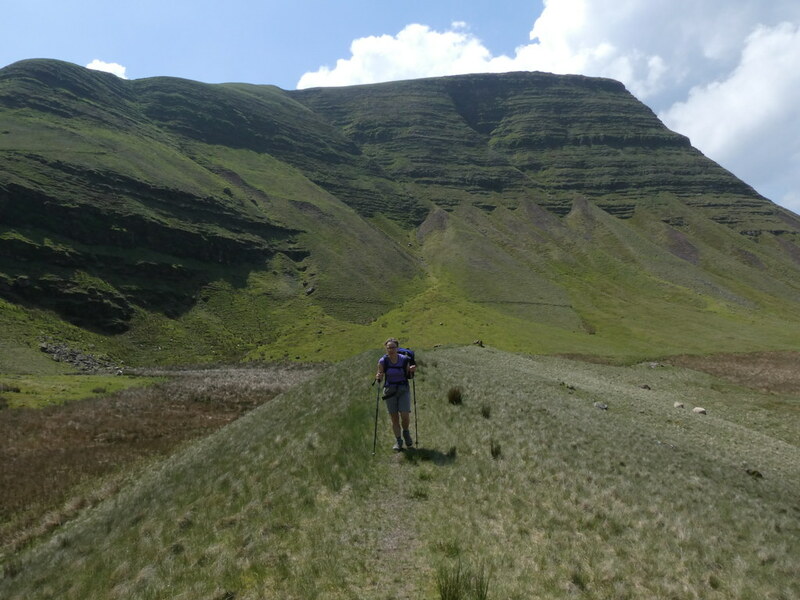 Time to move on and we continued along the escarpment in the sunshine with both us enjoying the sense of exposure standing on the edge of the cliffs. 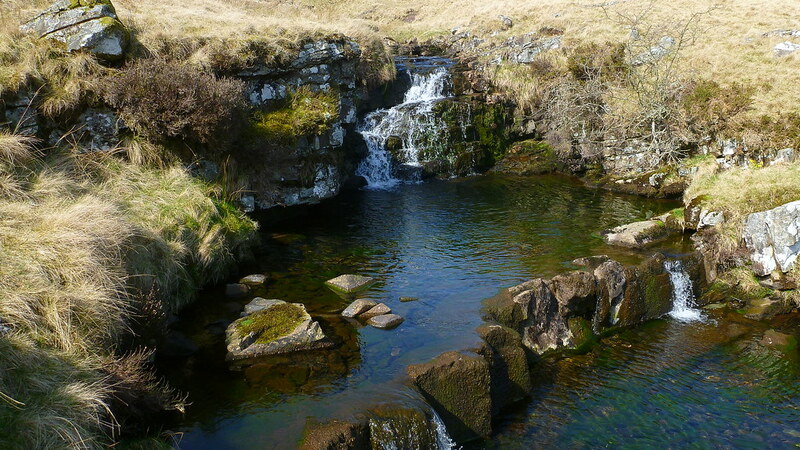 These corries are some of the most magnificent in the UK in my humble opinion and the spring sunshine was lighting them to great effect. 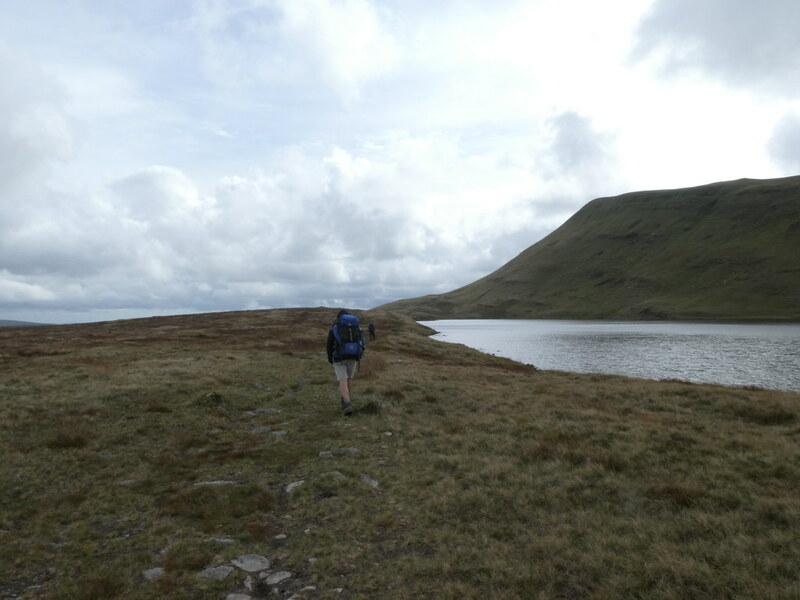 Reaching the end of the long line of crags the path descends gently to the lake with views up to the summits equally as rewarding as the views from them. 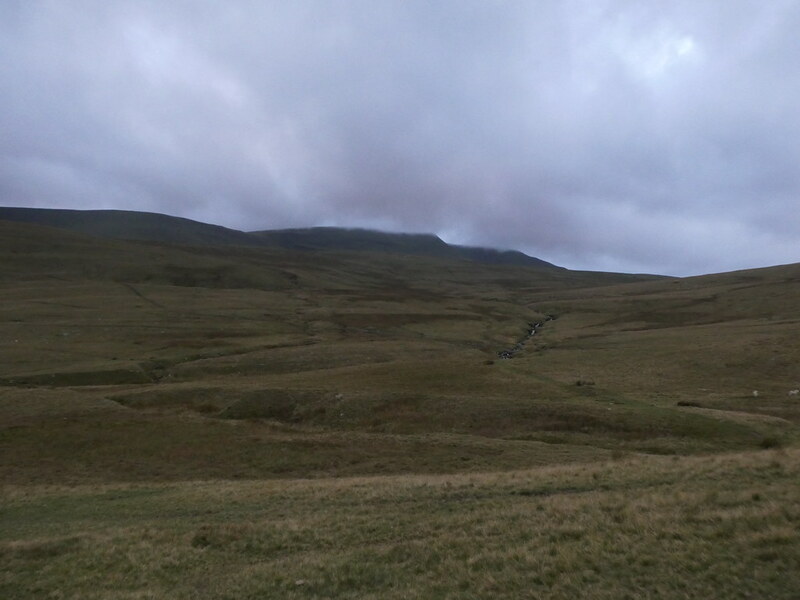 Every time I walk here I’m always reminded of a sad story from the first time I walked these mountains. 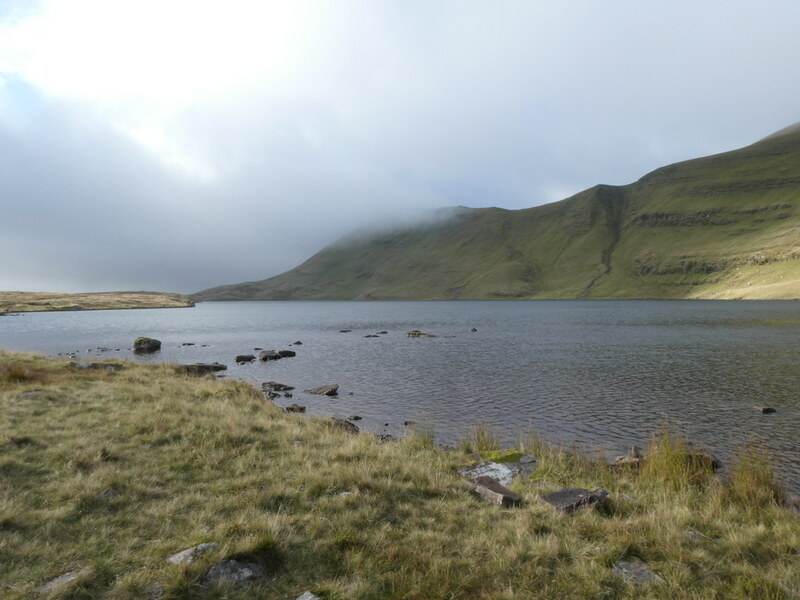 As me and Jane walked down towards the lake we were aware of a commotion at the top of the cliffs with a lot of shouting and a man scrambling down. 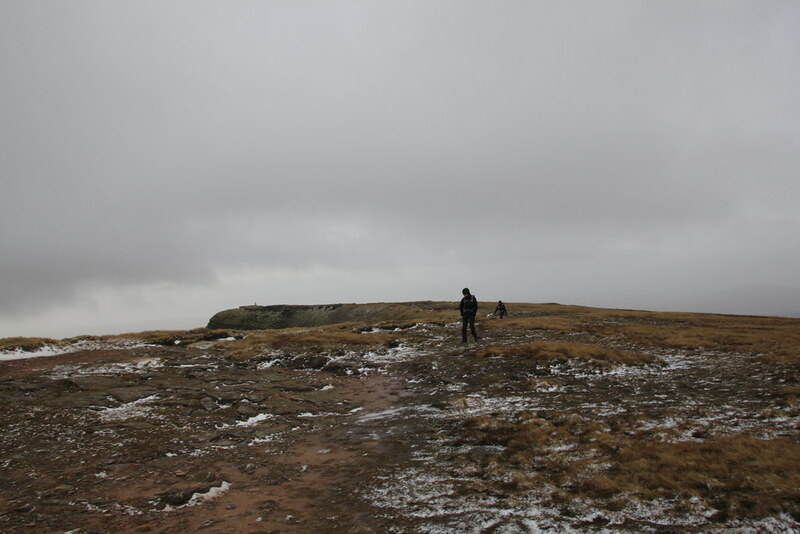 As we watched it became clear that his dog had fallen off the edge and he was desperately trying to reach it. 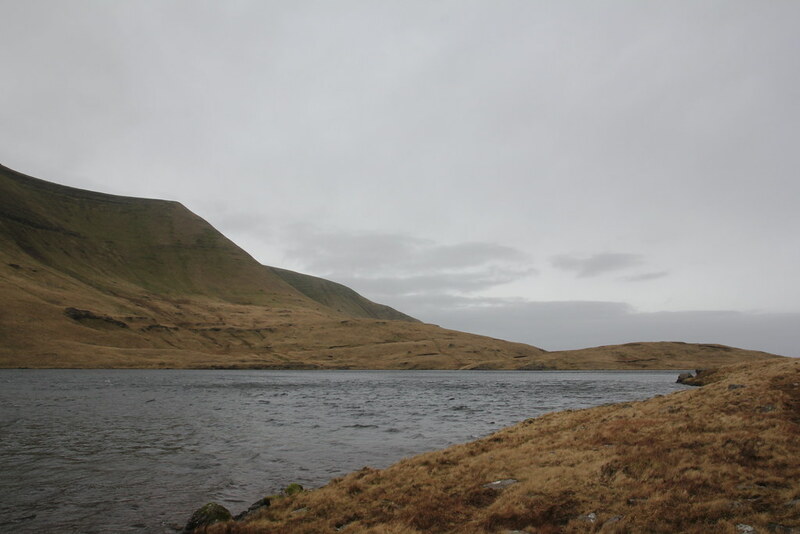 We waited and hoped for the best but it was clear that the poor dog had not survived the fall, a fact made horribly, hauntingly clear as we heard the owners sobs echo across the water as he reached his companion. 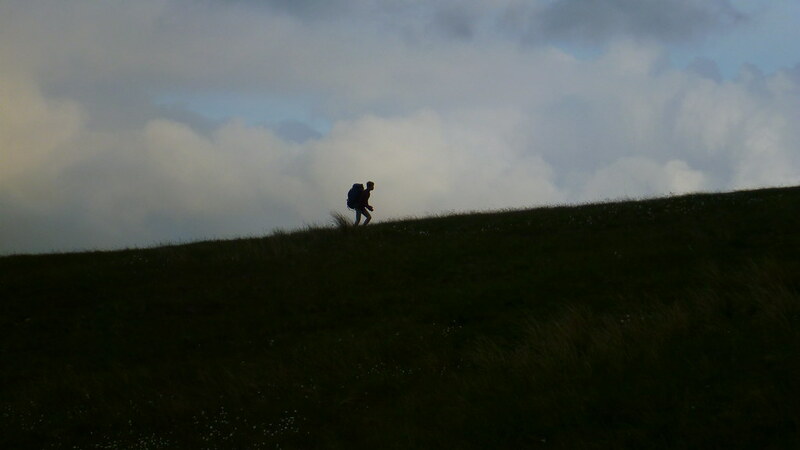 Every time I’m up here and see people out with their dogs it sets my heart racing with fear and the memory of that afternoon returns. 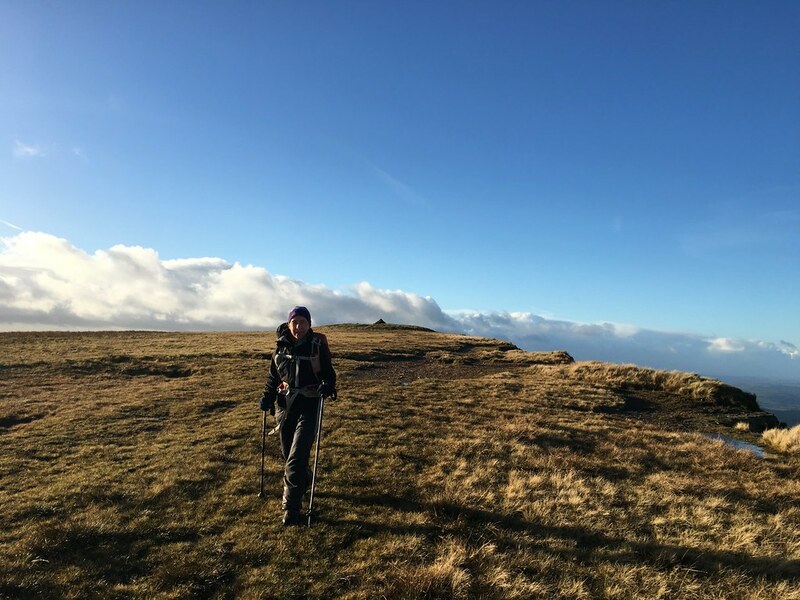 As an ex-dog owner who explored many a mountain with his own four-legged friend its a tragic reminder of what can go wrong. 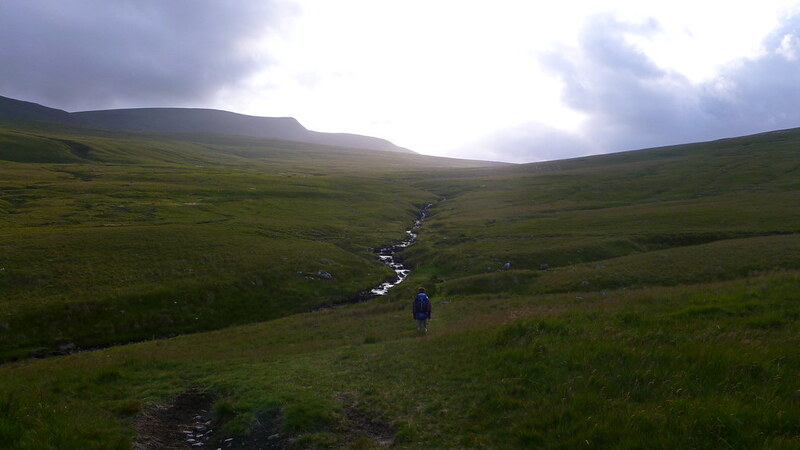 It’s a stunning section of walking taking into the heart of lonely corries under brooding vegetated cliffs. 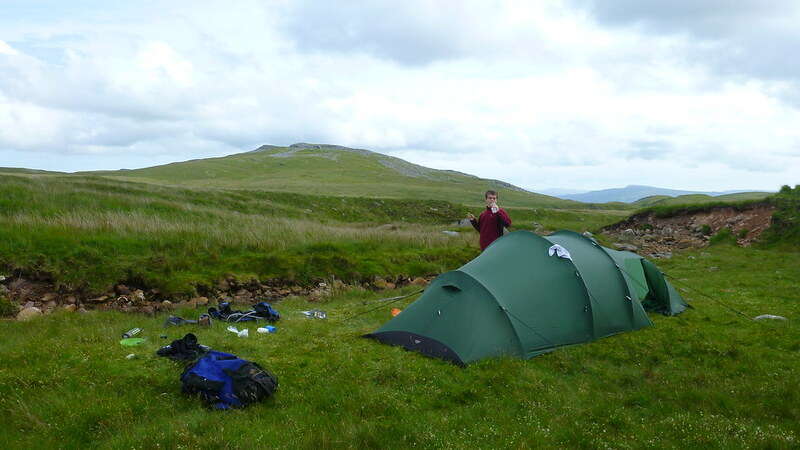 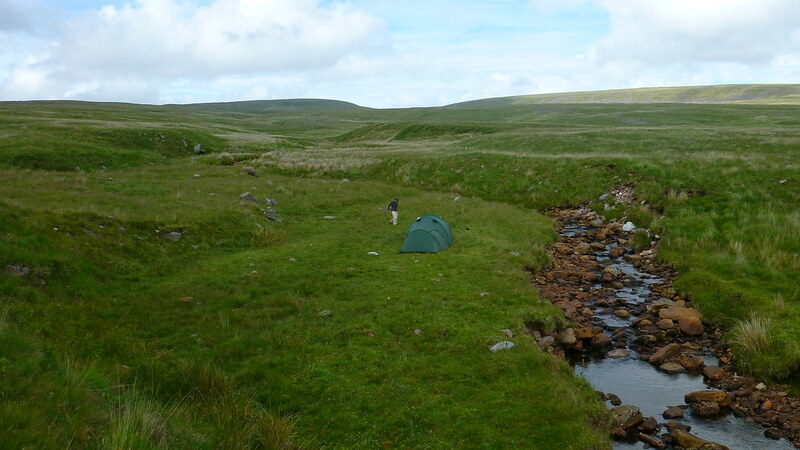 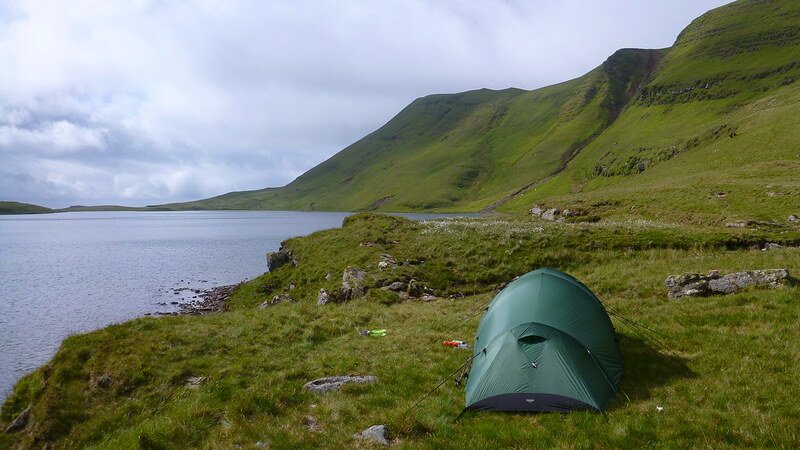 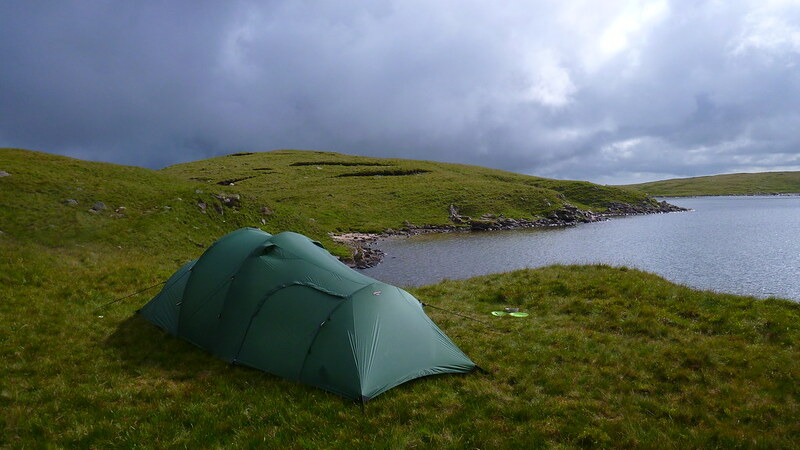 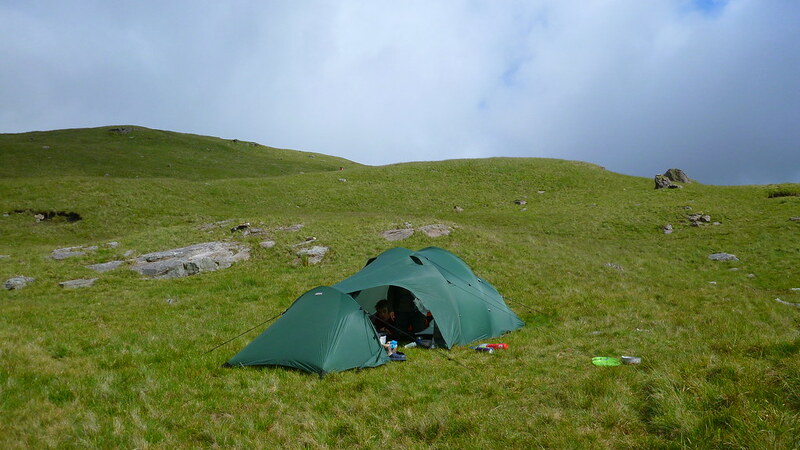 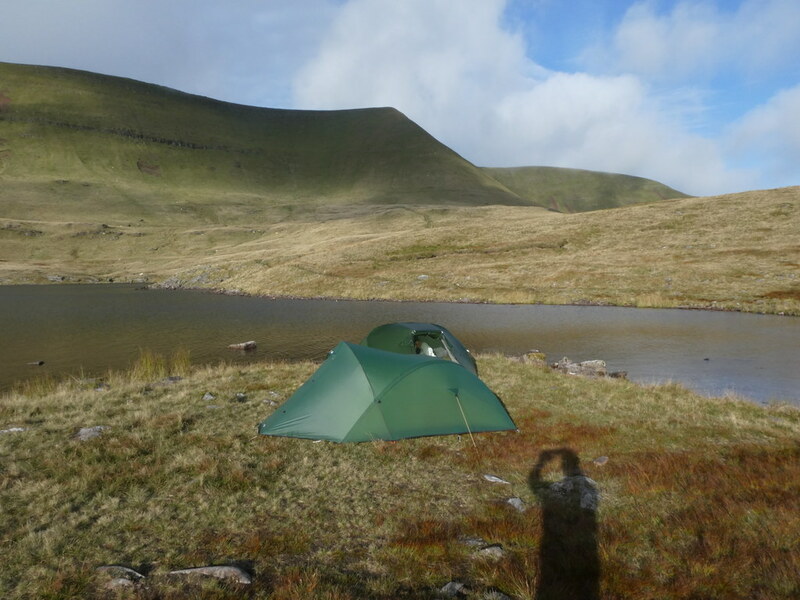 The whole section is a wild camping dream although fresh water would have to be carried in. 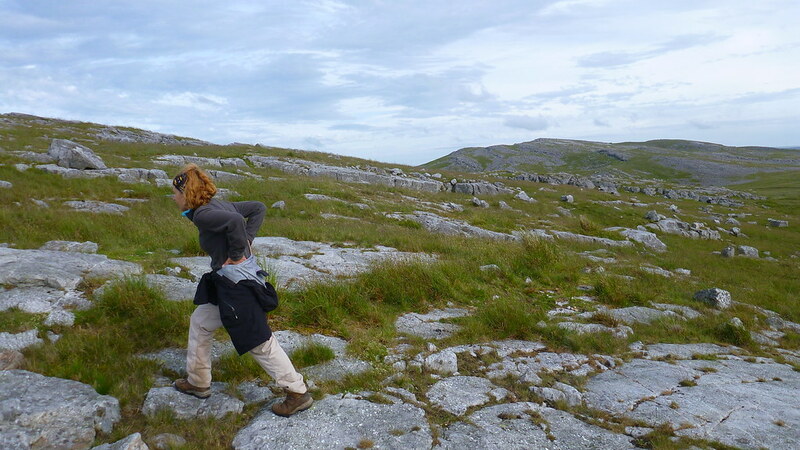 It’s much further than it looks on the map and D was starting to feel a little weary. 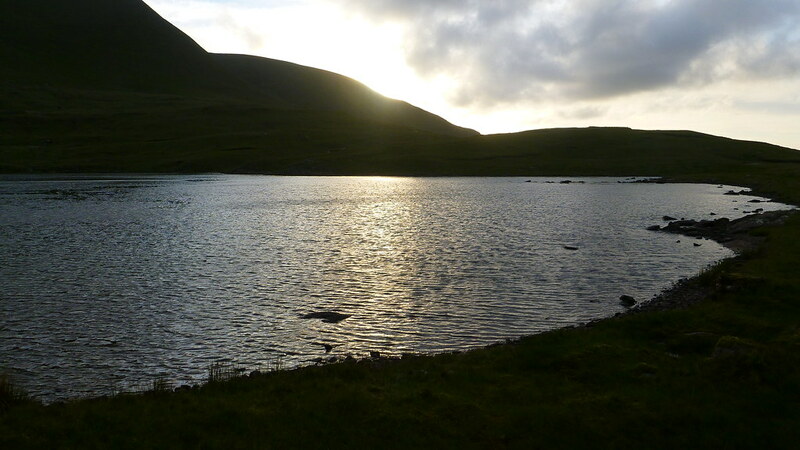 I decided the lake shore would be a better place to stop as we’d lost the sun behind the edge. 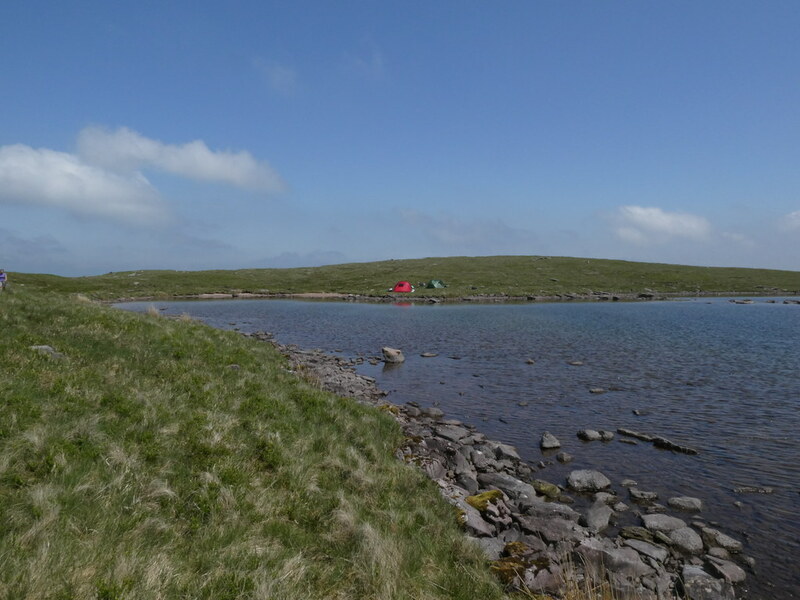 It turned out to be an inspired move as the wind had dropped by the time we reached the shore and we found a lovely beach to relax on. 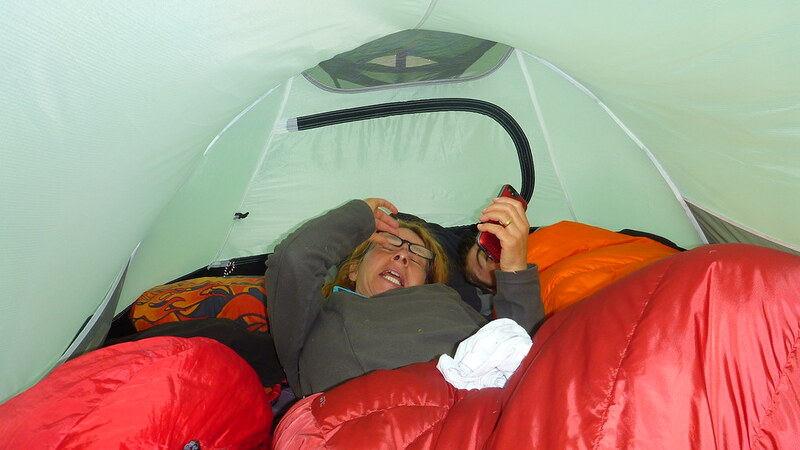 D just collapsed in a heap while I had another brew. 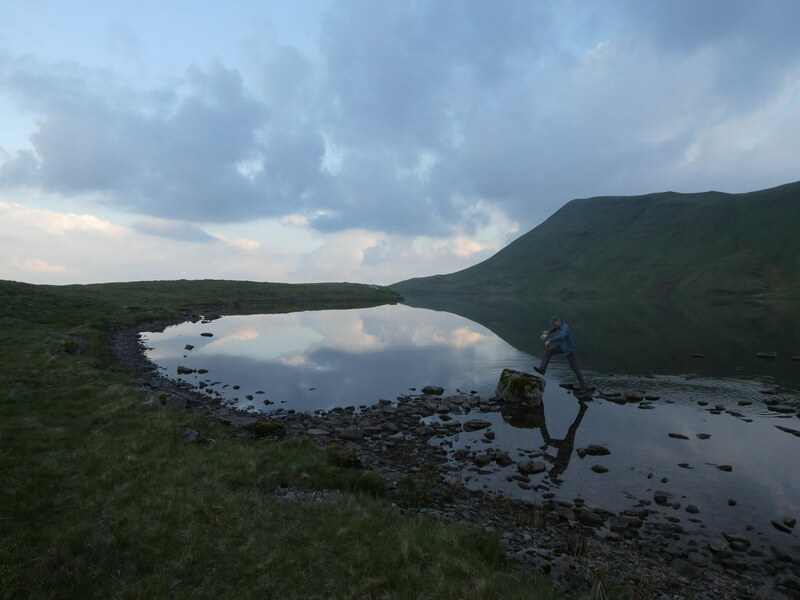 I felt a little guilty for stretching the pace a little but after some food he was soon up and about again and enjoying the scene as we had the lake to ourselves. 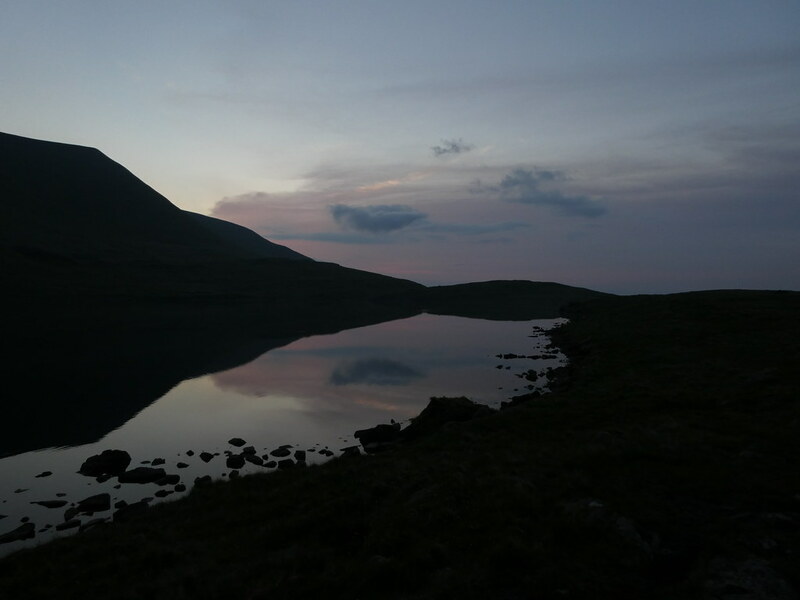 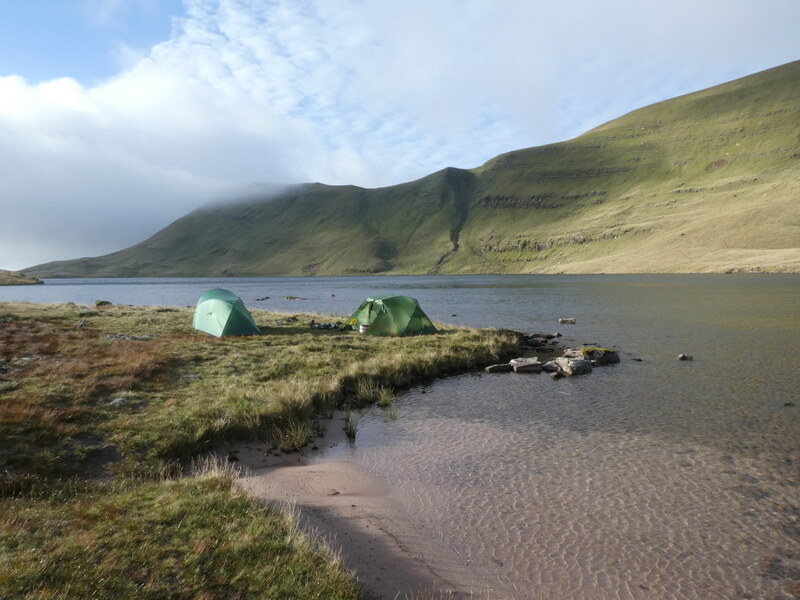 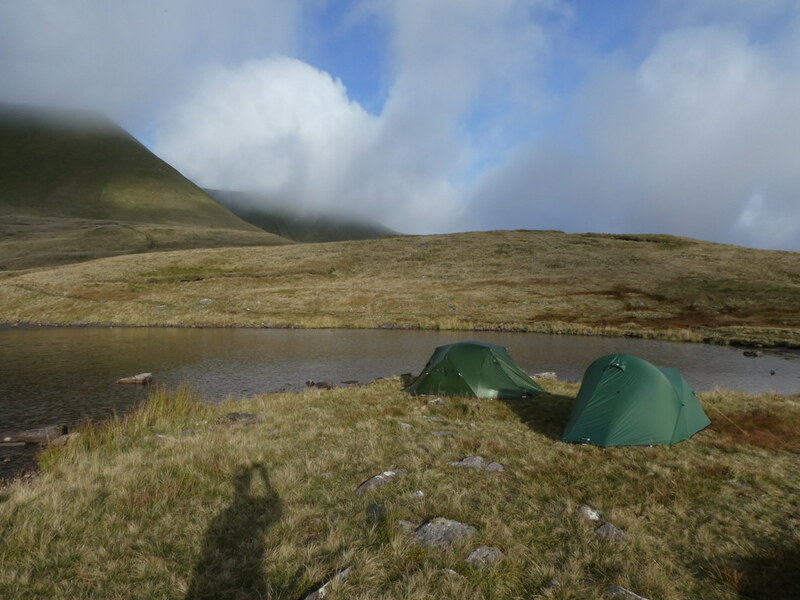 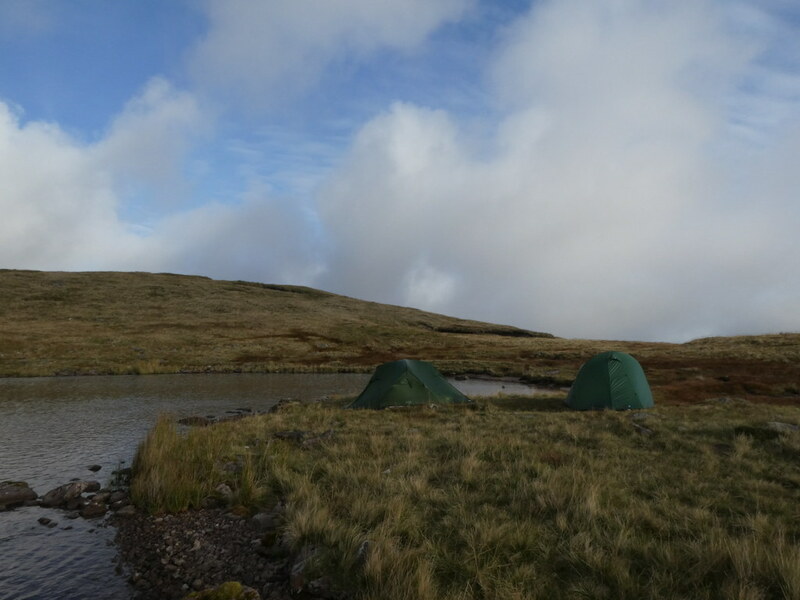 This would be another superb site for a wild camp although you’d need to filter water from the lake as it has no outflow to speak of. 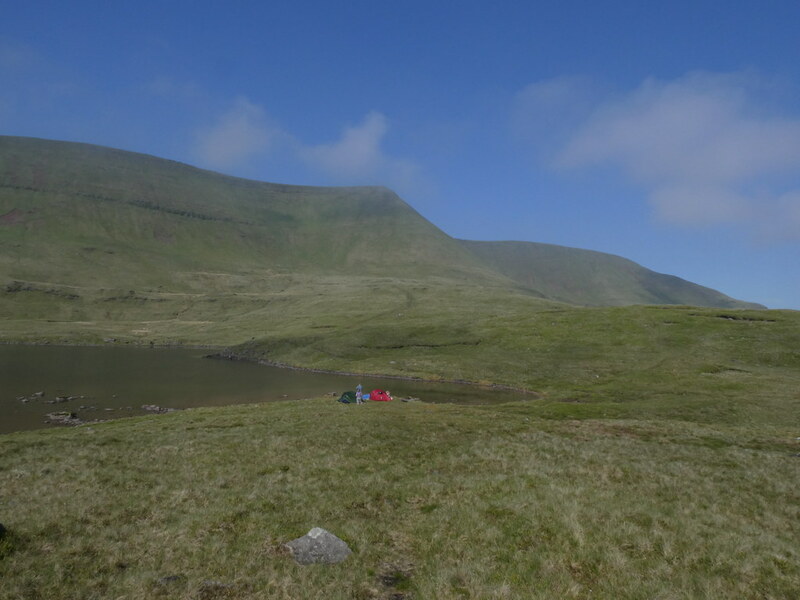 The scene was as good as it gets and I could have lain on the grass and rocks for hours. 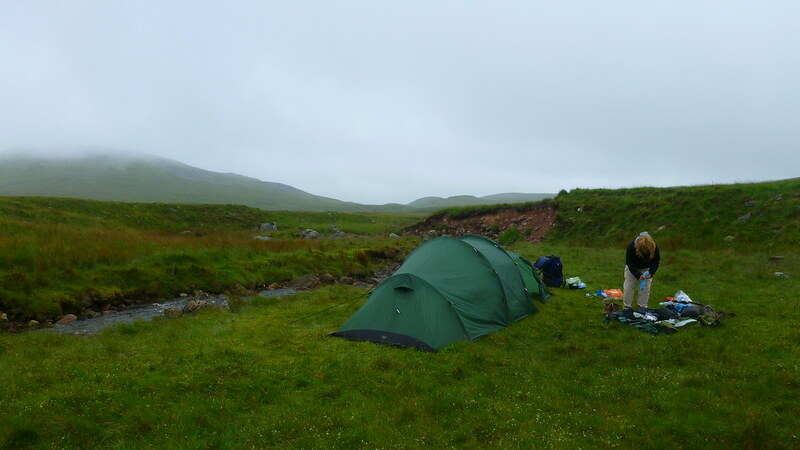 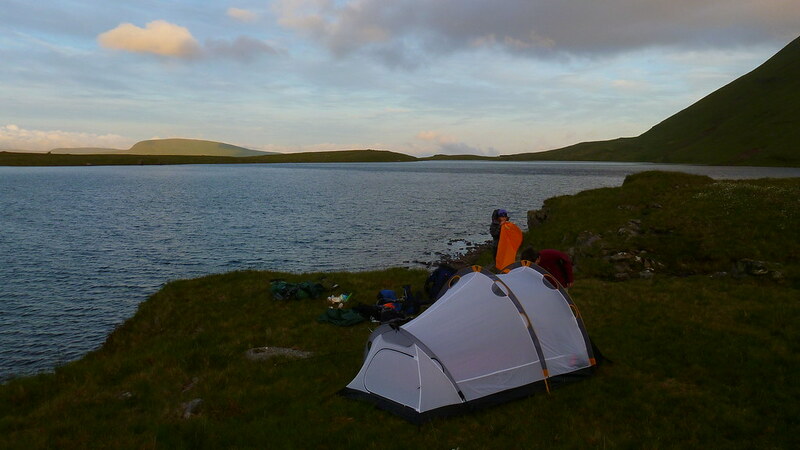 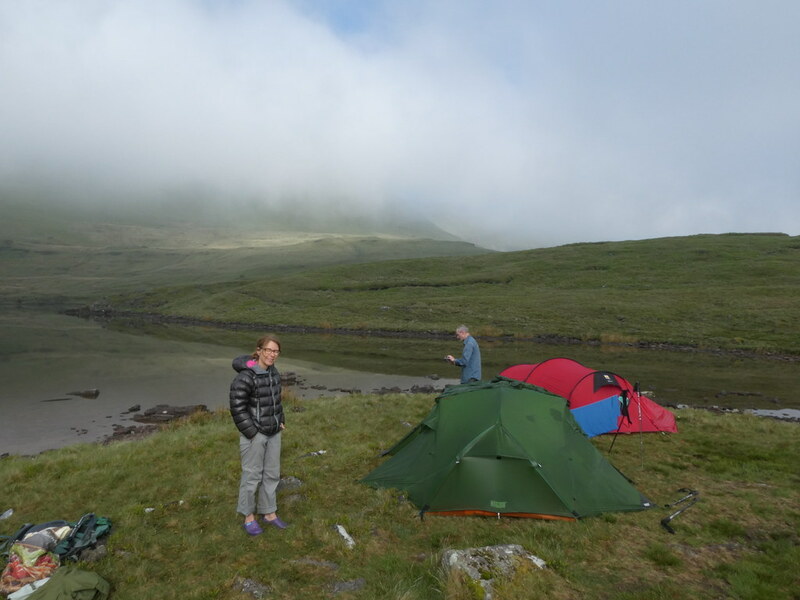 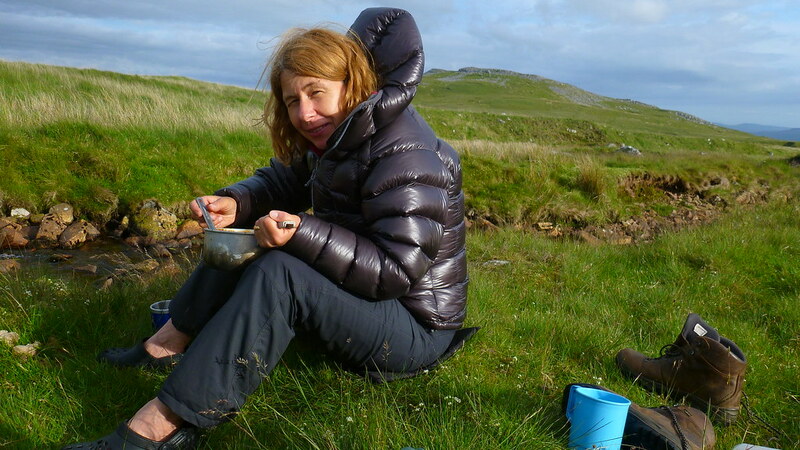 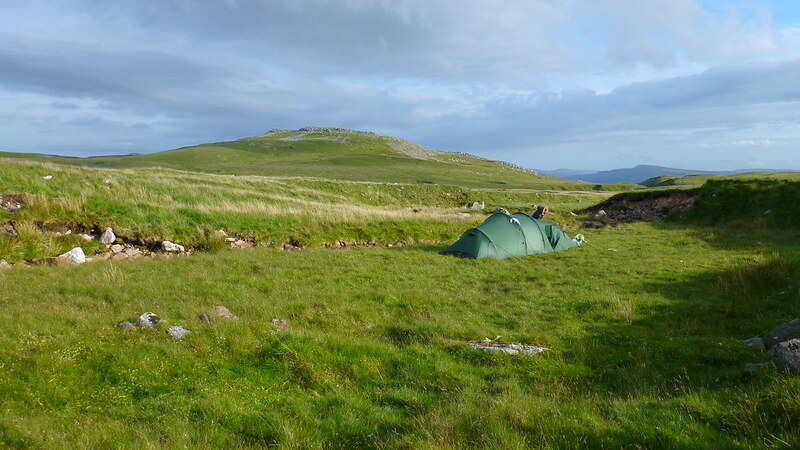 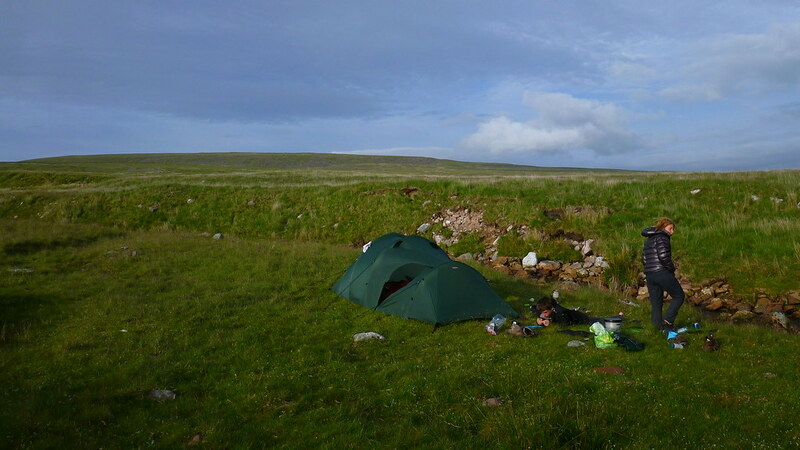 I enlightened D that this was what wild camping would be about and how wonderful it is to spend an evening in a spot like this, snuggle down in the tent for the night and then watch the sun come up and enjoy breakfast in the same surroundings. 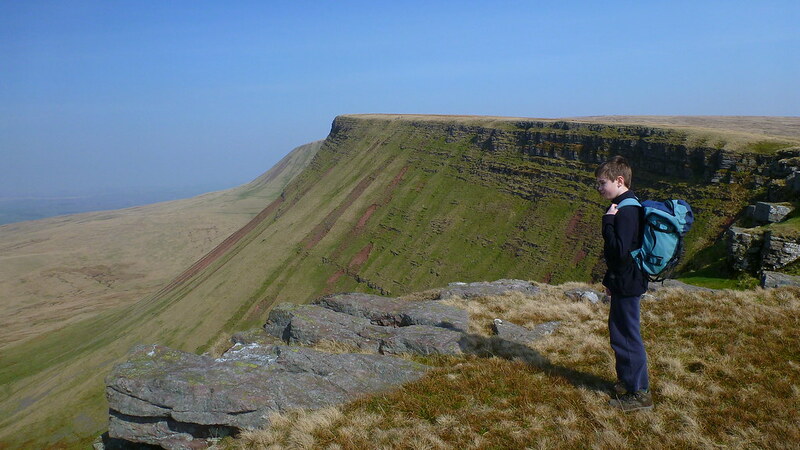 Hopefully I can get him out this spring and summer and really introduce him to this next stage of his outdoor training. 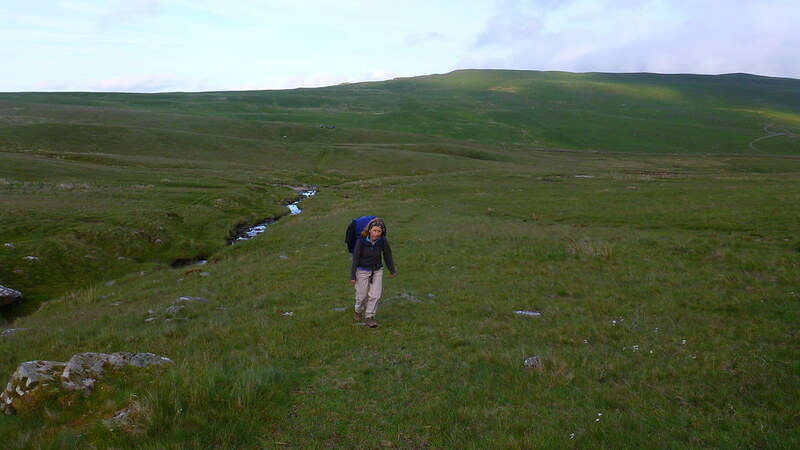 Time to head back to the car. 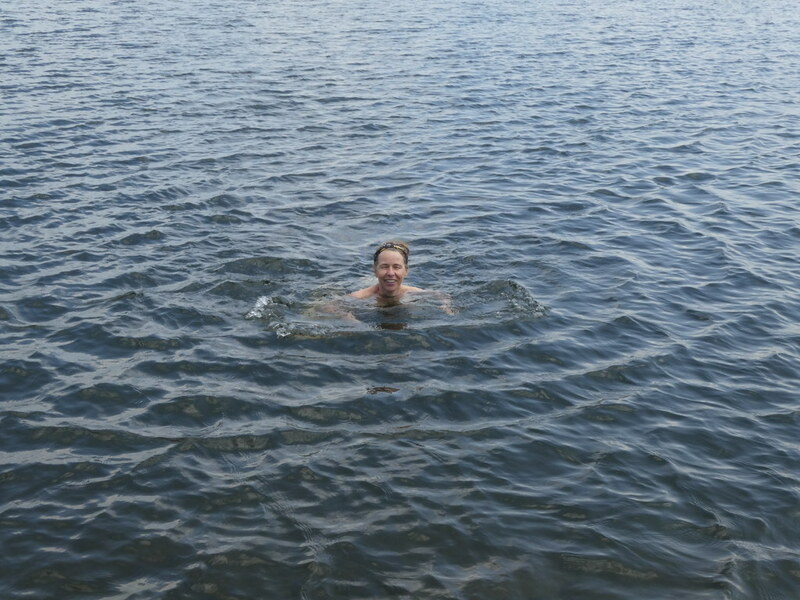 The walk along the lake-shore was stunning and after a bit of schoolboy navigating by yours truly we got back onto the right path! 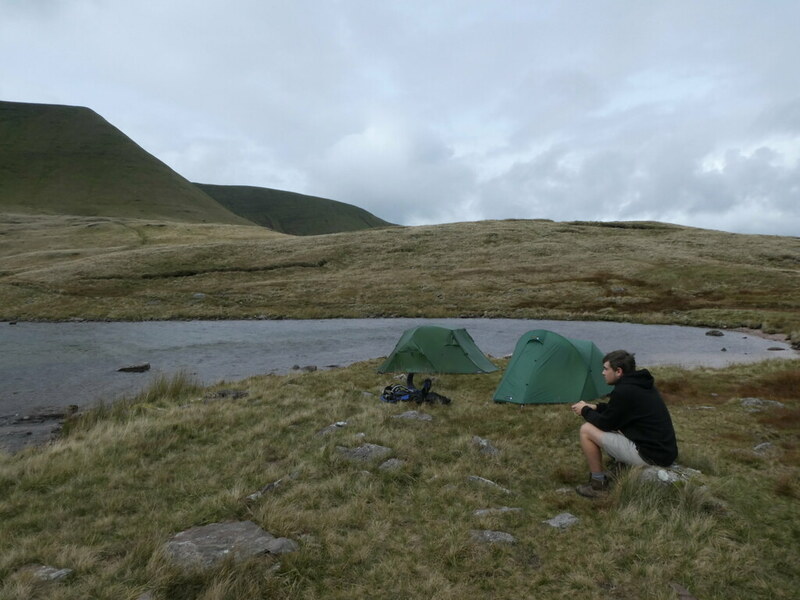 Just before we reached the car there was a man wild camping in a perfect sport by the river as if to emphasise my discussion with D earlier. 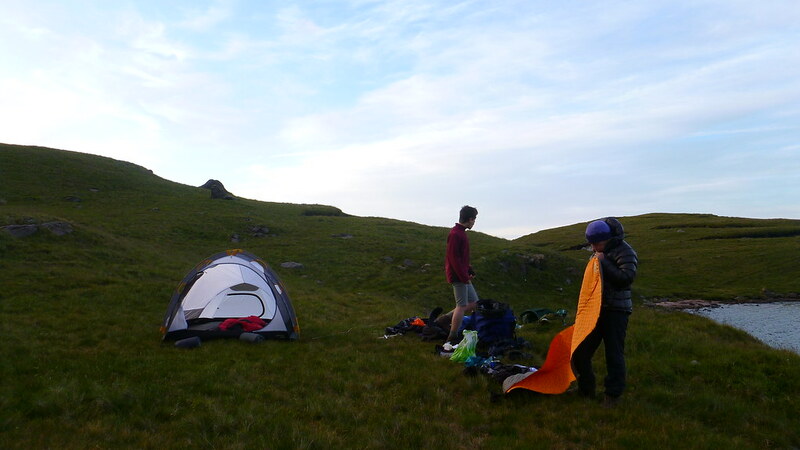 We chatted for a few minutes about what a great evening it was to be camping out and how jealous I was before we had to head back up the car and home. 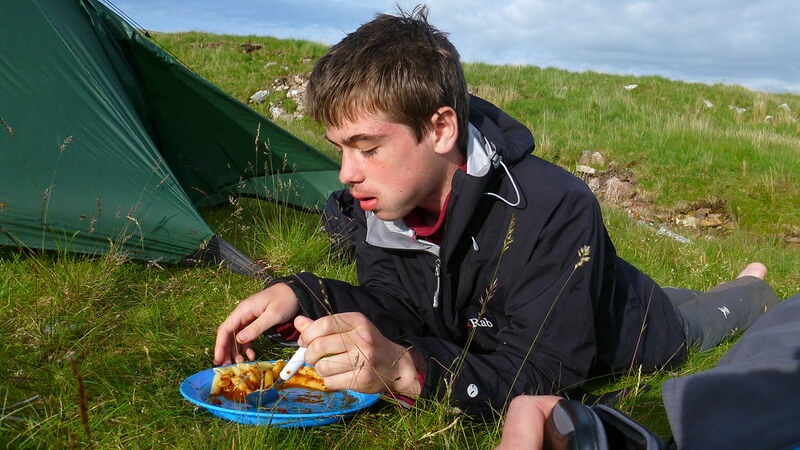 D looked shattered but he also had a look that I recognised well. 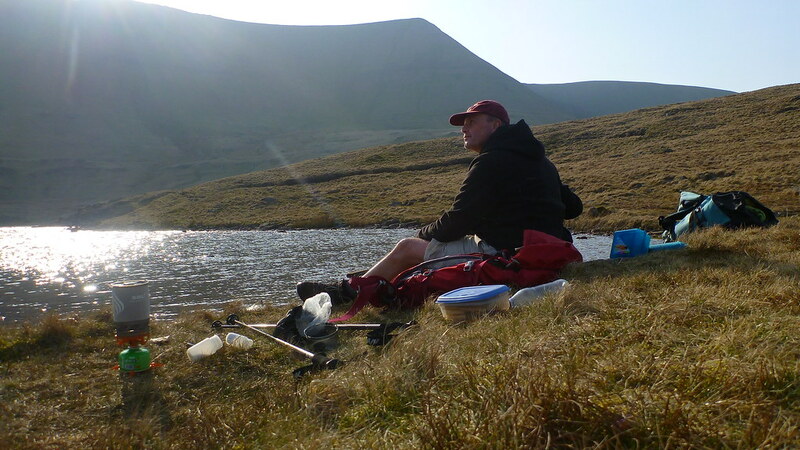 The look of calm satisfaction of a simple but challenging and rewarding day spent amongst the hills in the warm spring sunshine.